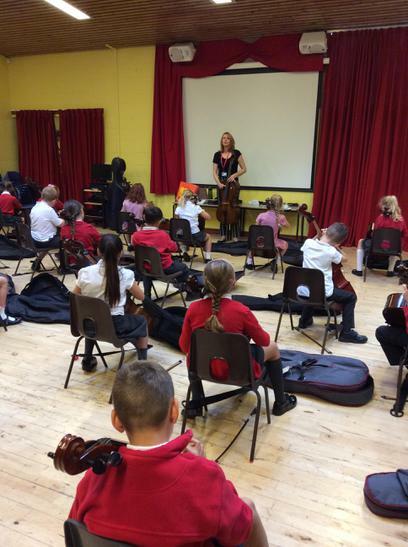 On Tuesday, we had a music concert with Hazel and Larch Class. 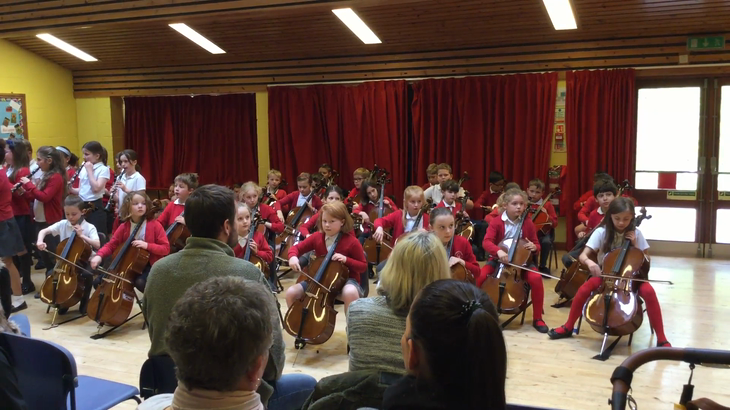 We even did a solo cello piece, Stand By Me. 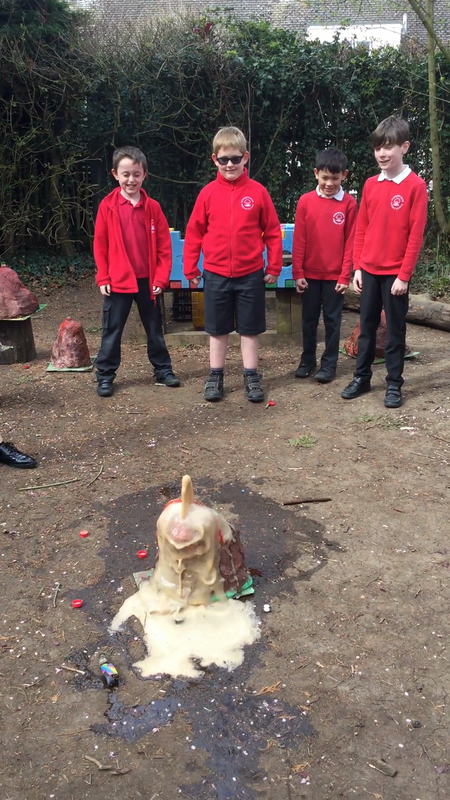 This term we have been learning all about States of Matter in Science. 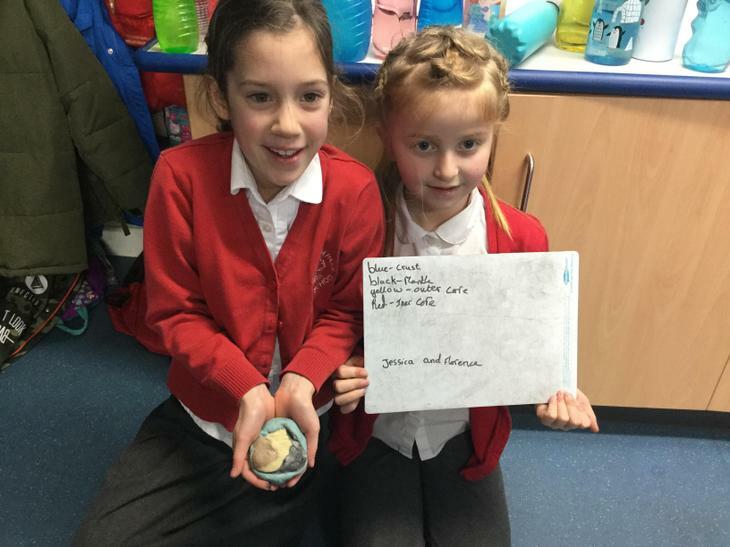 We have been looking at the properties of solids, liquids and gases and how they can be heated or cooled to change state. 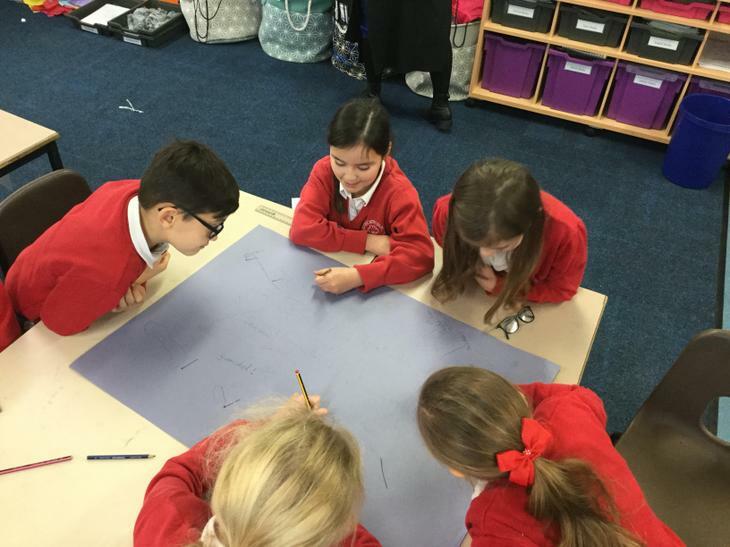 In our final lesson, we were looking at the water cycle. 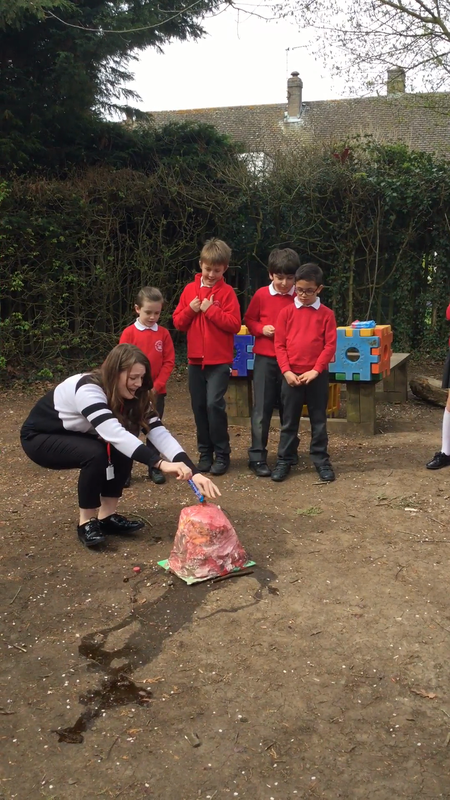 We had a go at representing the water cycle in different ways. 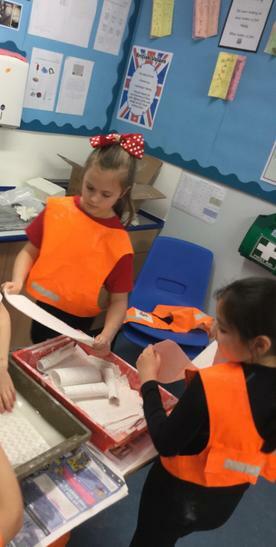 One group had to develop a silent drama piece, the other had to write a song and the final group had to make a water cycle wheel! 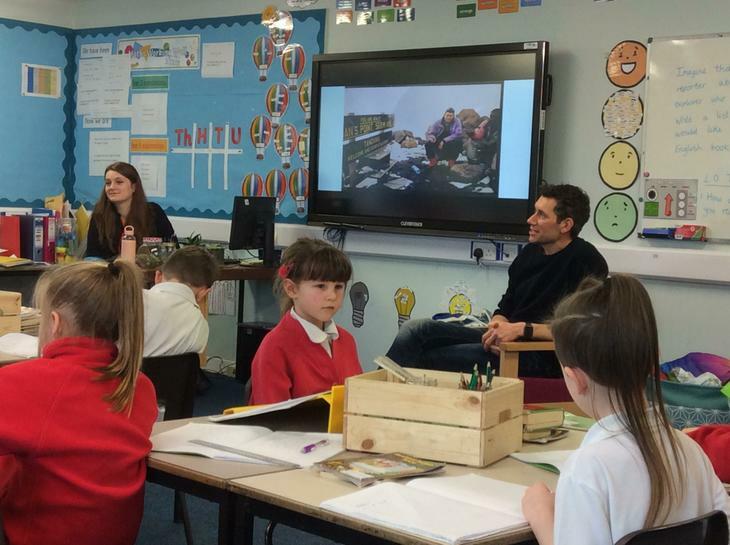 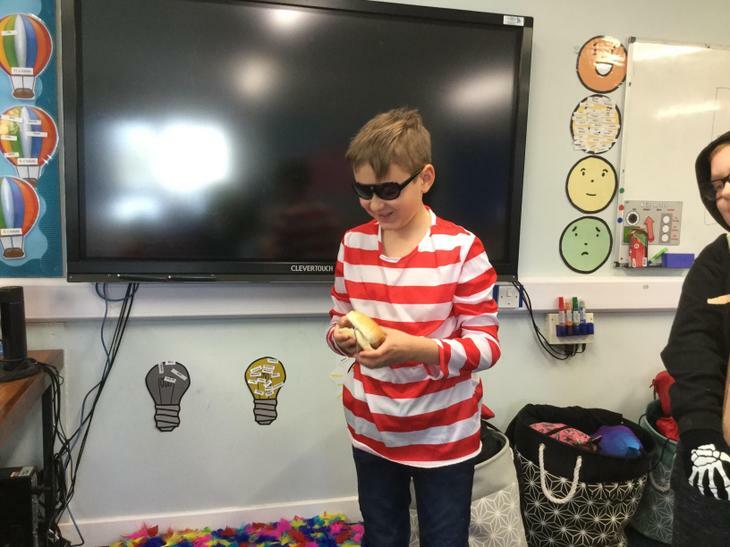 We were lucky enough to have a real explorer visit us in Lime Class! 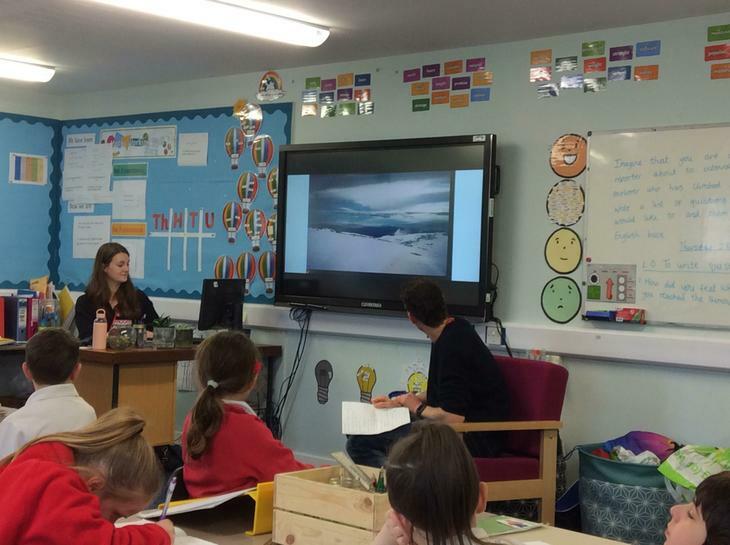 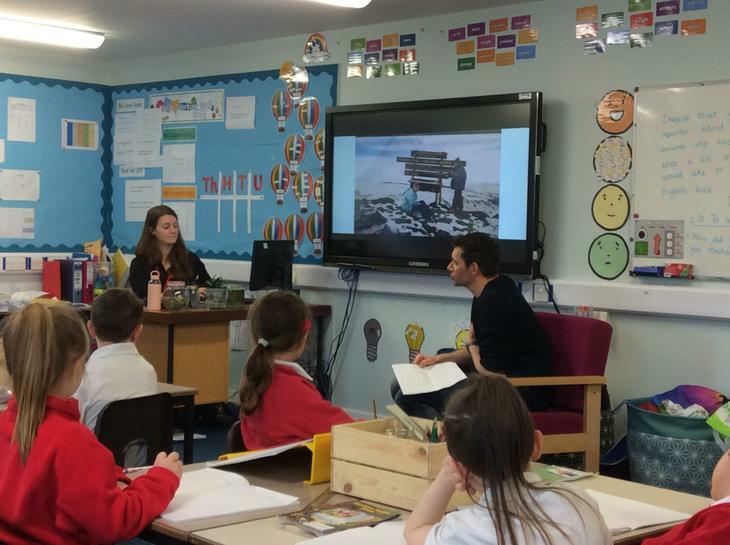 Dr Ainsworth has climbed Mount Kilimanjaro in Tanzania and came to talk to us about his experience. 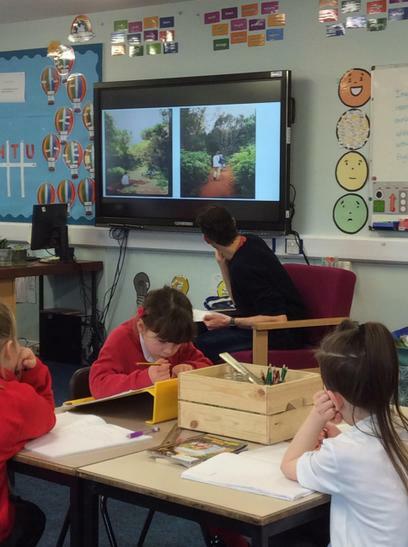 He shared lots of information with us and brought photographs for us to see what it was like. 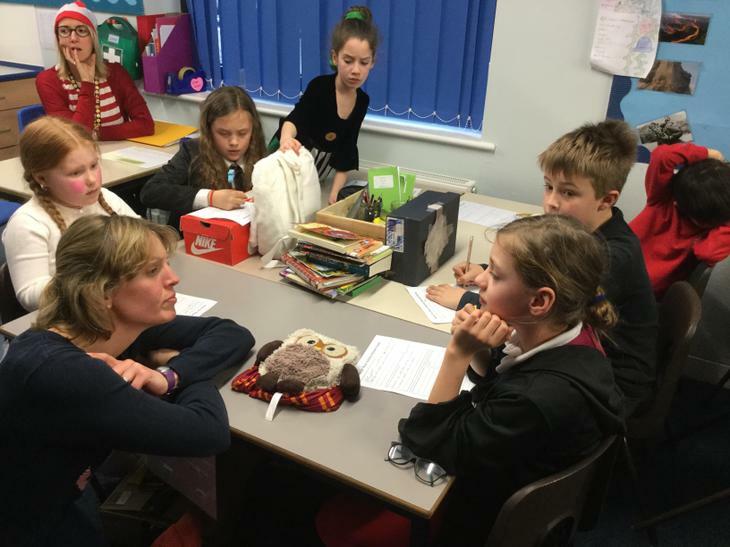 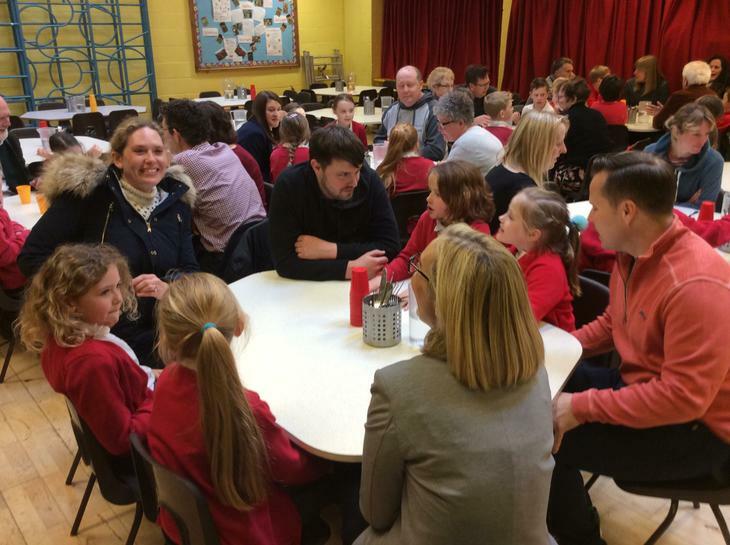 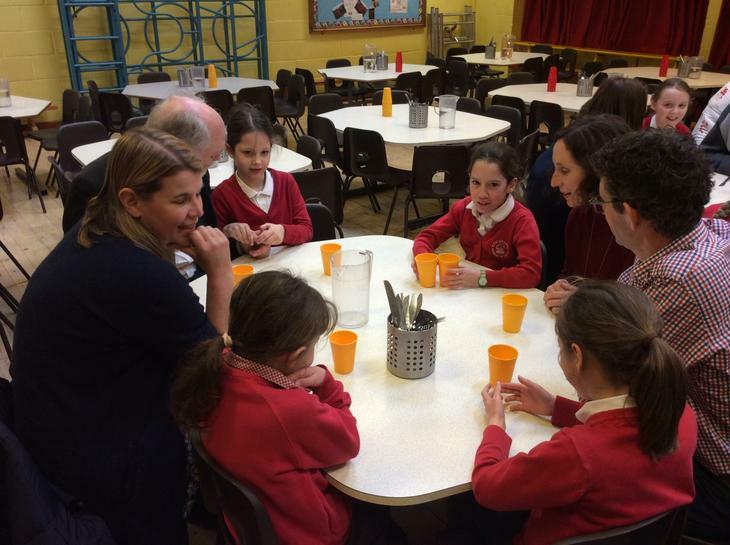 We had created a list of questions for Dr Ainsworth which we were able to ask at the end. 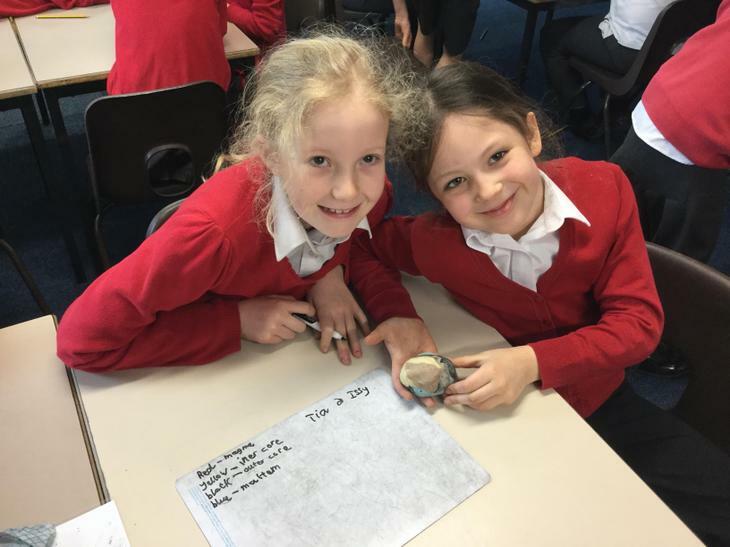 We will use what we discovered to write news reports next week. 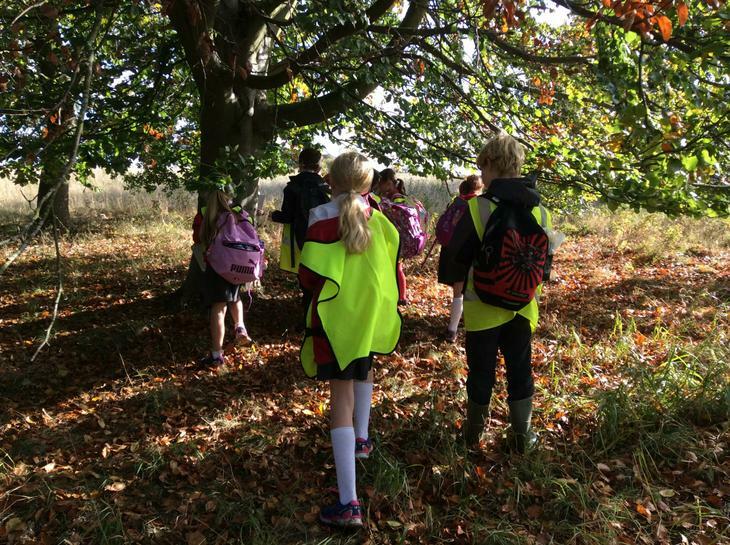 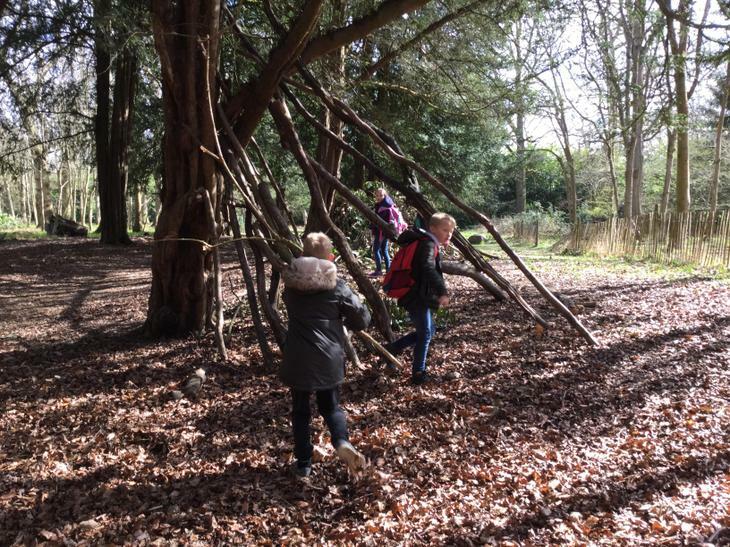 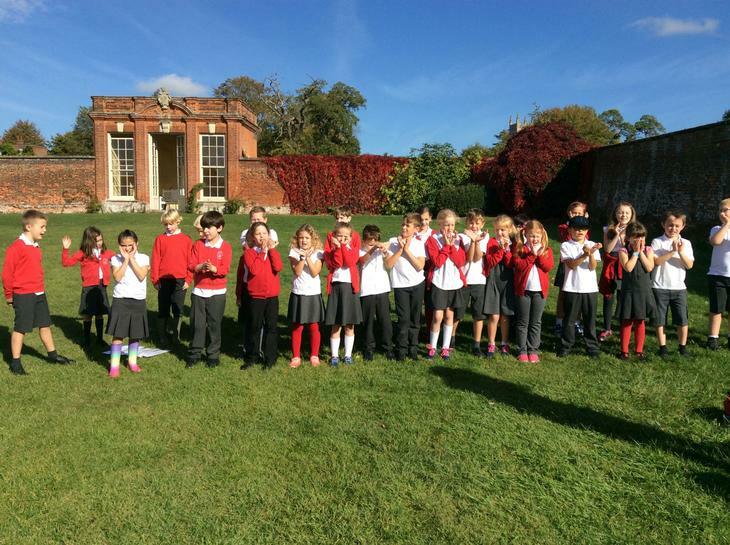 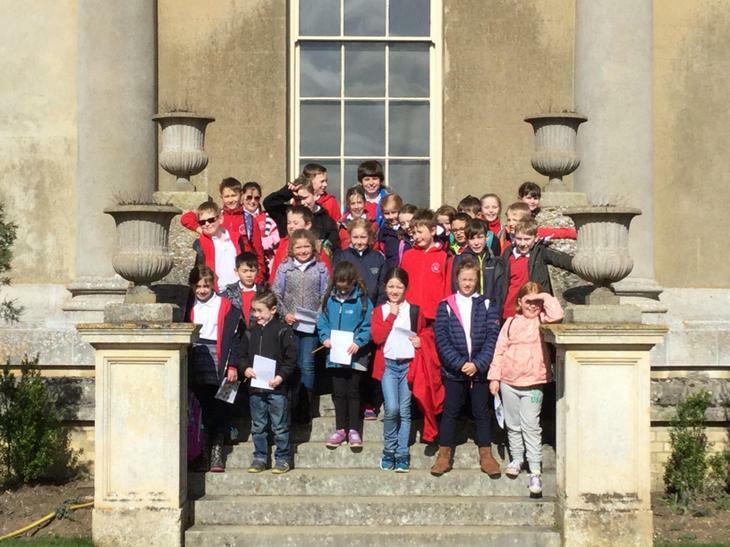 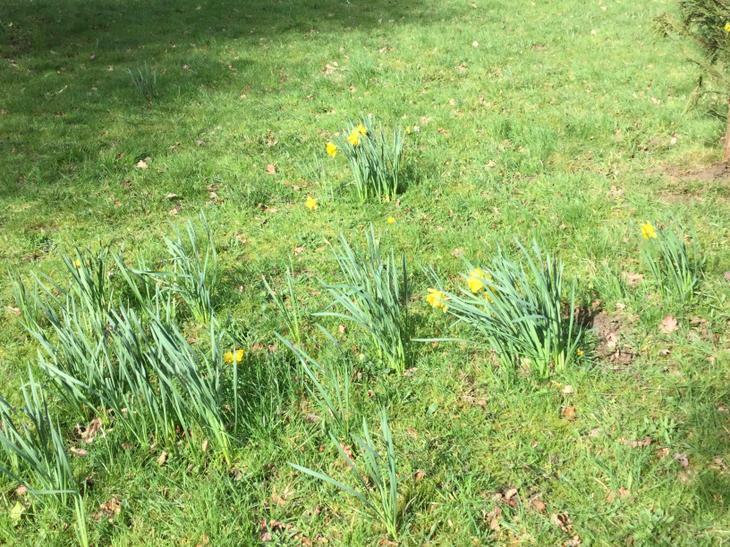 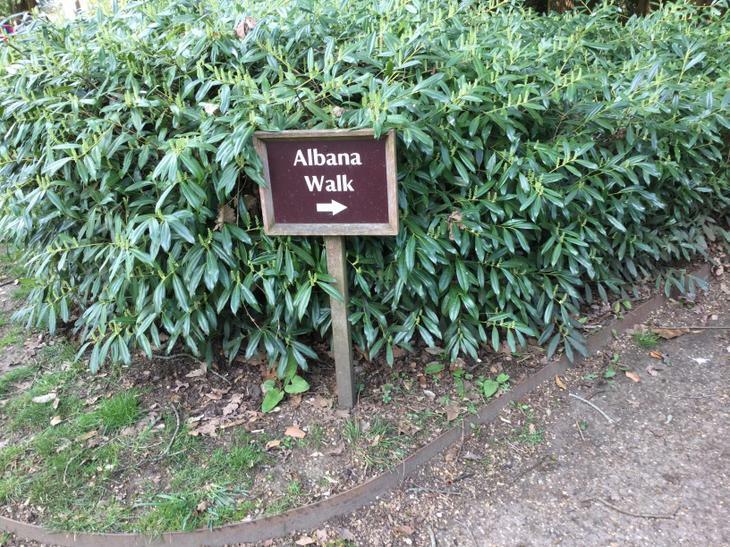 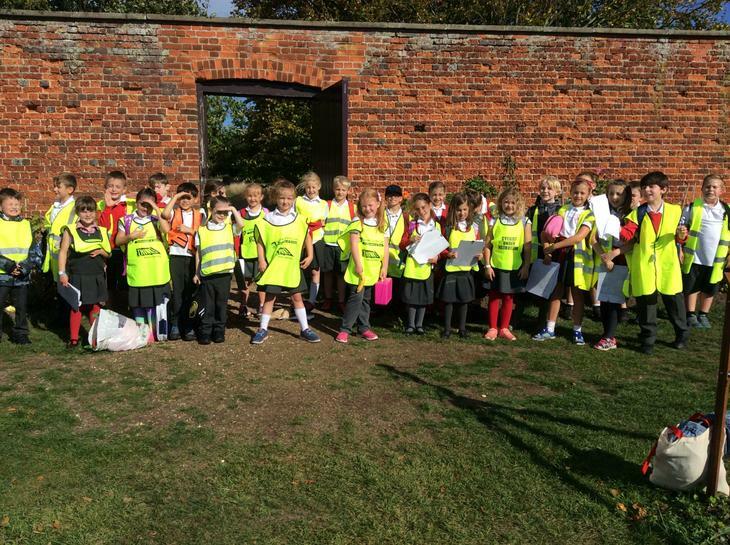 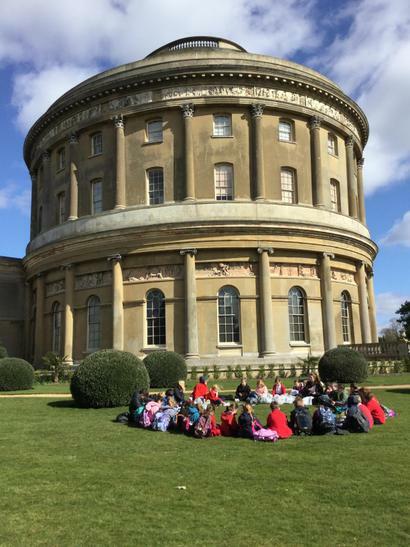 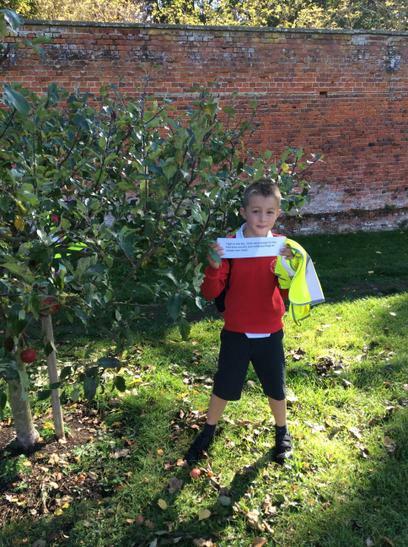 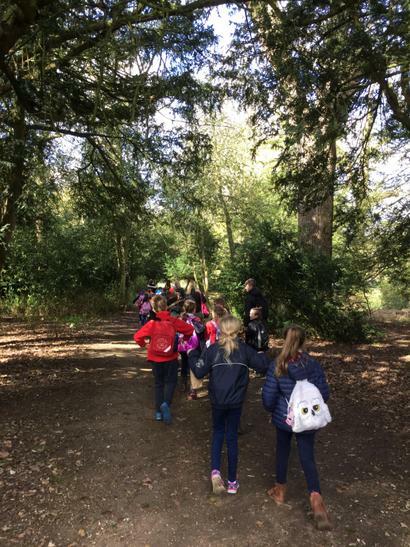 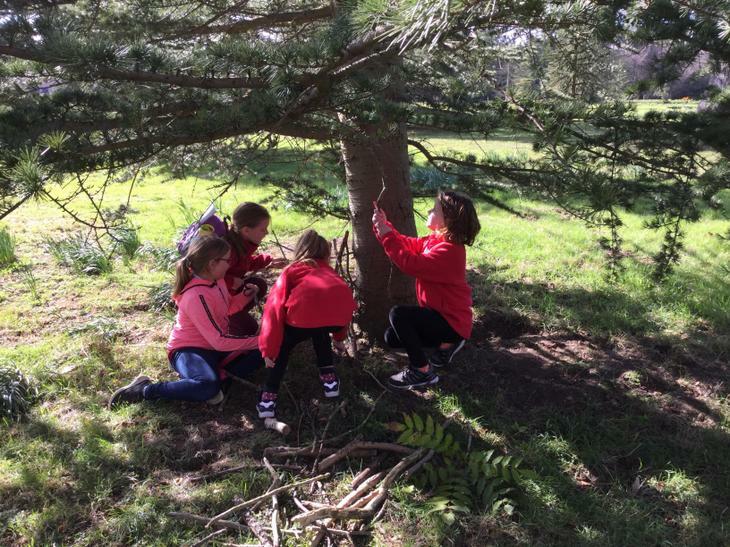 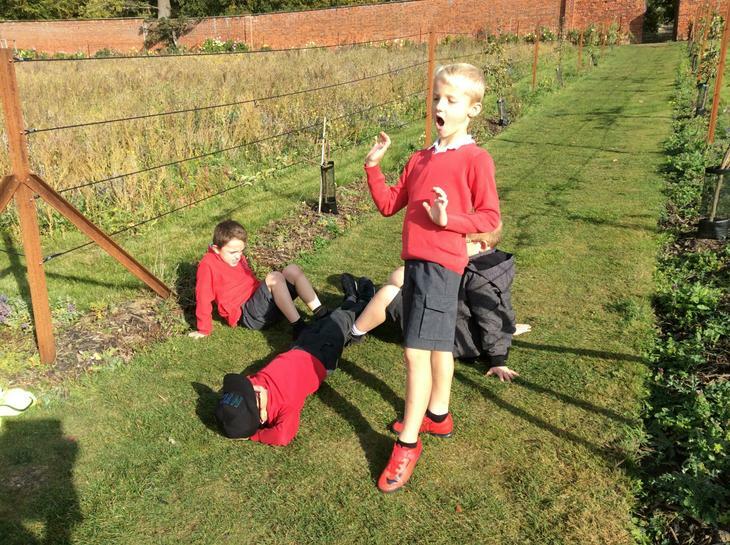 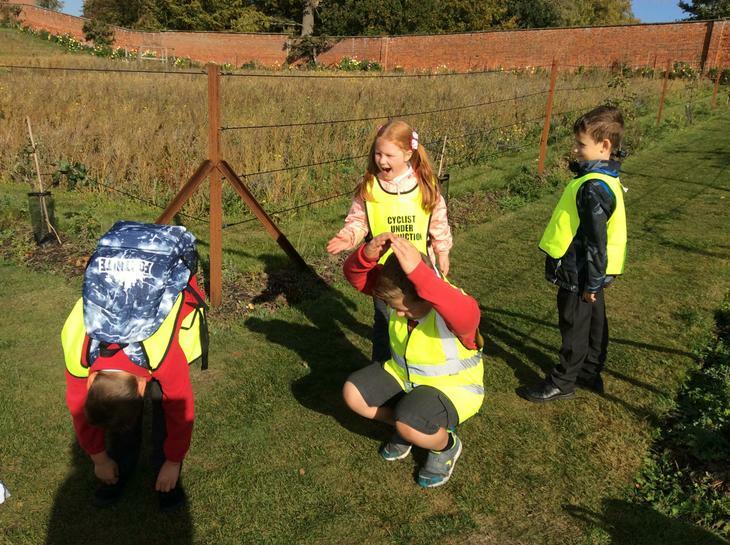 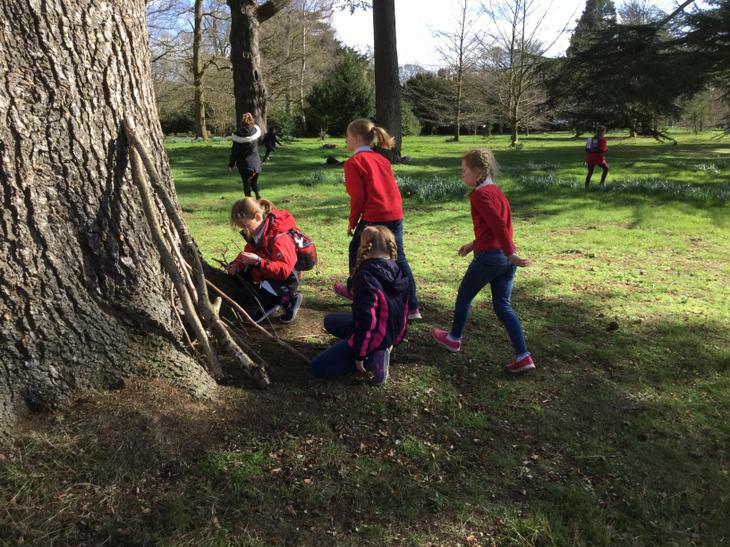 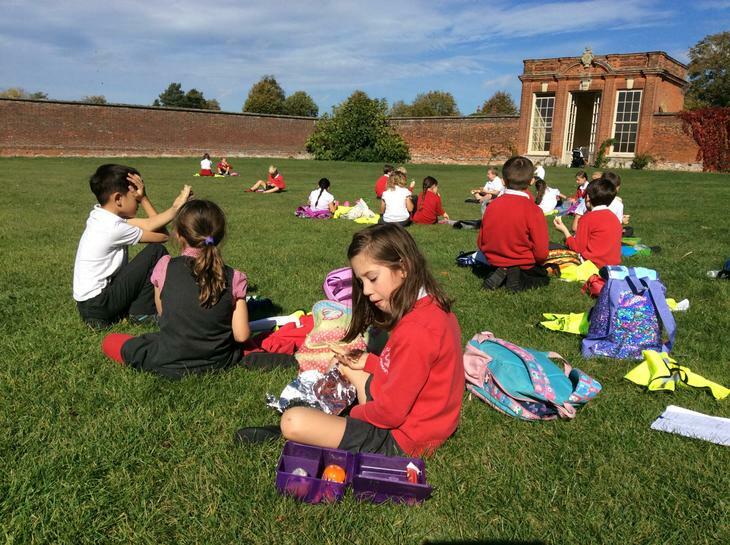 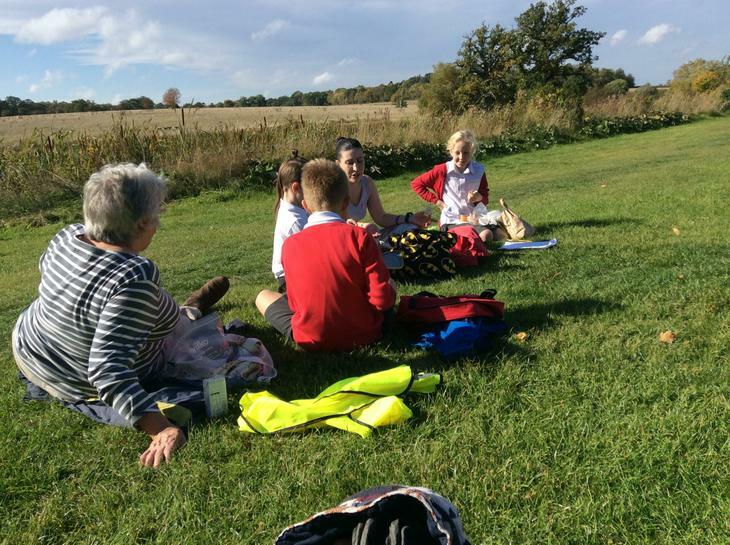 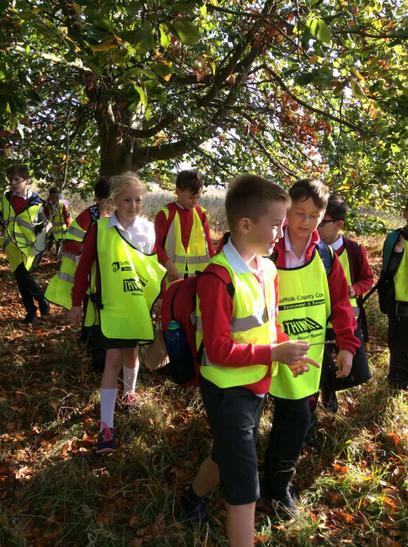 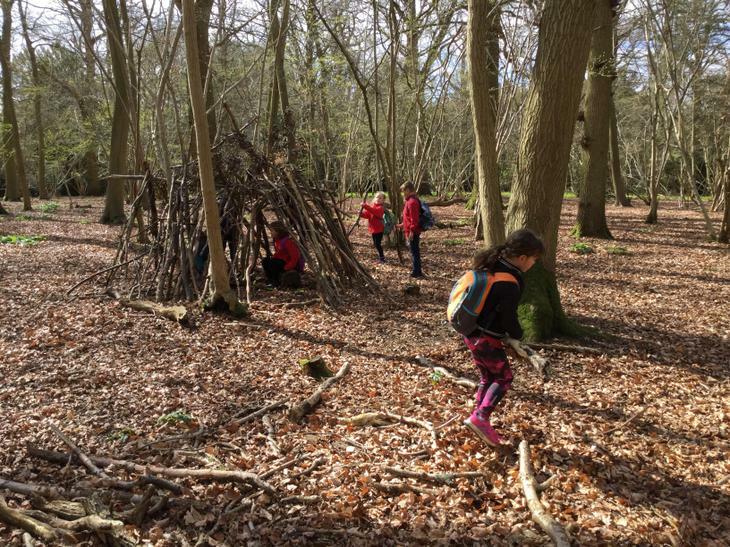 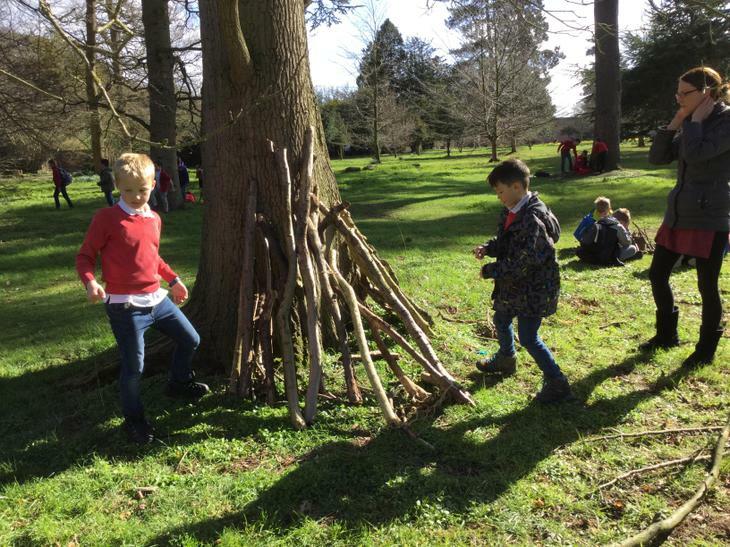 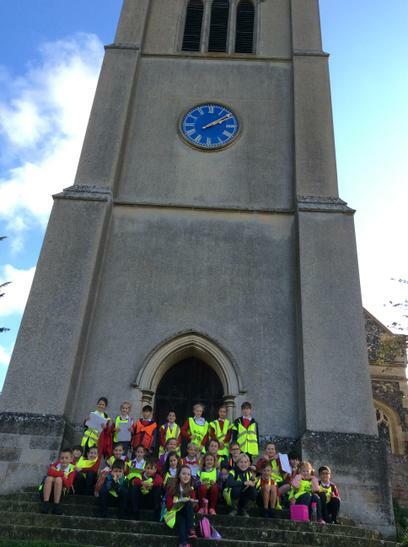 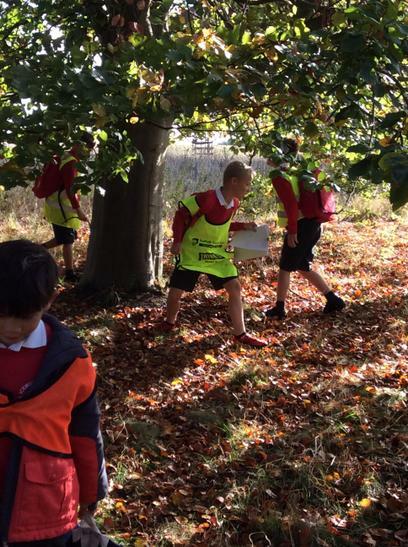 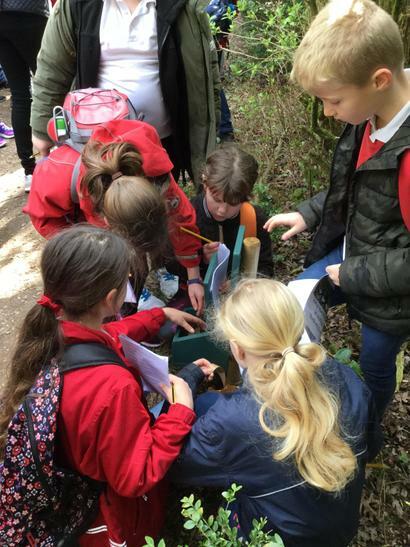 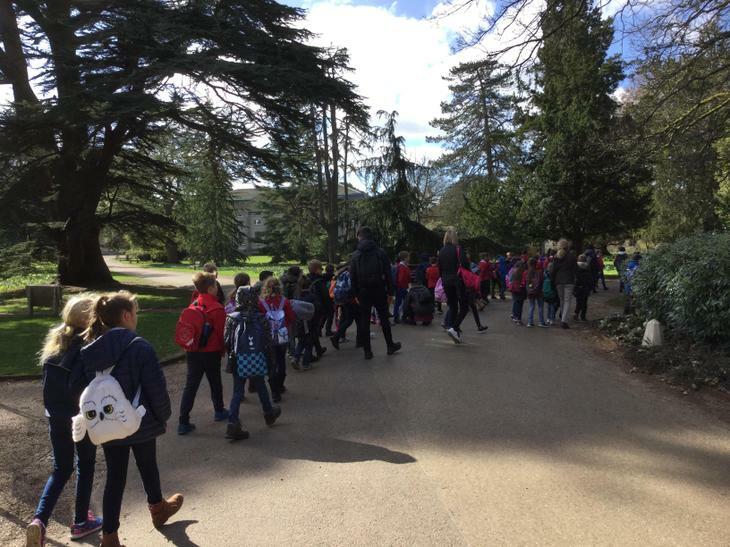 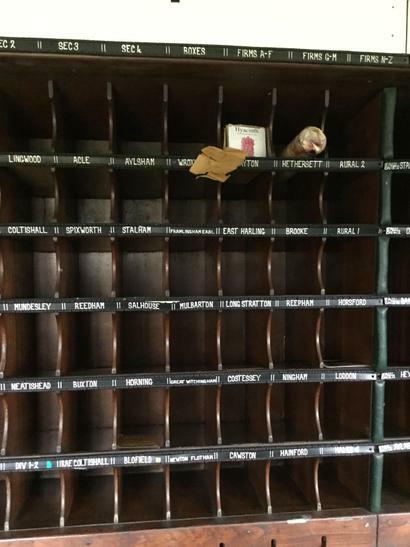 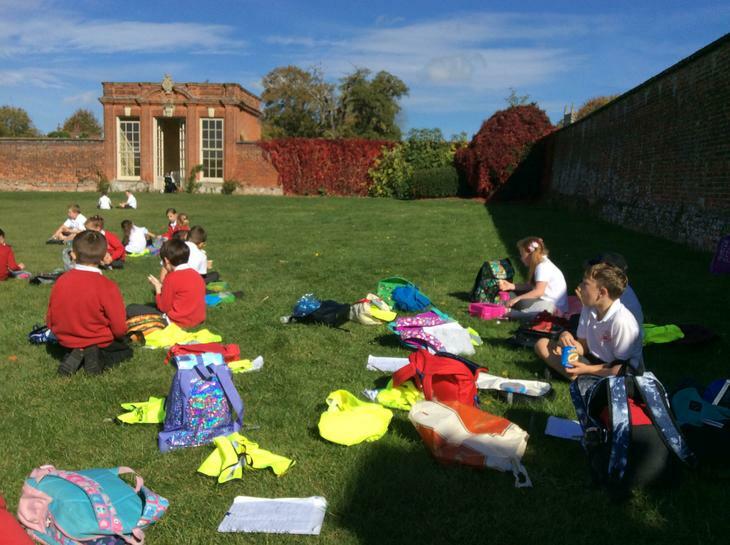 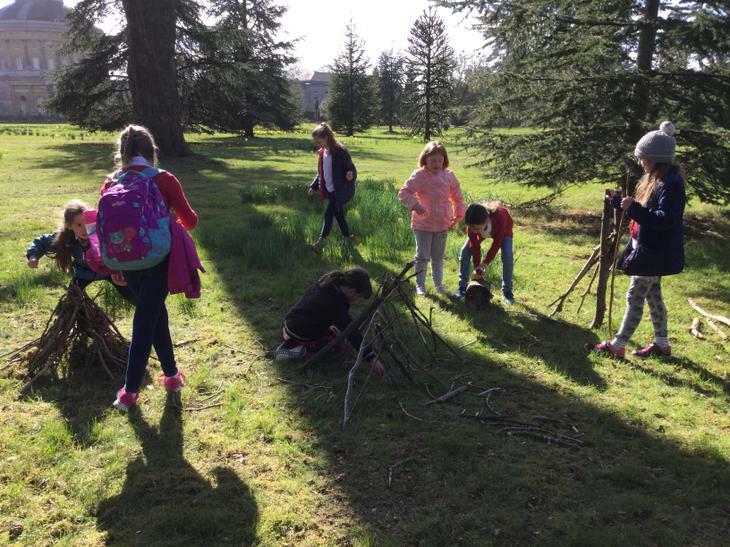 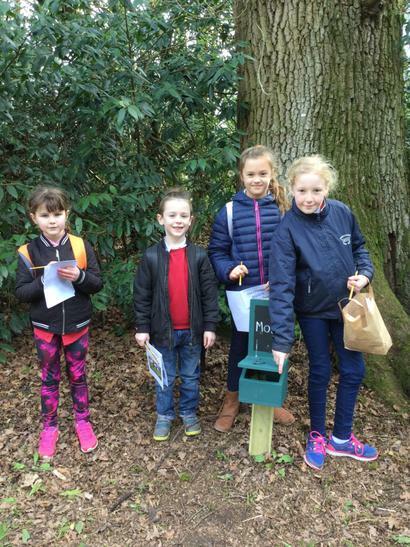 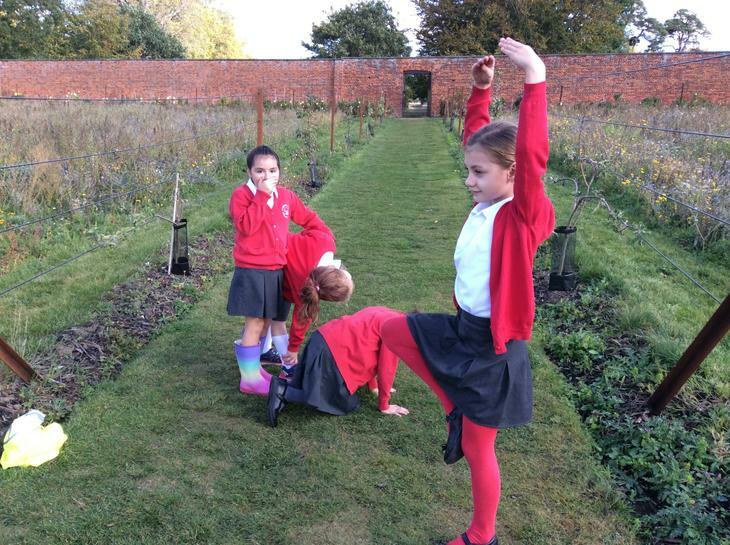 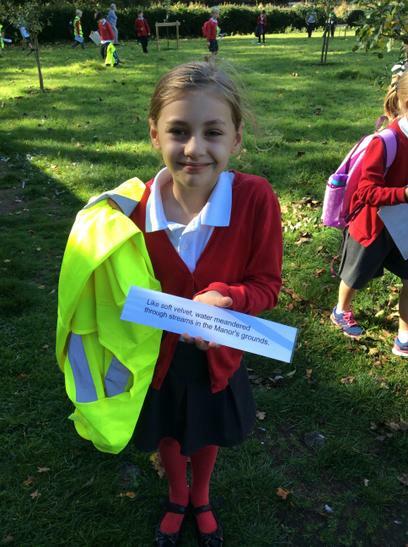 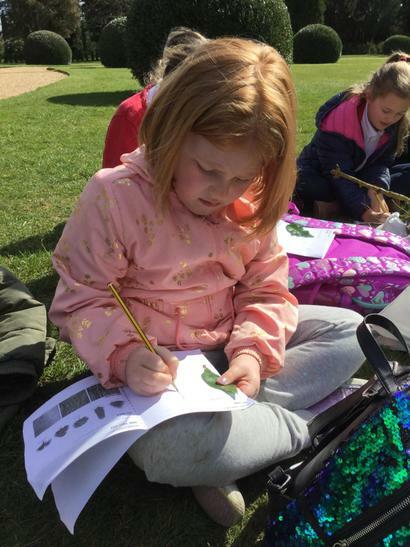 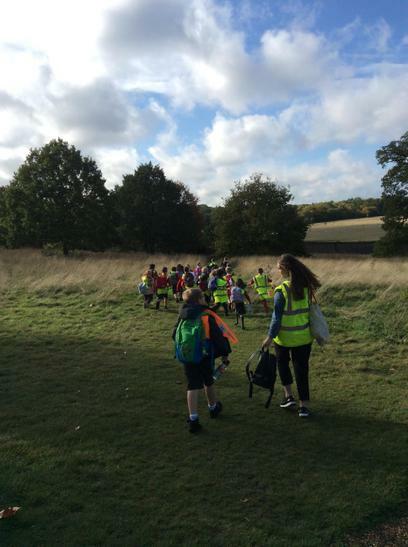 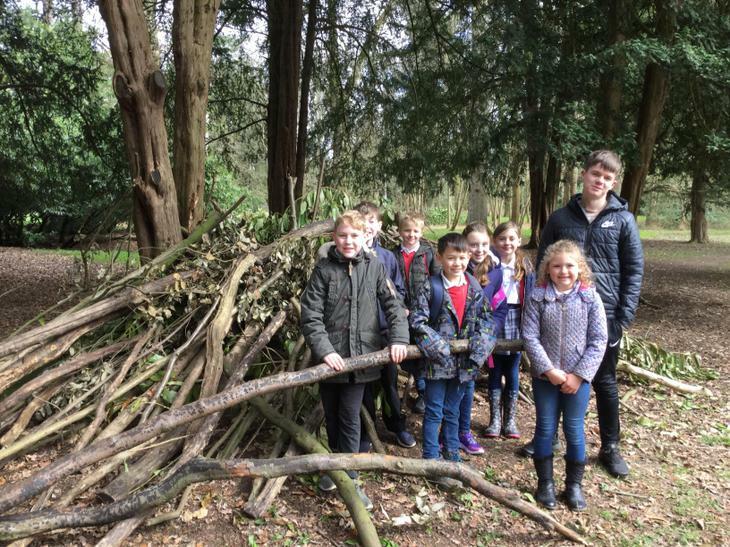 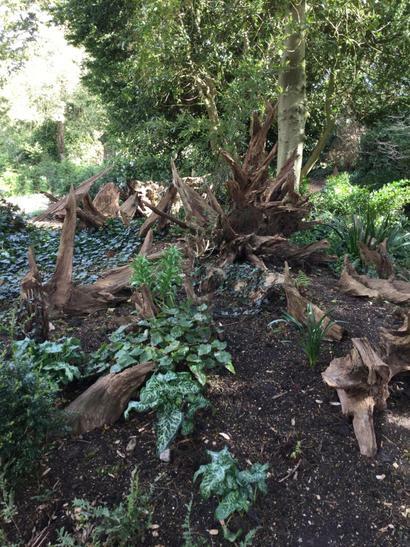 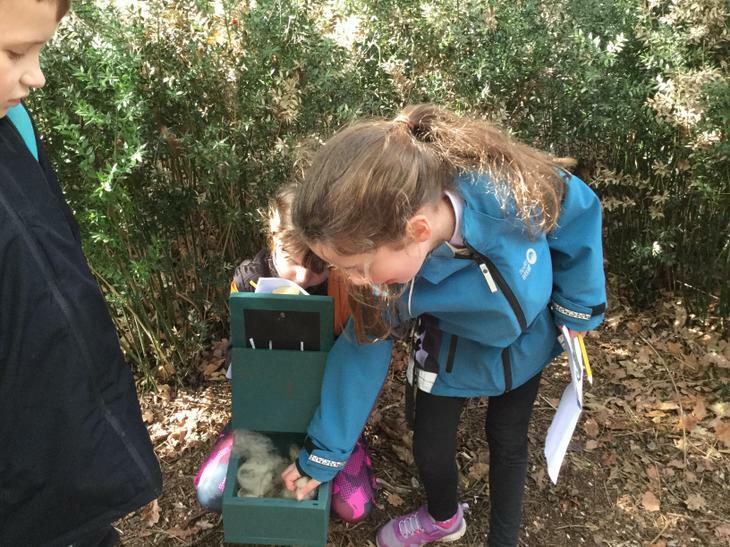 Earlier this week, we went to Ickworth Park to find signs of the changing seasons. 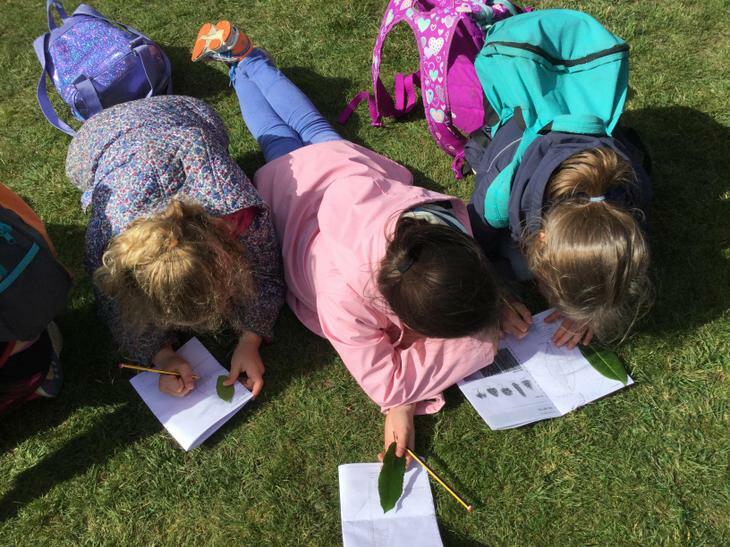 We looked at different types of leaves and were able to identify and classify them. 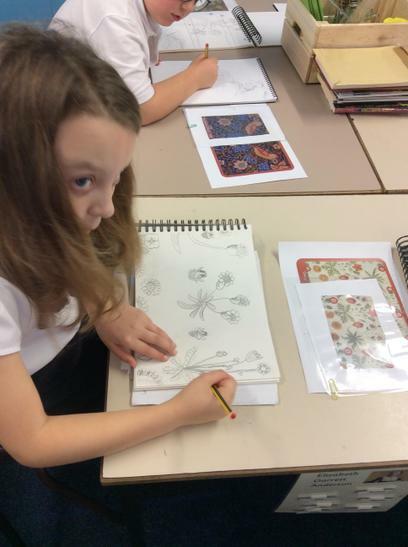 We also found wild flowers and had a go at sketching them. 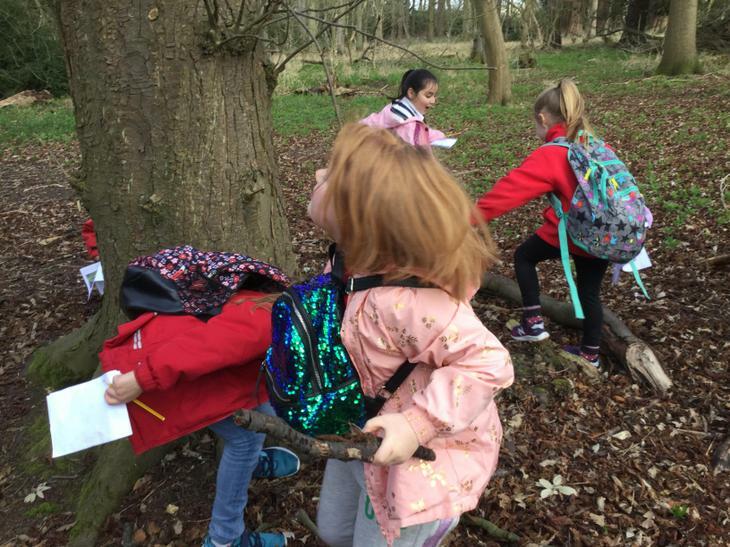 We went on a Spring Trail and found lots of natures materials such as flint, twine and wool. 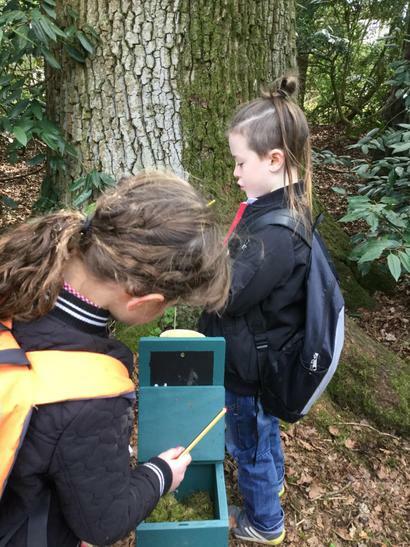 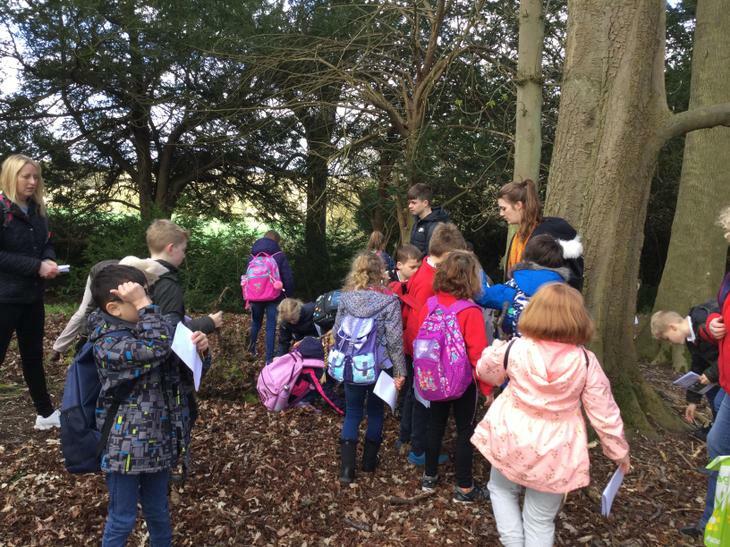 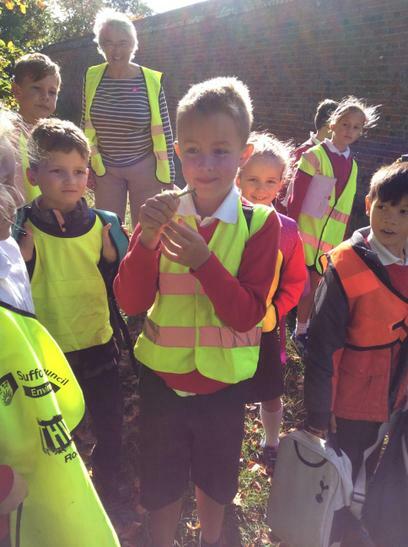 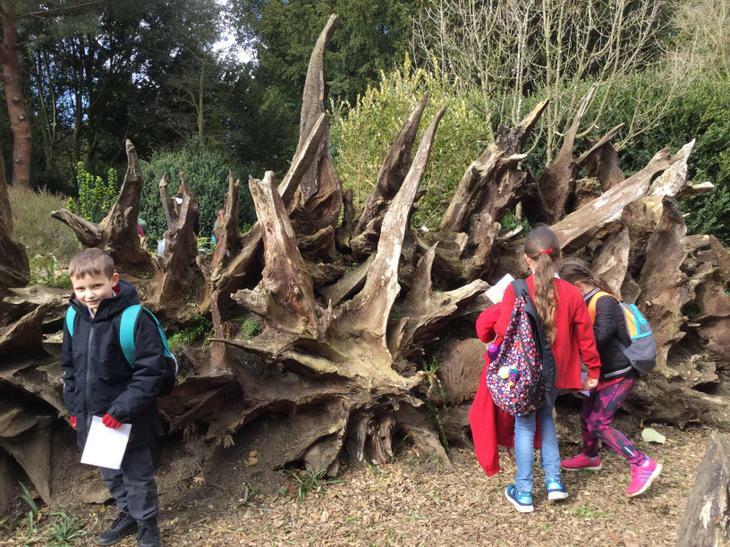 Whilst we were walking, we stopped to look at the different types of tree bark. 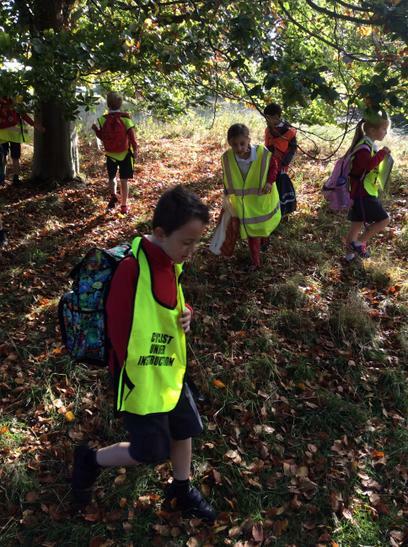 We even tried to count how many trees we passed! 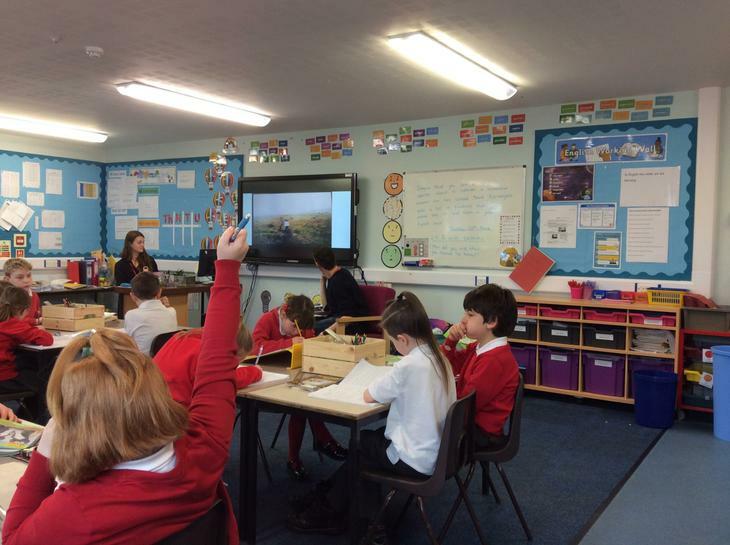 I think everyone lost count in the end..
ICT - The children learnt how a stop-motion film is made and began to make their own using a webcam. 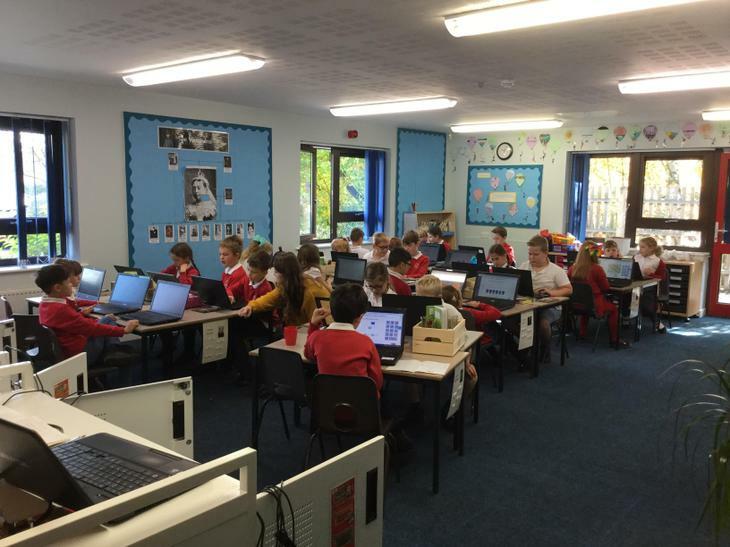 Safer Internet Day Today is Safer Internet Day. 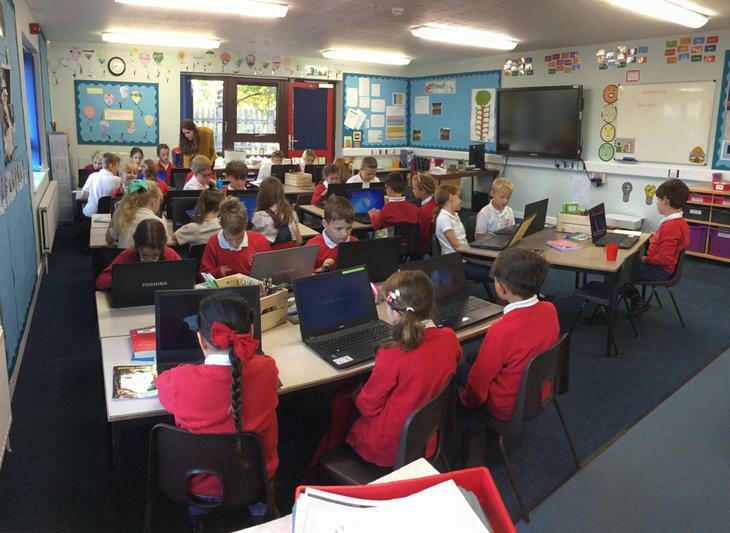 We spoke about the importance of being safe and responsible when online. 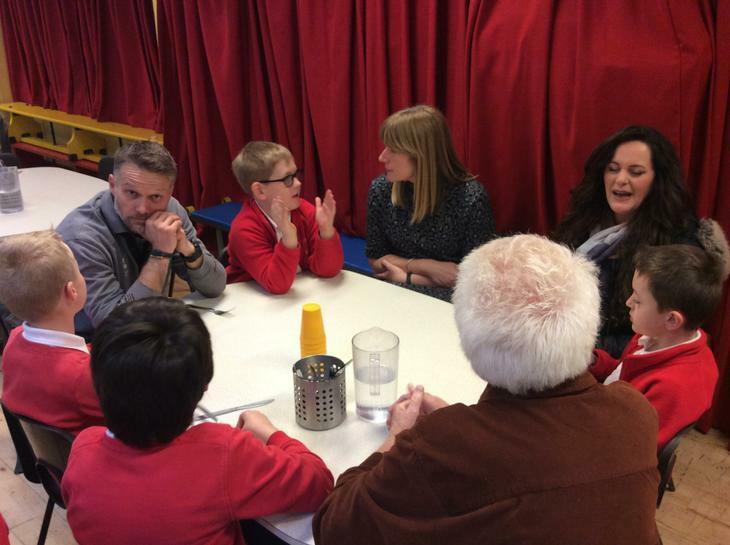 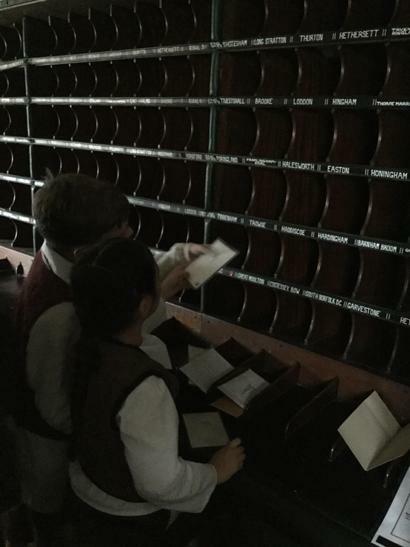 We talked about social networks and at which age you are allowed to have an account. 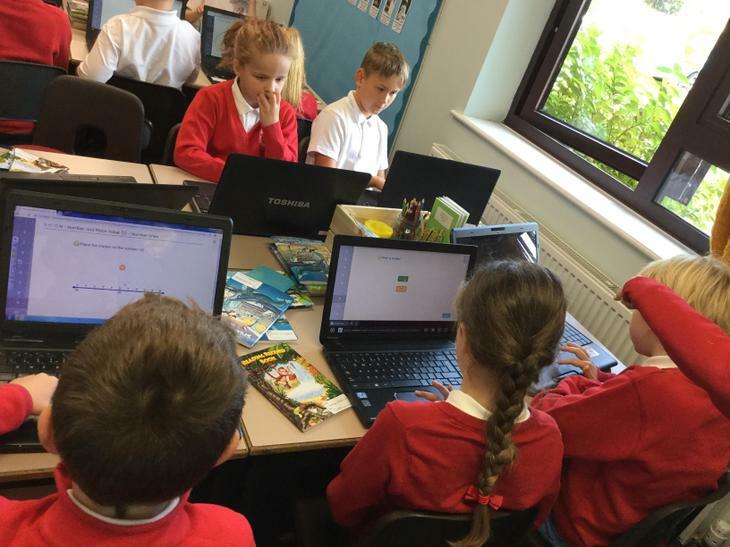 The website Think U Know has informative videos about ensuring you are safe when using the interent. 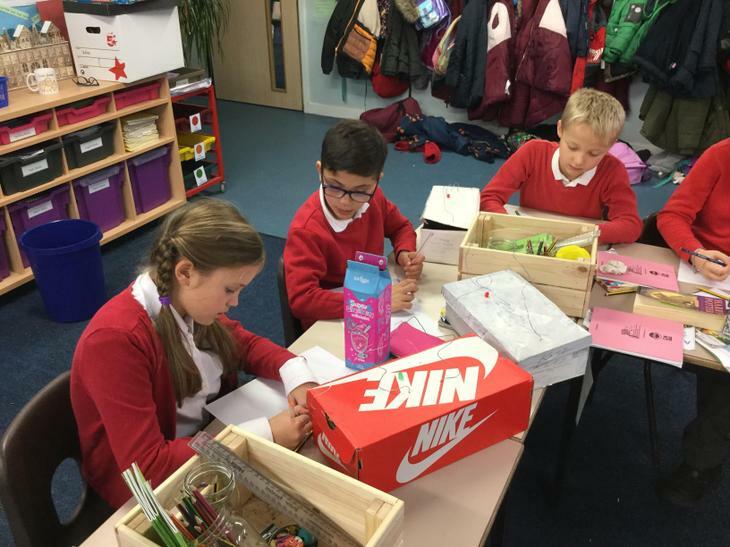 In English, we have started looking at poems with rhyming couplets. 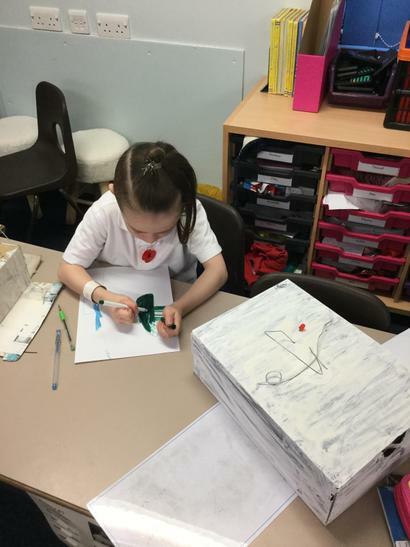 We looked at the poem The Land of Counterpane by Robert Louis Stevenson in which he talks about spending lots of time ill in bed as a child. 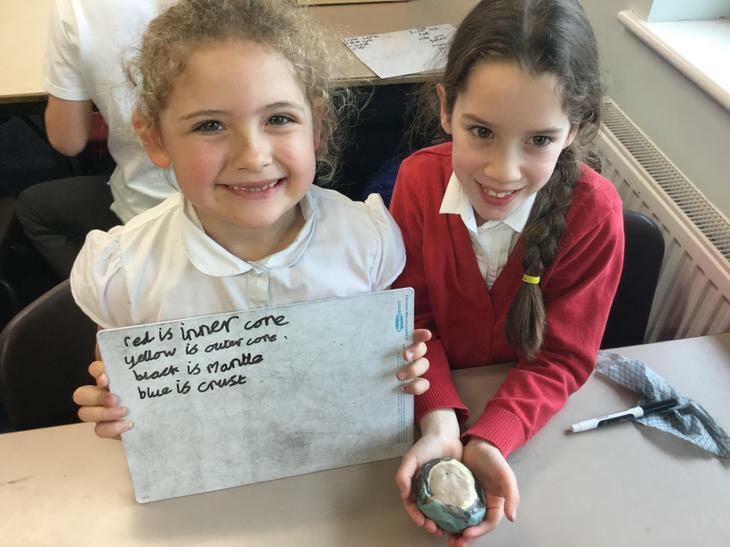 In groups we have started to write poems around the same theme. 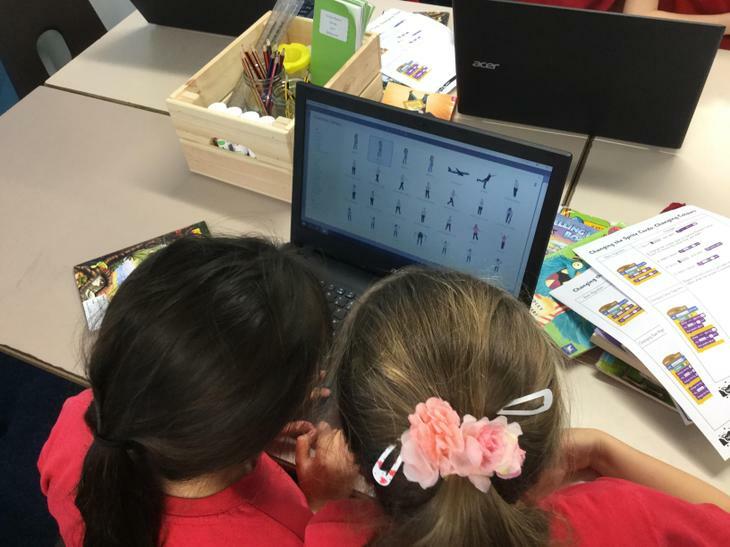 We had to use an online rhyming dictionary to help us find rhymes for some tricky words! 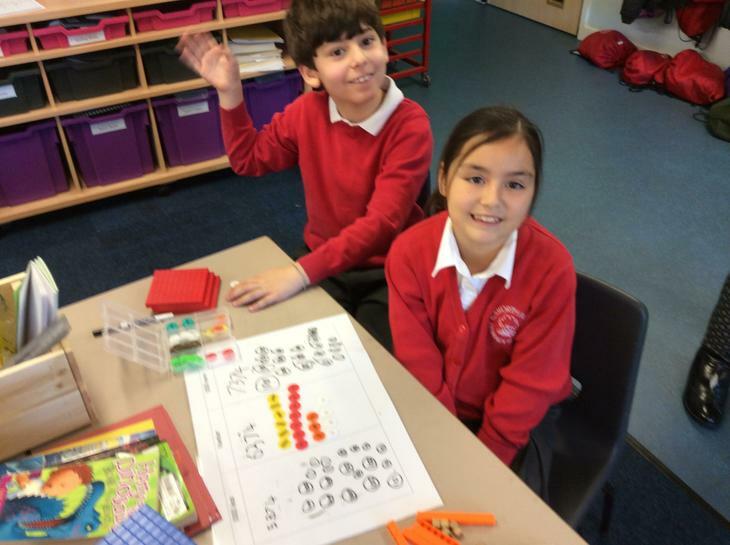 This week in Maths, we have started to learn how to divide 2 and 3 digit numbers by 1 digit. 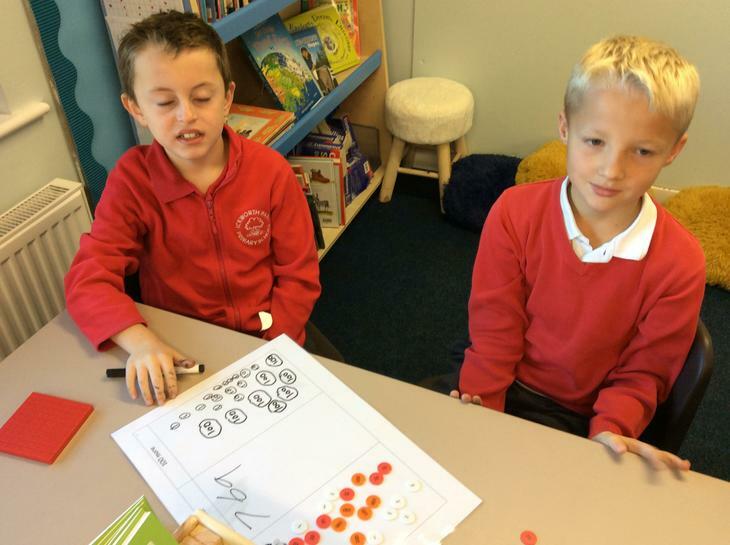 We have been using place value counters to help us. 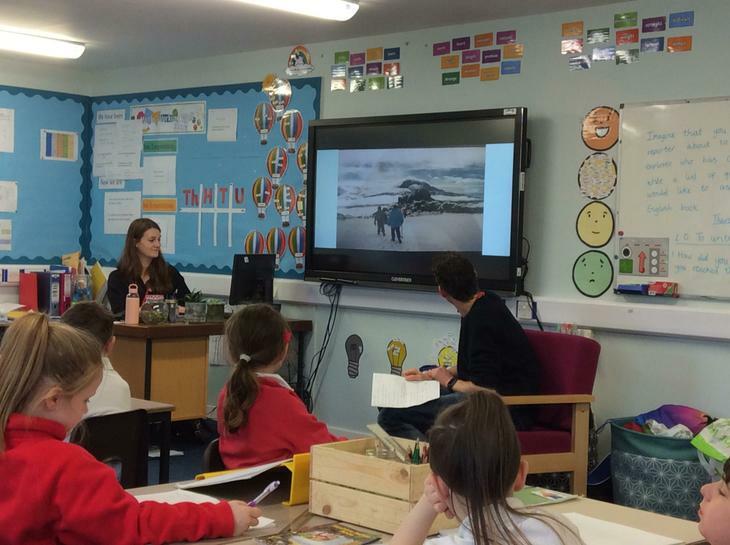 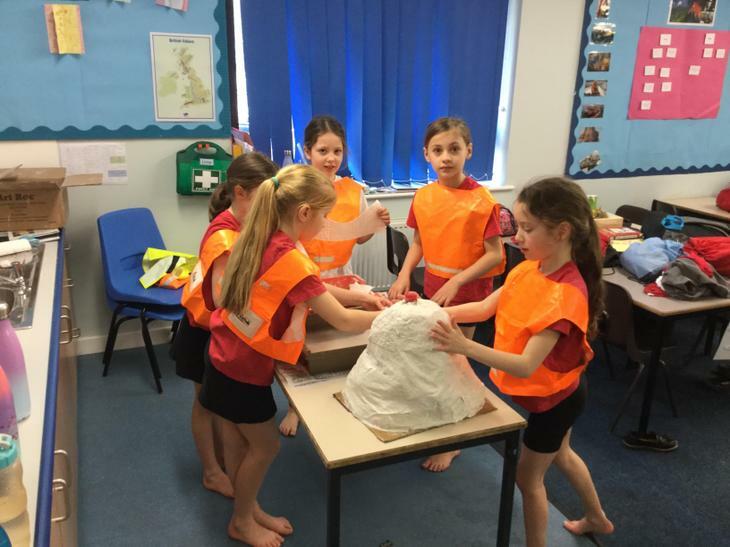 We have started our new topic, 'Mountains, Volcanoes and Explorers'. 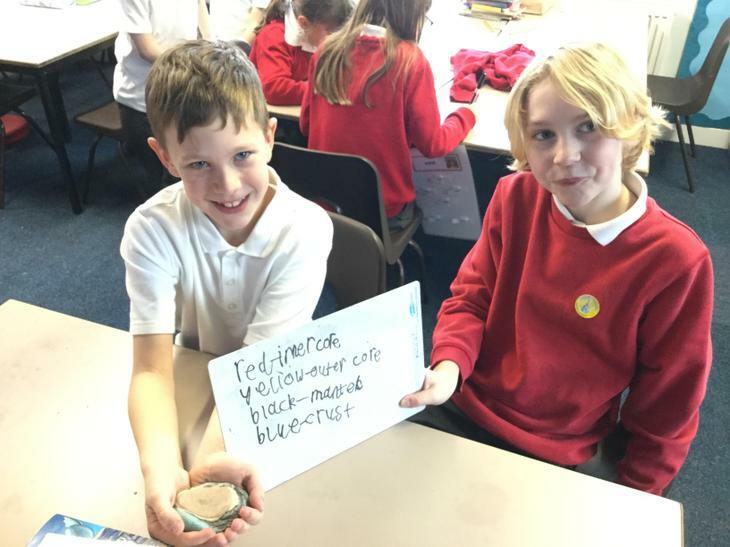 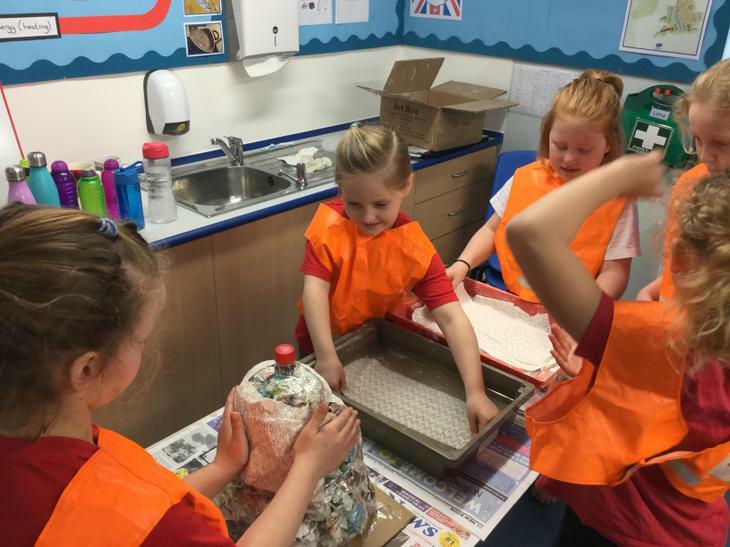 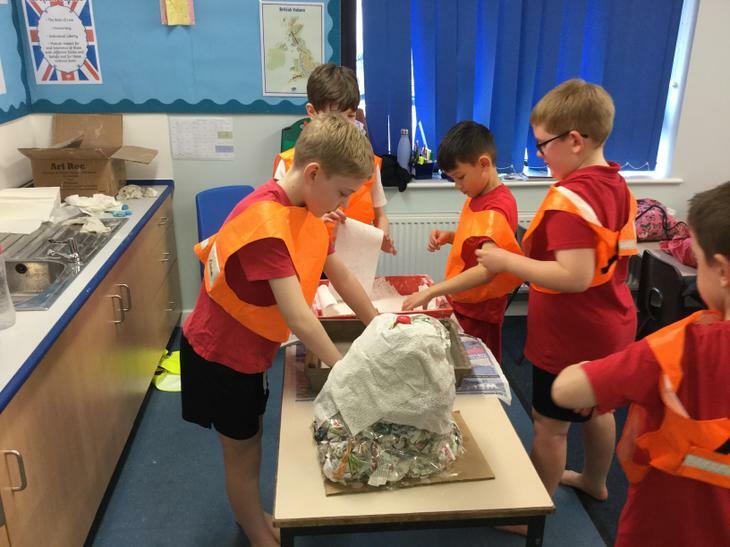 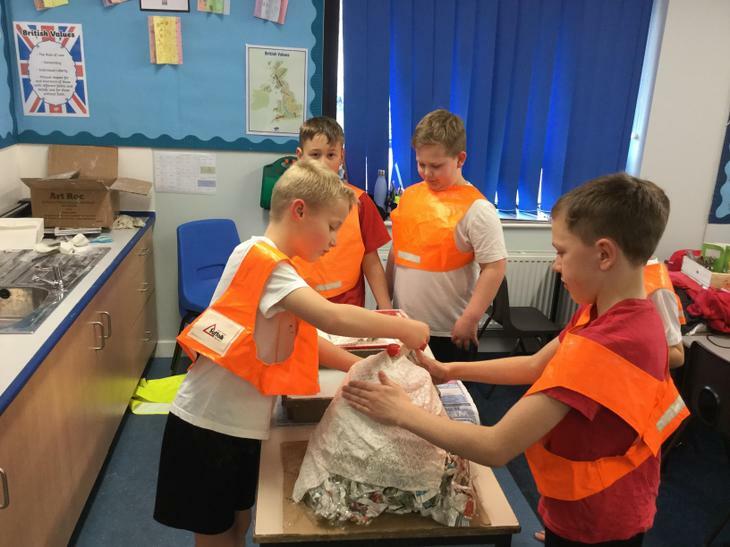 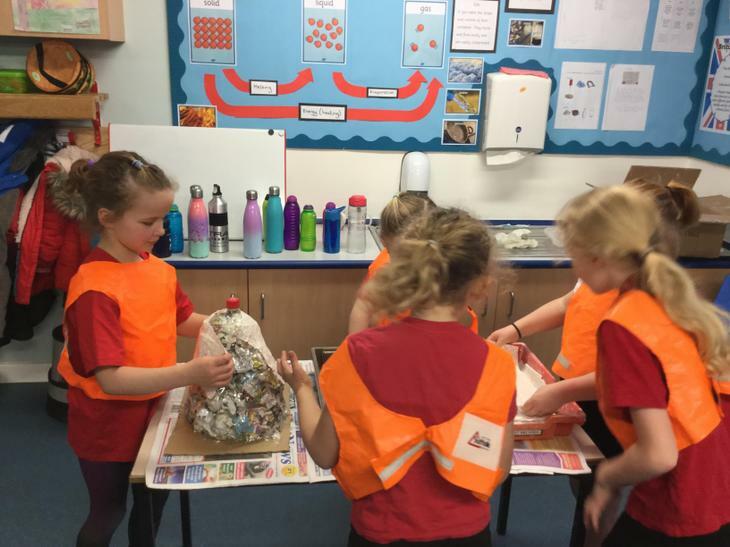 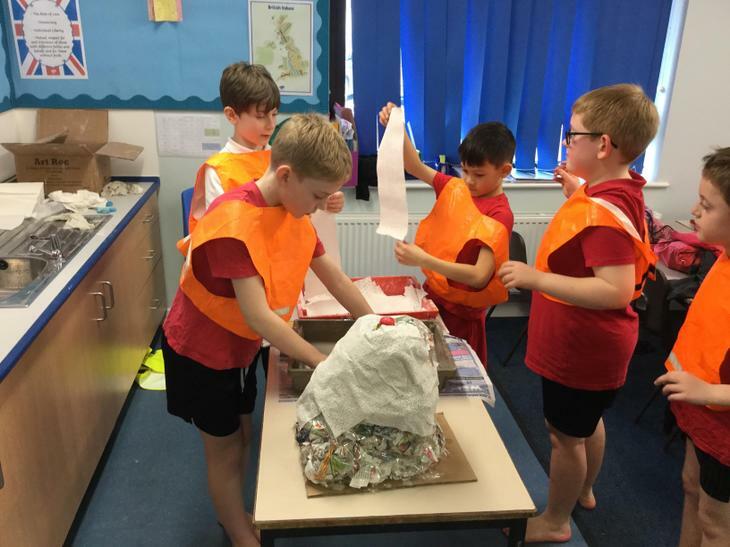 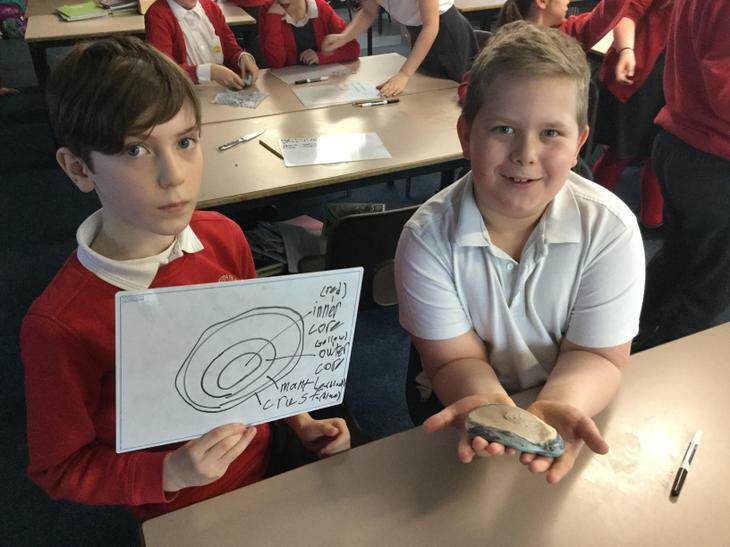 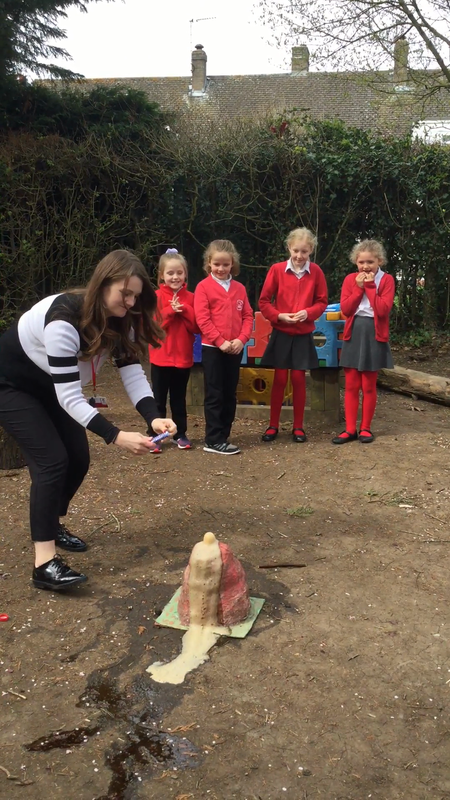 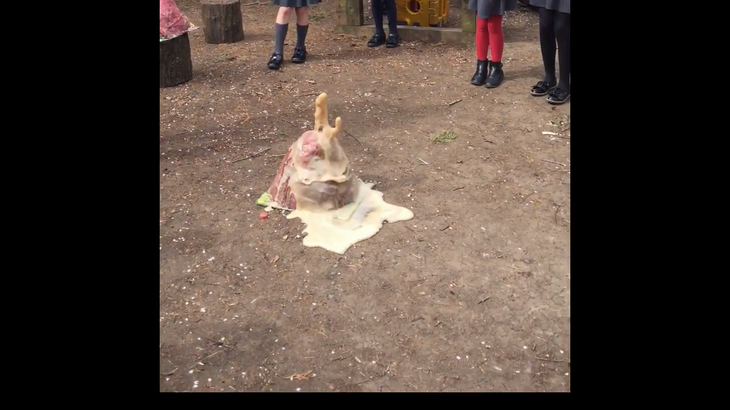 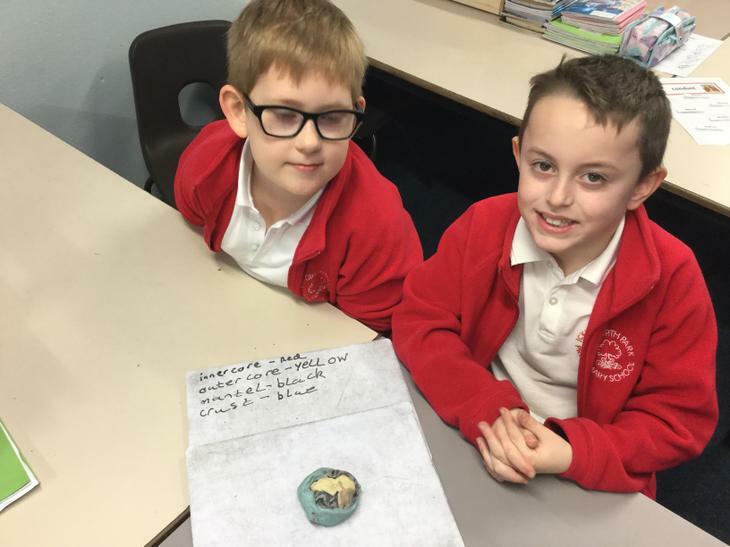 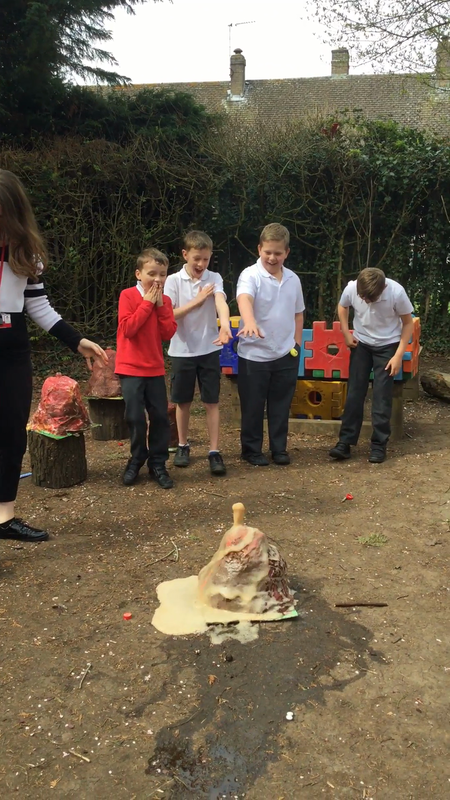 In Geography, we were learning how volcanoes were formed. 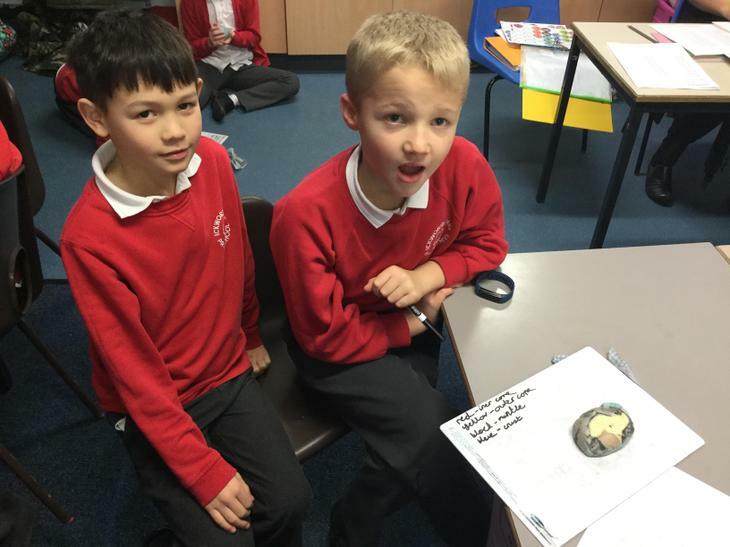 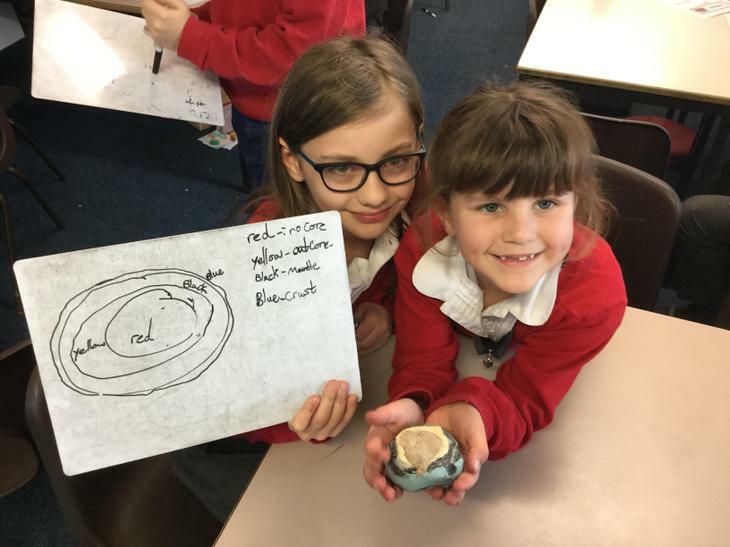 To help us understand, we made a playdough model of the Earth using different colours to represent the Earth's layers. 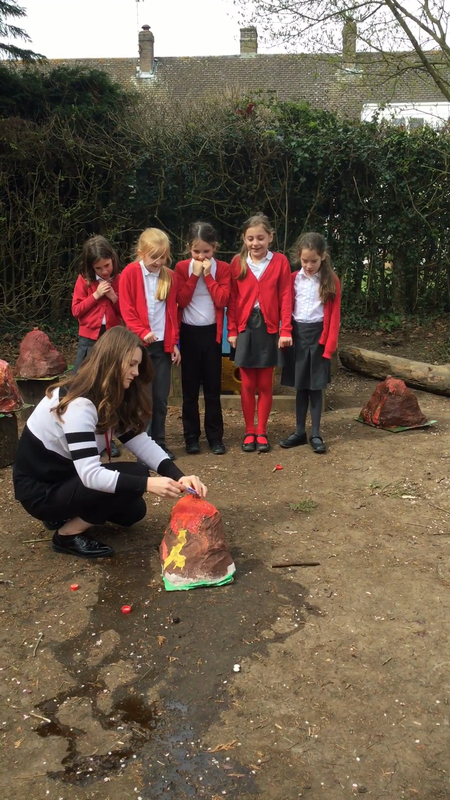 We then had to label the names of the different layers. 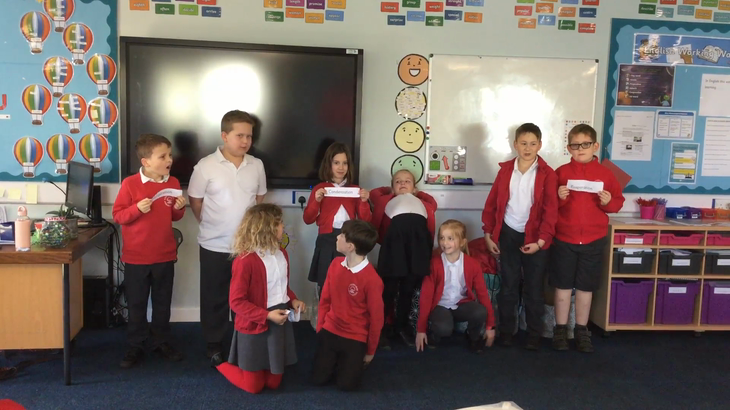 A really catchy song on YouTube helped us to remember! 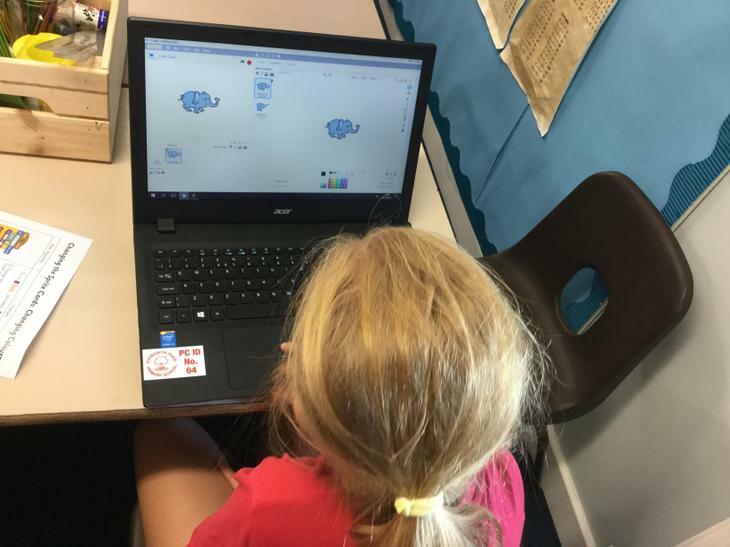 Animation in ICT - The children are beginning to create short clips using various software. 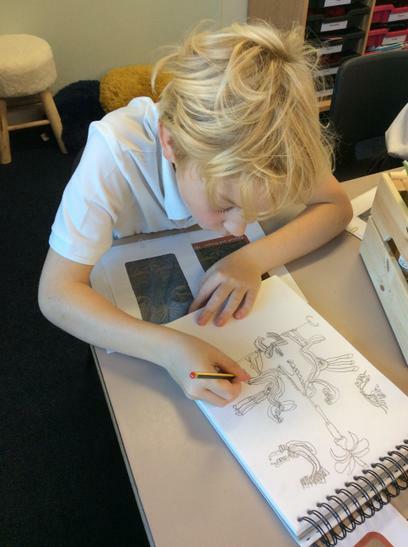 We have been studying Myths and Legends in English. 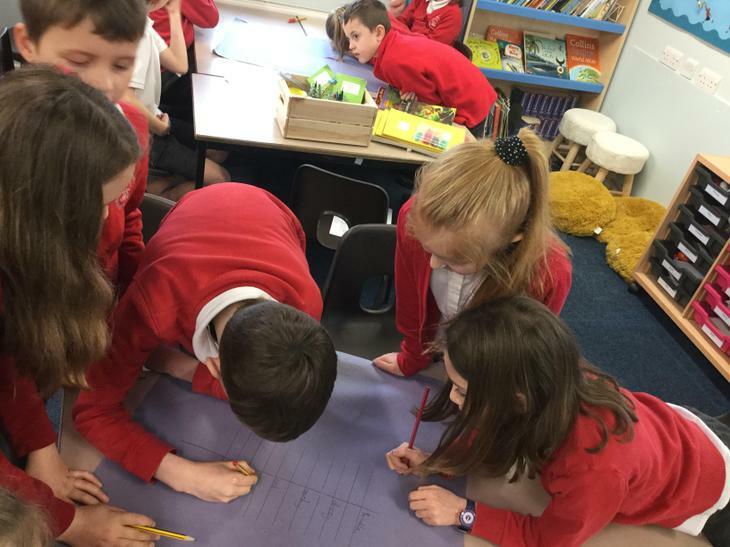 We listened to the Greek myth Daedalus and Icarus and then listed the main events in the story. 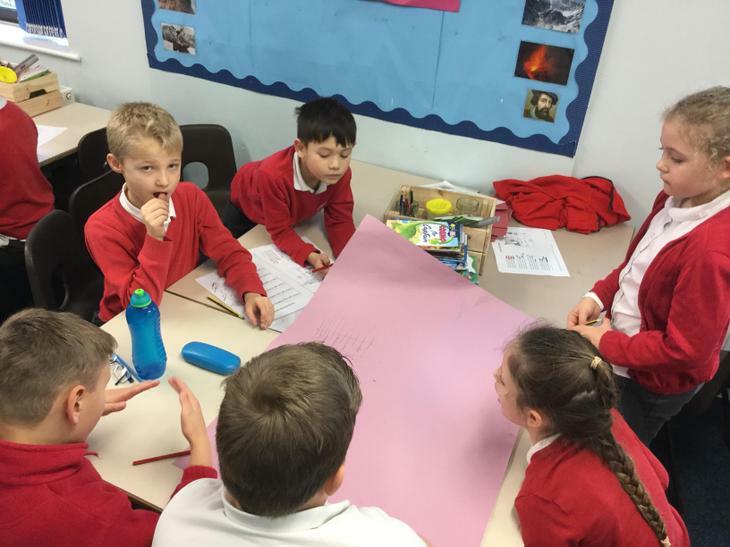 In groups, we took a main event each and expanded it to make a paragraph. 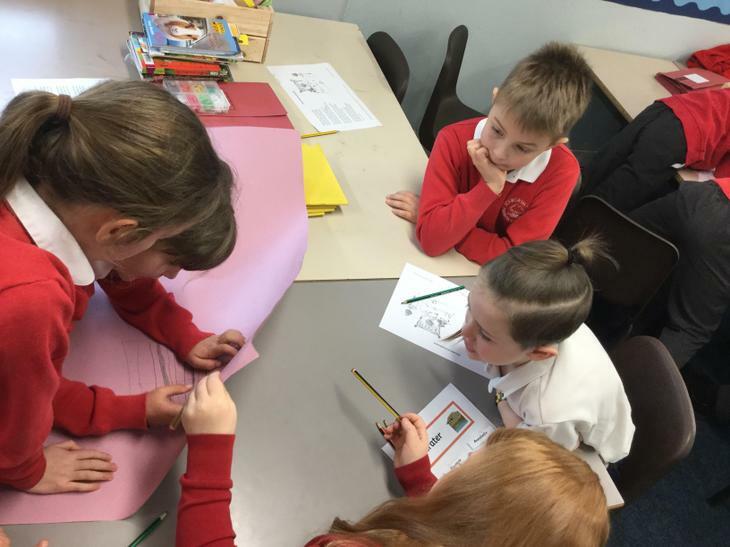 Once we put our ideas together to form the story, we edited it in partners to improve the vocabulary using a thesaurus. 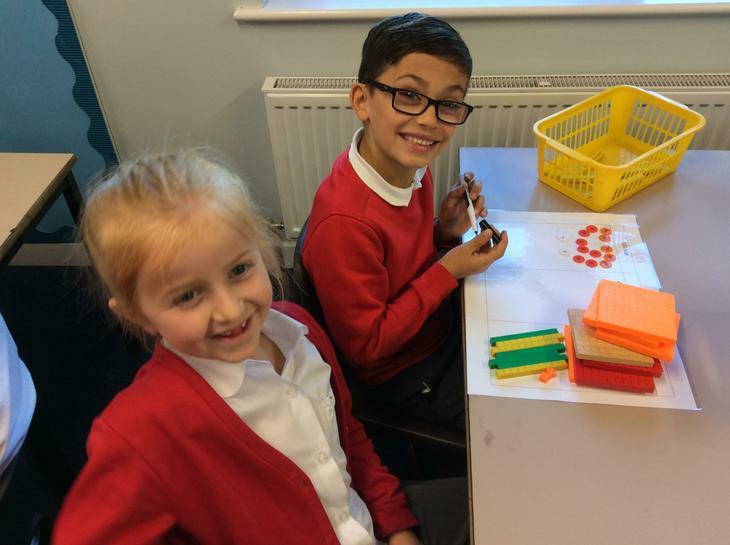 We are extremely happy with our finished story! 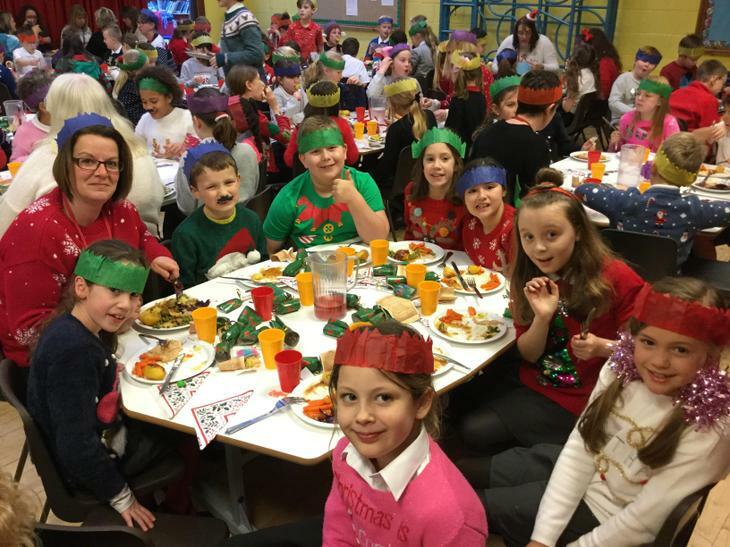 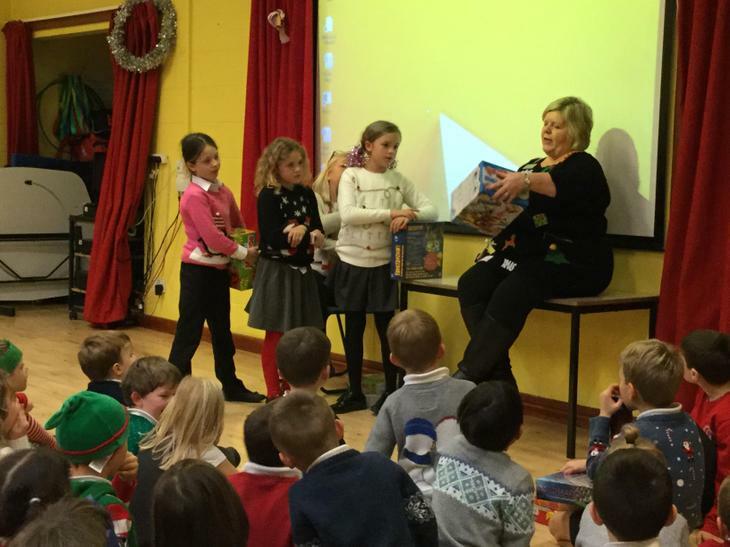 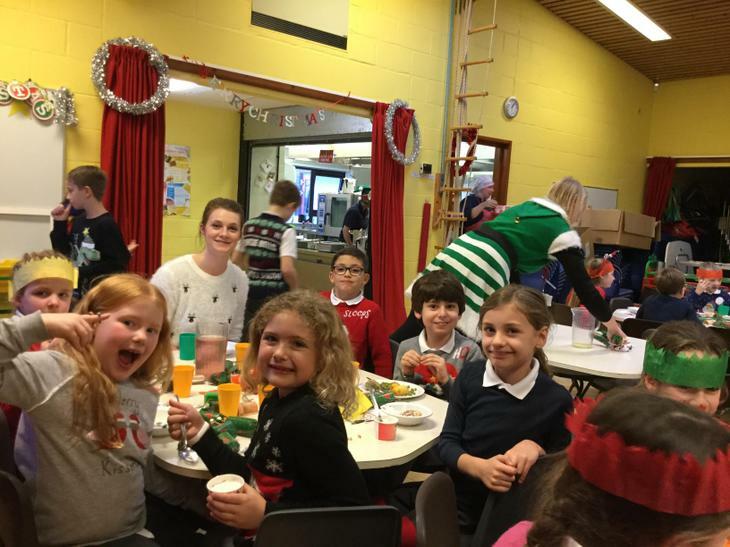 Yesterday, we raised money for Save the Children by wearing our Christmas jumpers. 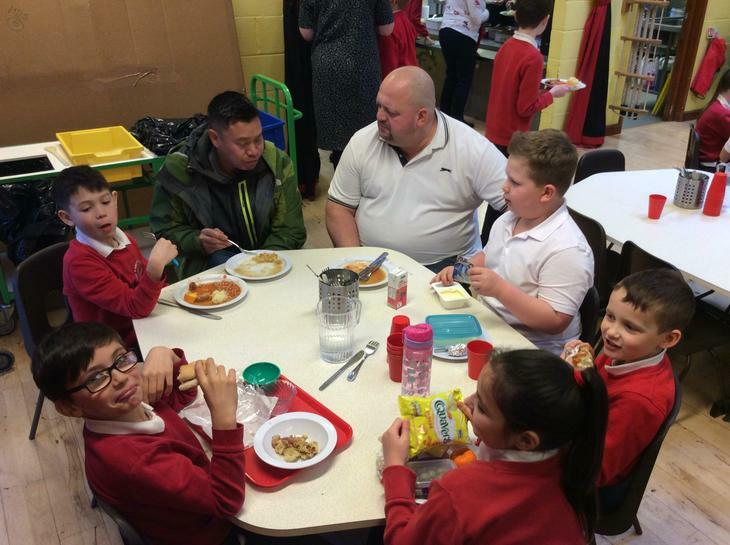 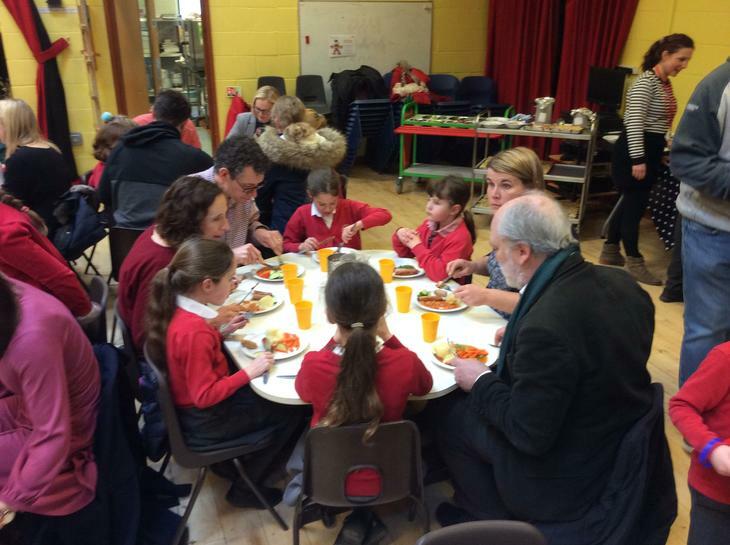 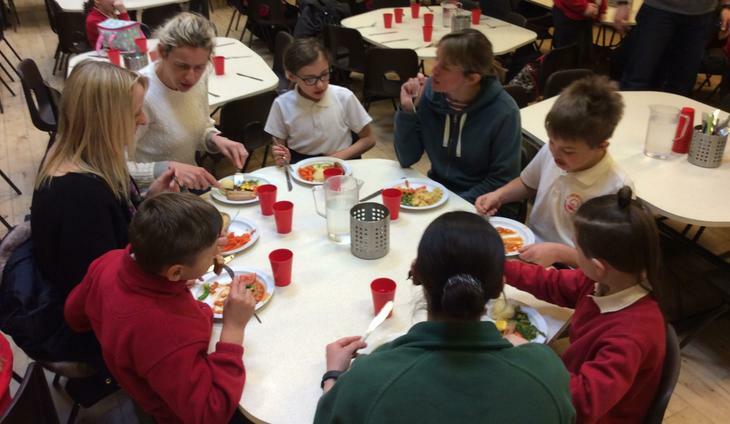 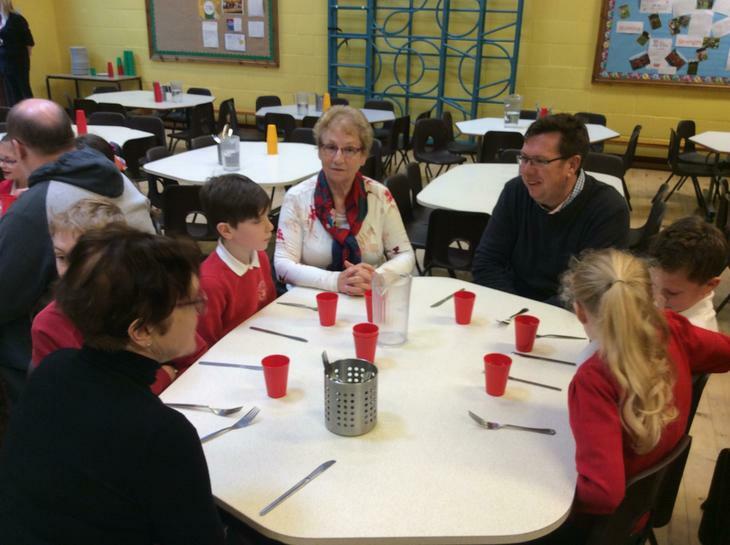 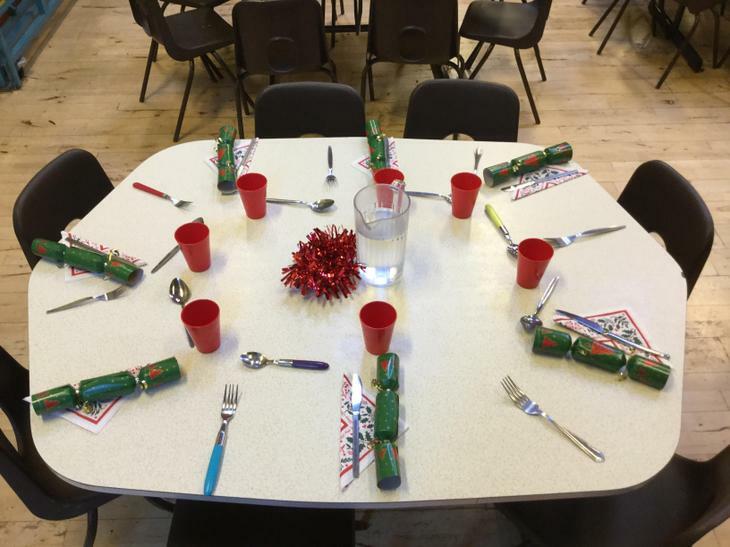 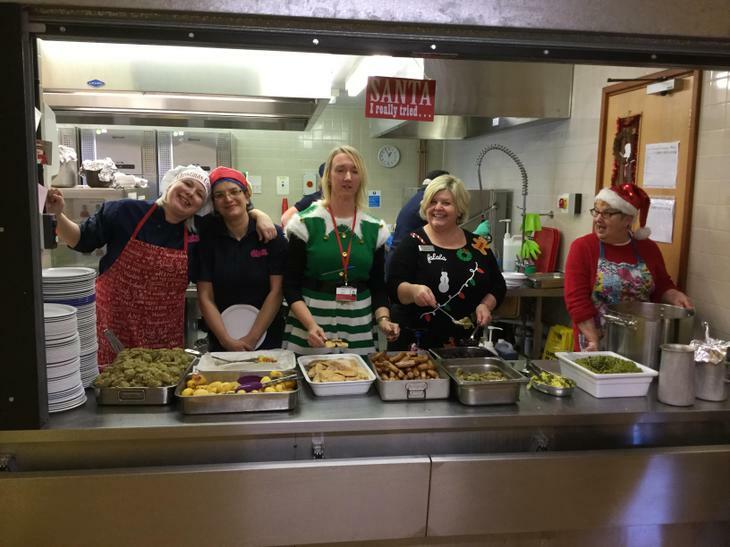 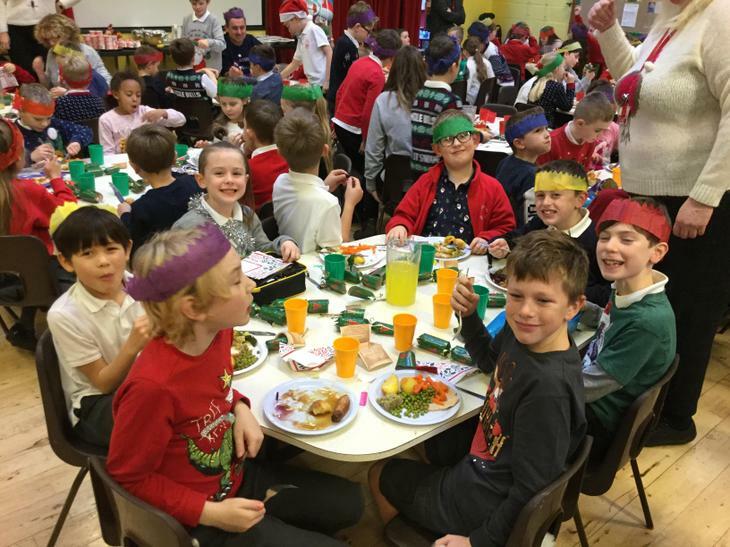 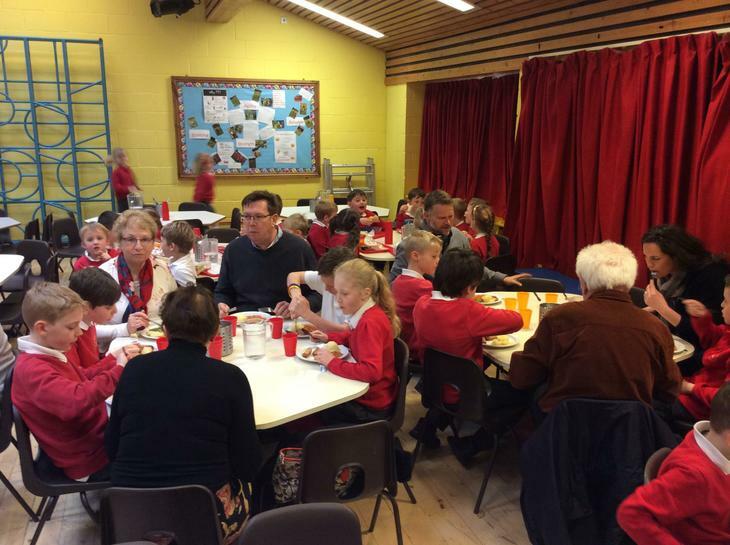 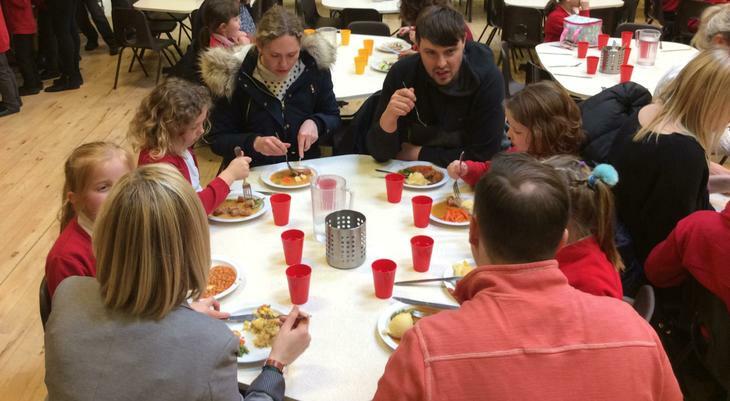 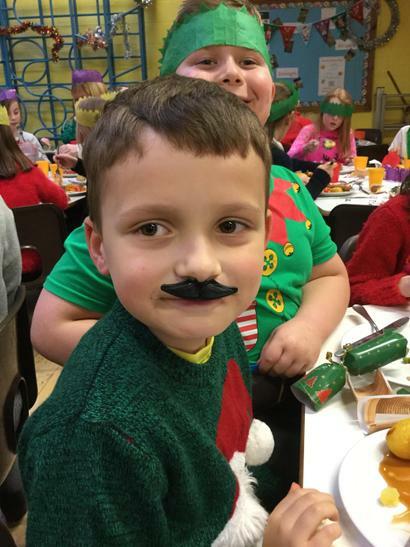 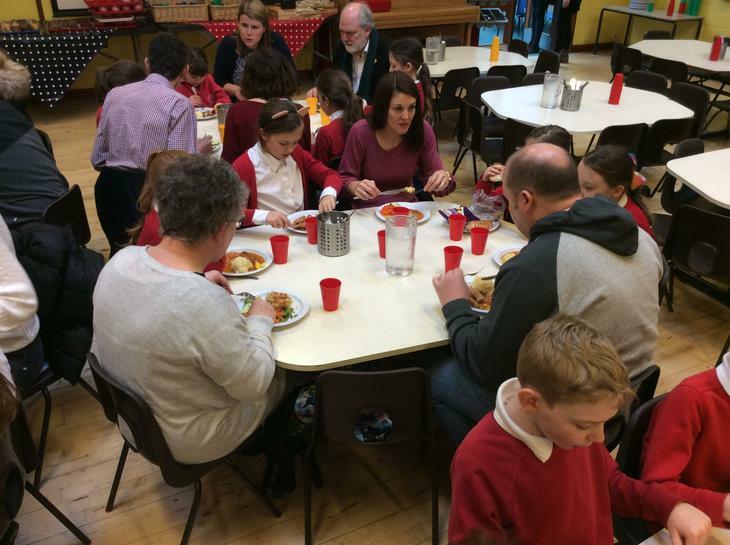 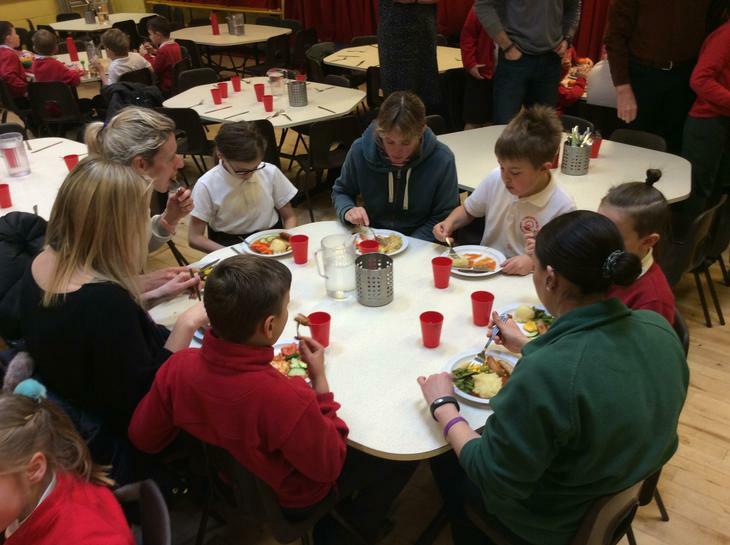 We then had a Christmas dinner together which was delicious! 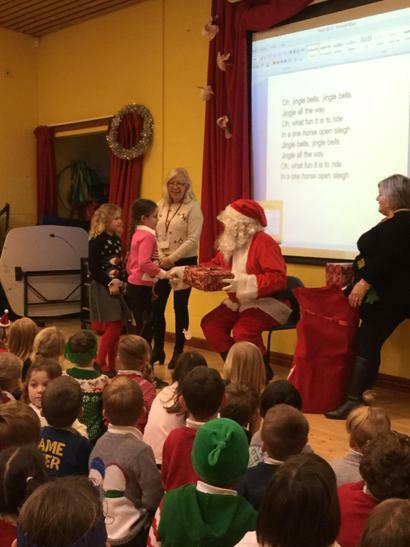 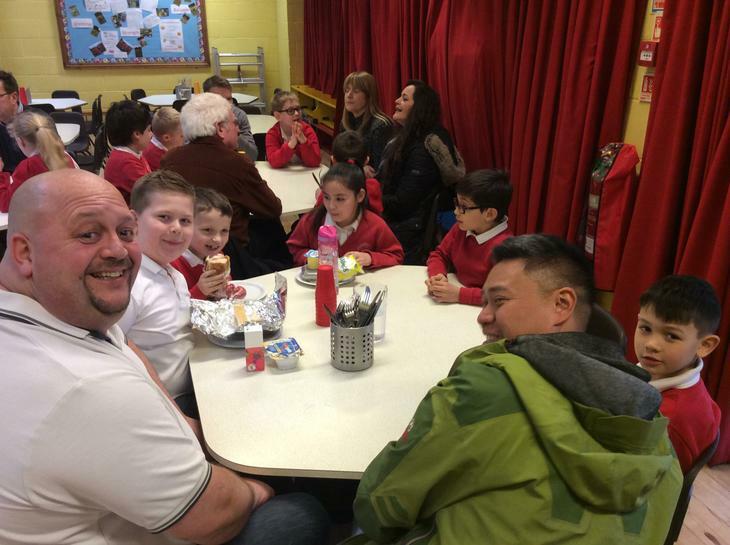 In the afternoon, we had a special visit from Father Christmas! 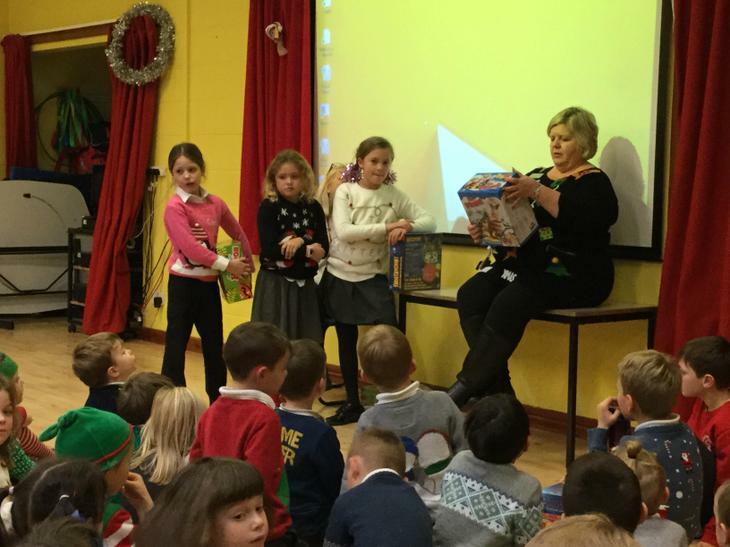 He brought us three board games which we were very happy about. 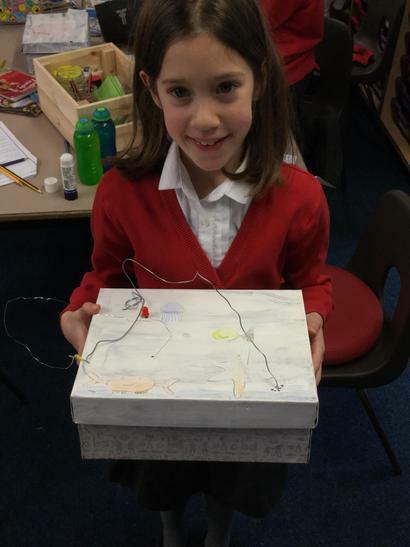 In Science we have been learning about electricity and how to make a complete circuit. 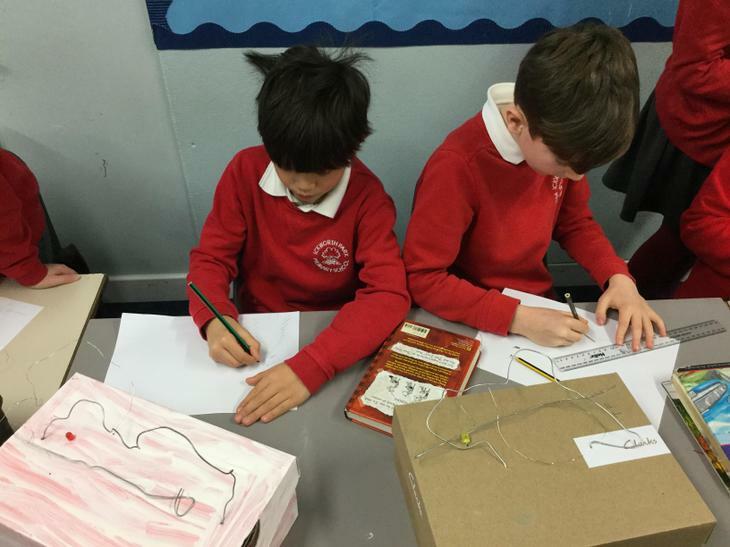 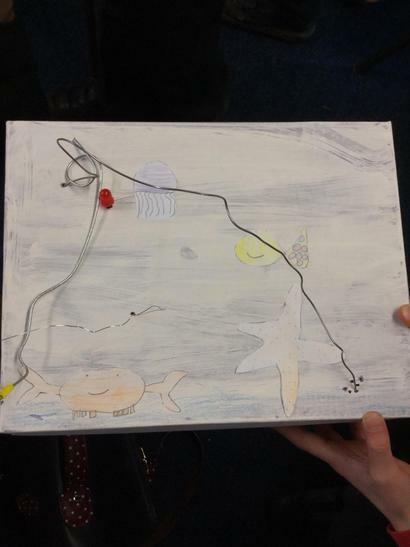 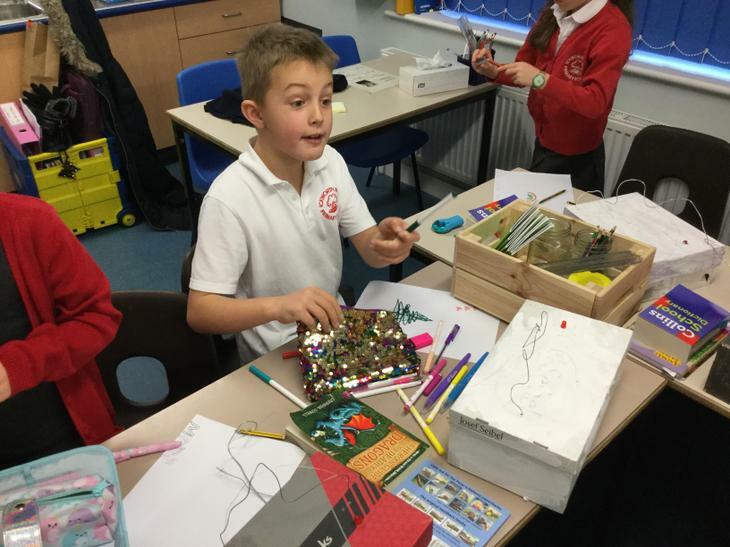 In D&T we planned our own wire loop games and this week we have been making them. 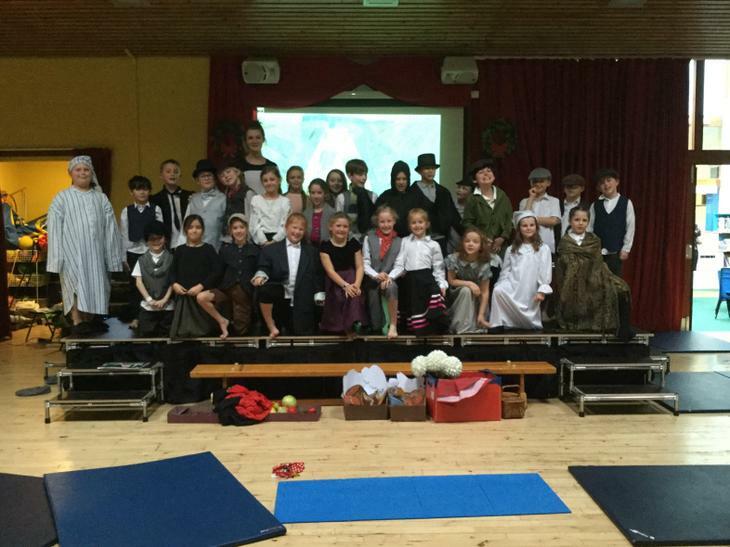 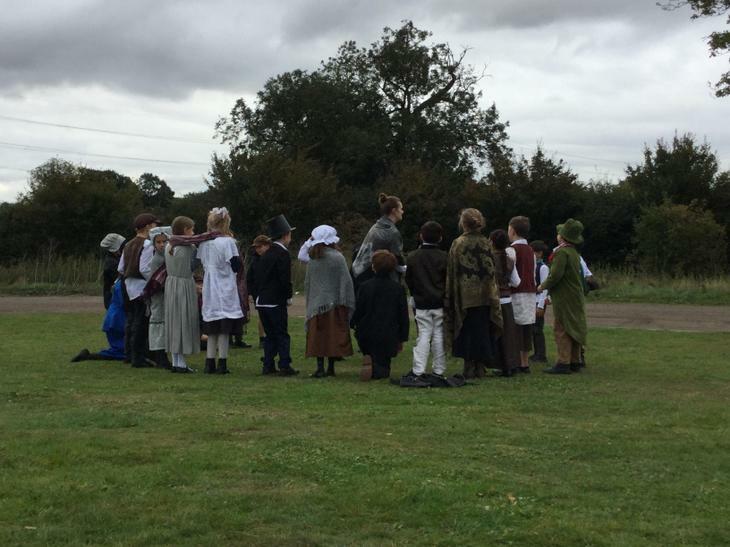 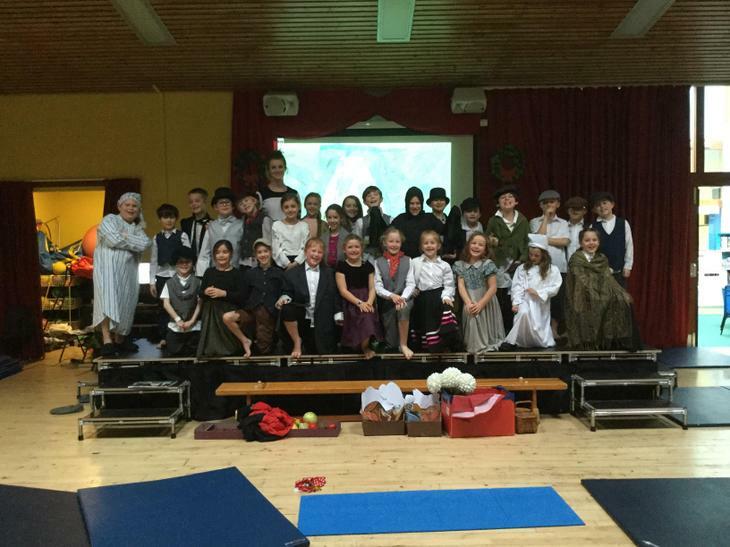 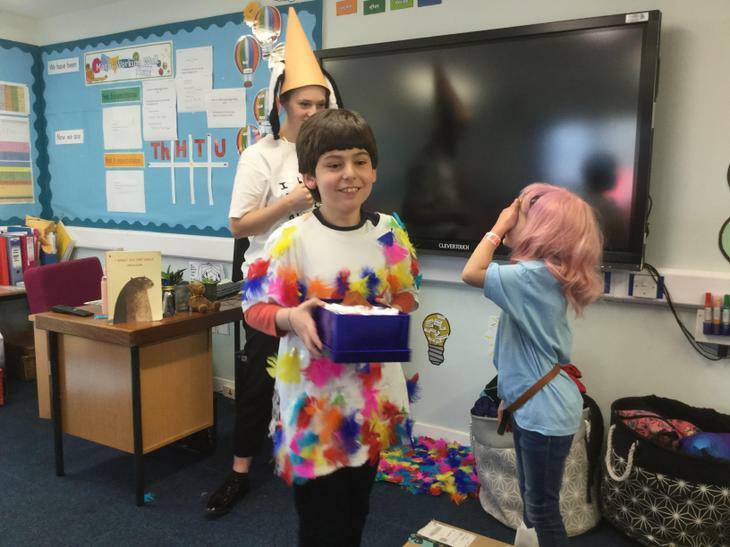 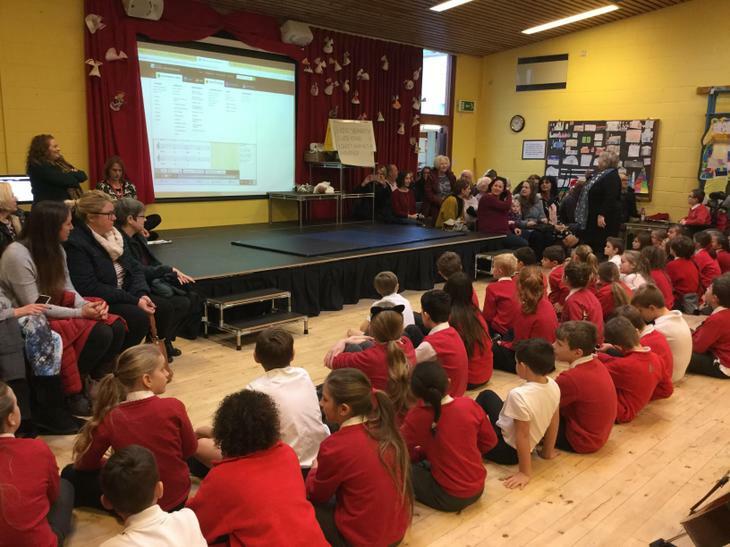 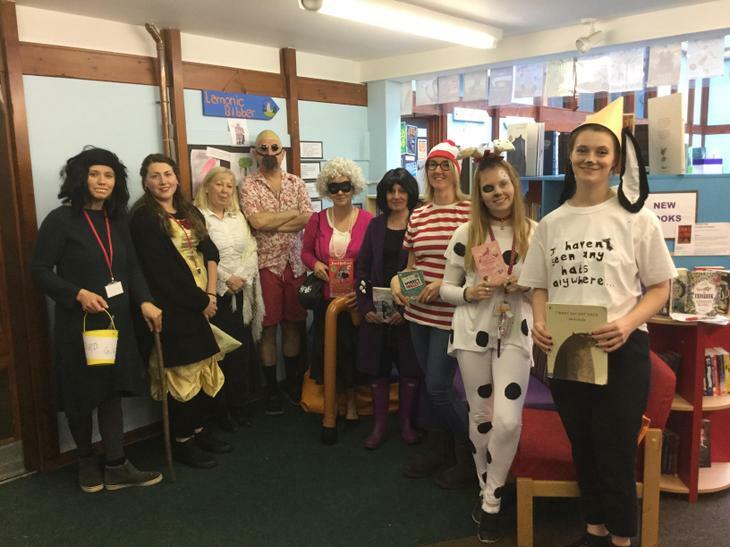 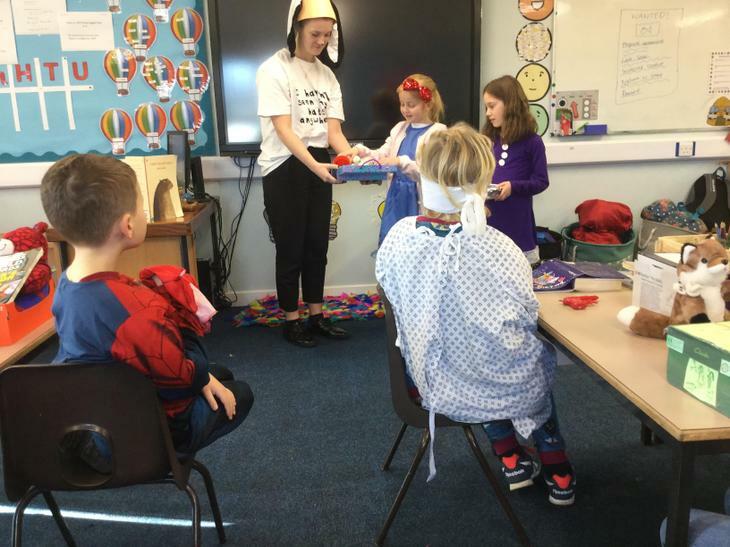 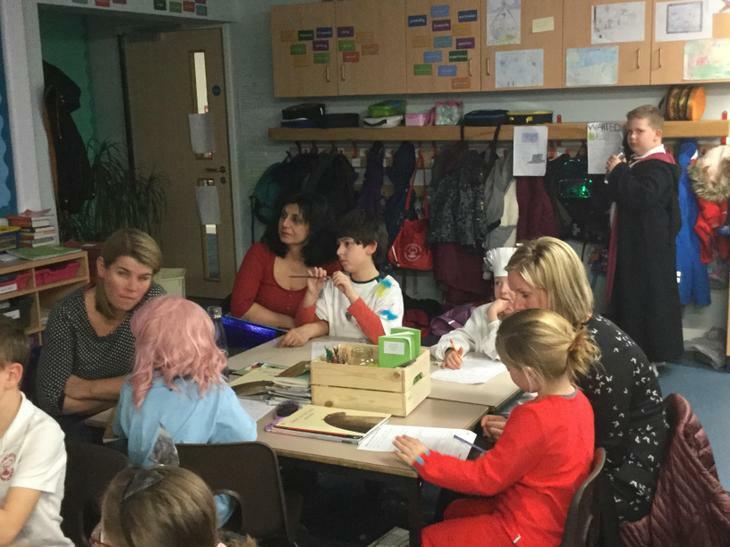 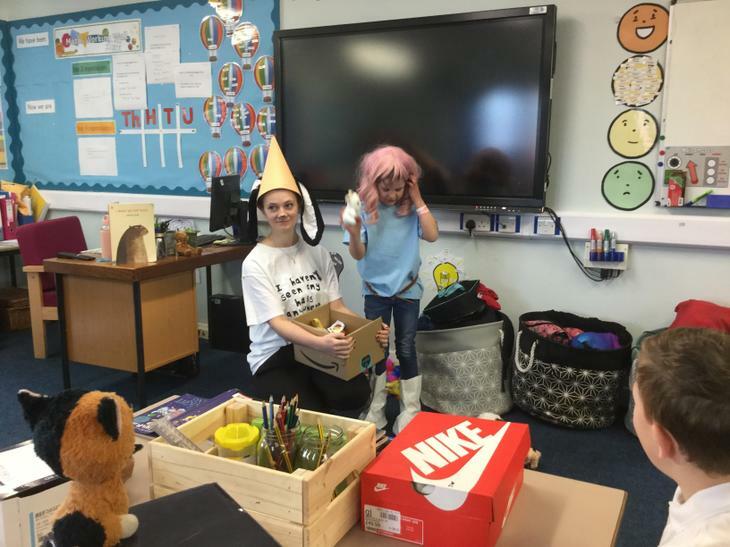 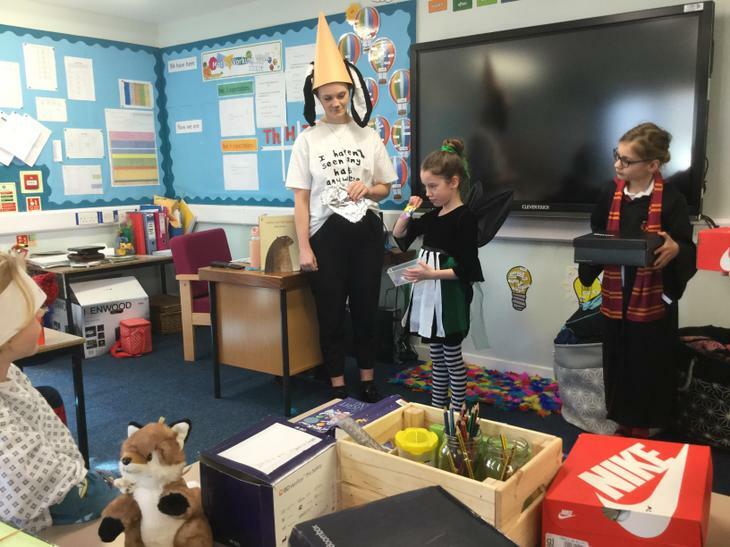 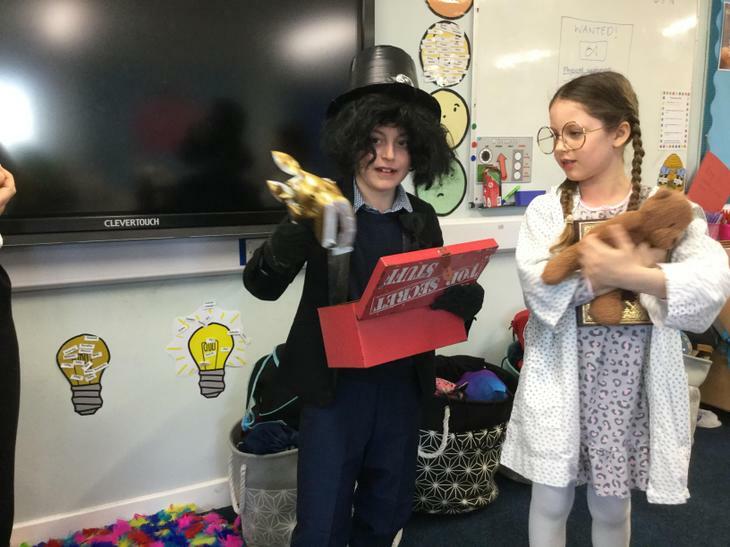 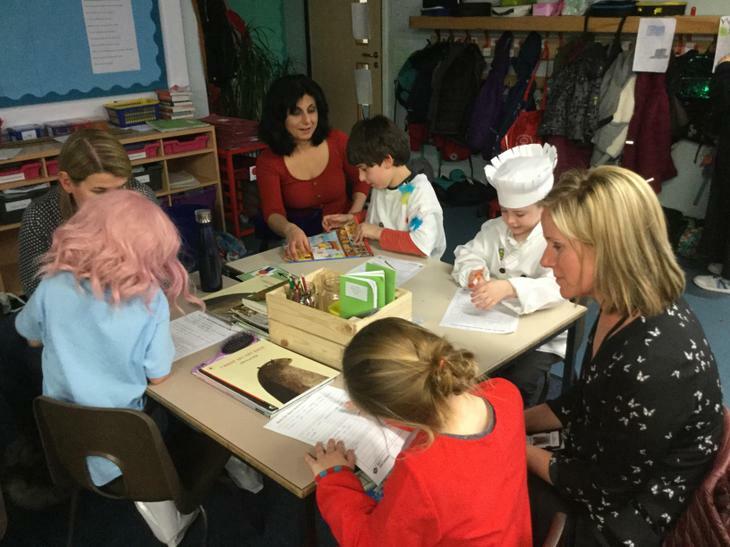 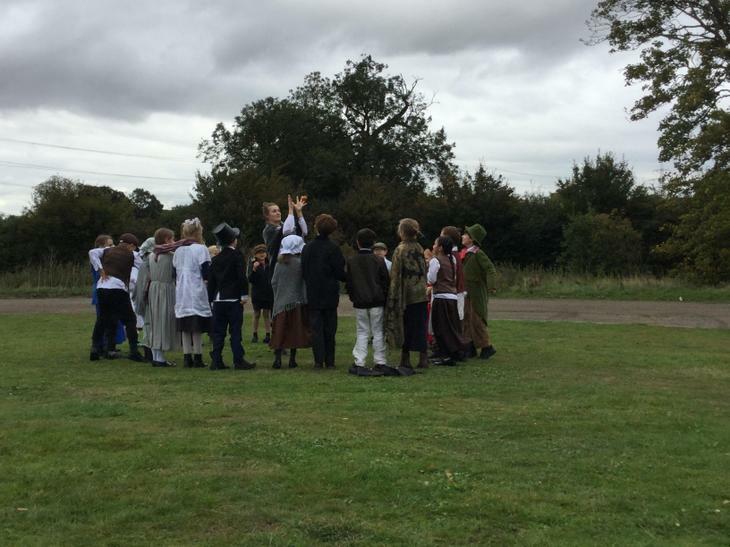 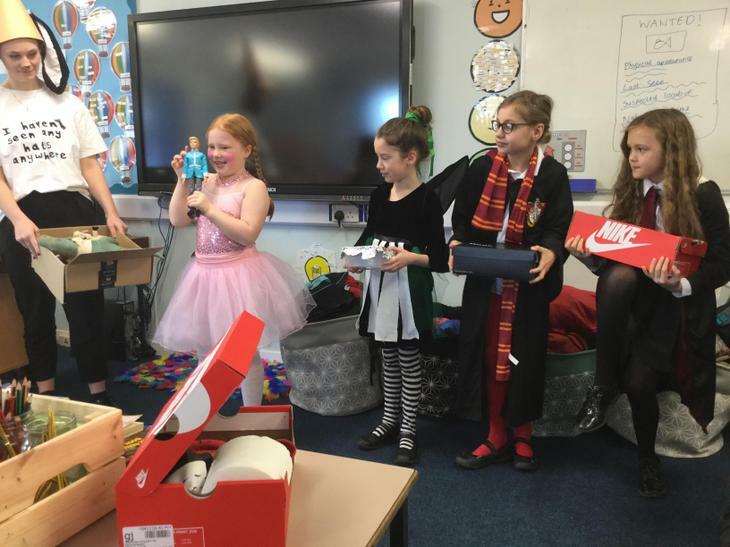 Last week we performed our play Bah Humbug! 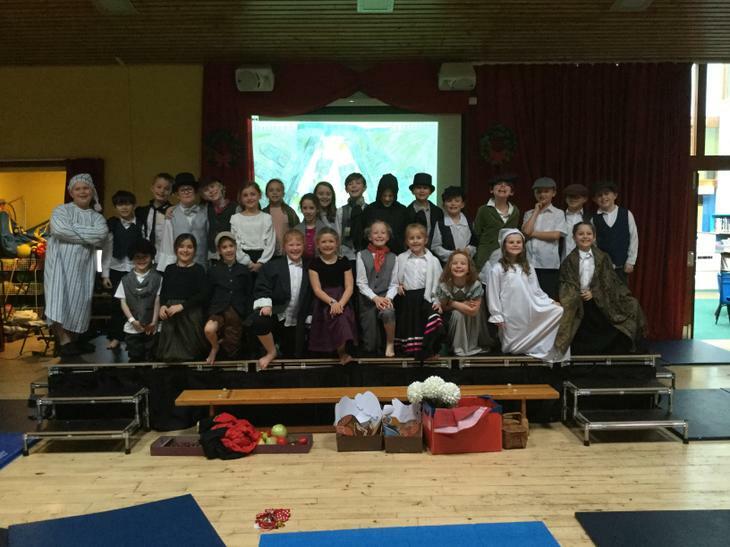 It is based on A Christmas Carol by Charles Dickens. 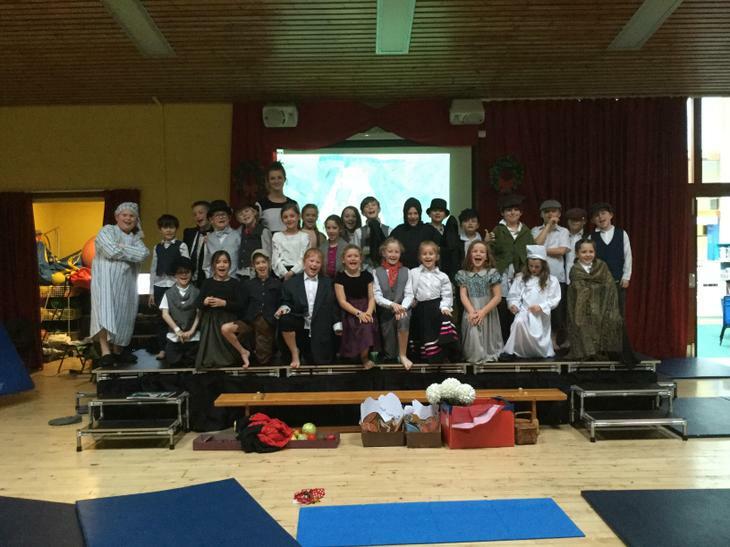 We worked really hard and had an amazing time! 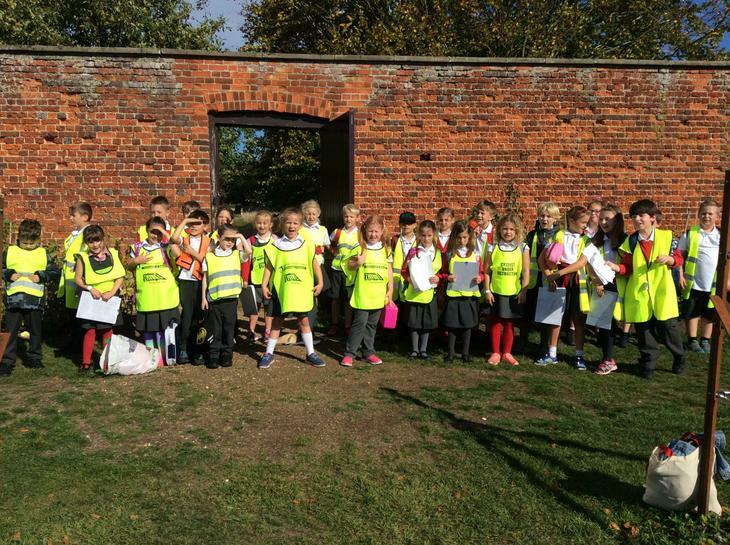 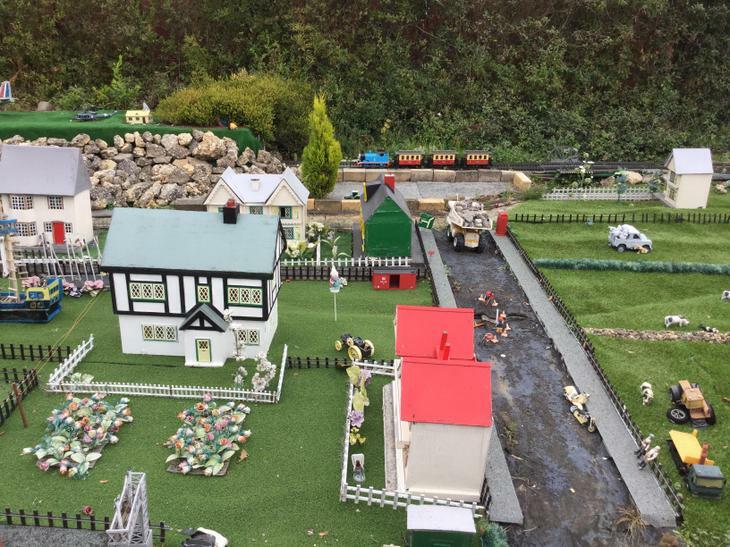 We went on a trip to The Secret Garden! 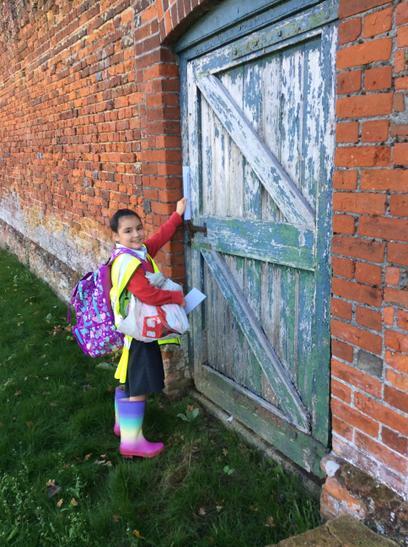 When we got to the gate we had to search for the hidden key, luckily someone spotted it under some leaves. 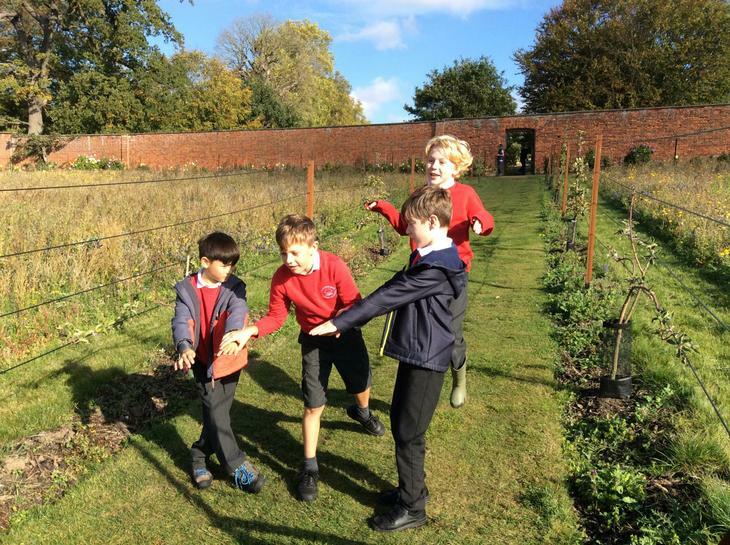 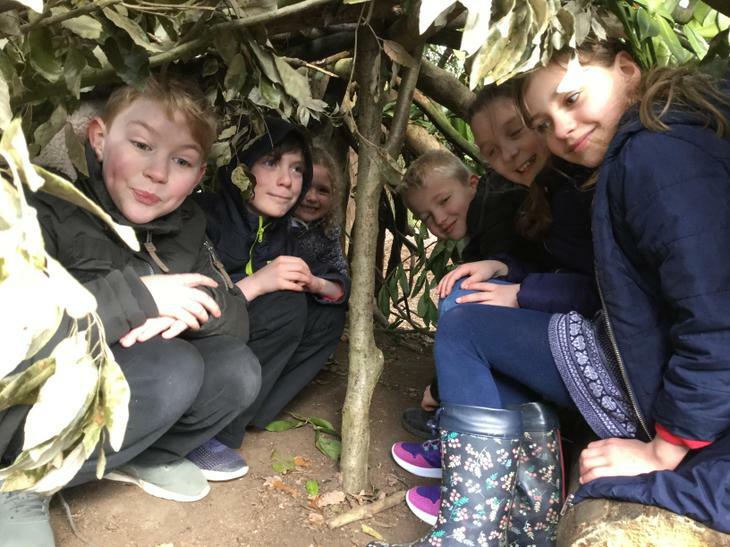 When we went through the large, wooden gate we all imagined that we were Mary Lennox from the story and imagined how she felt when she first discovered the garden. 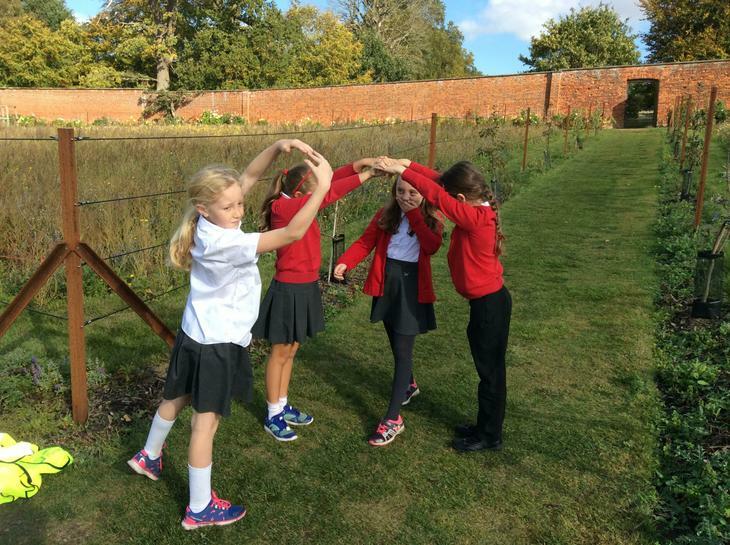 Once we were inside, we worked in groups to create freeze frames of Mary discovering the garden. 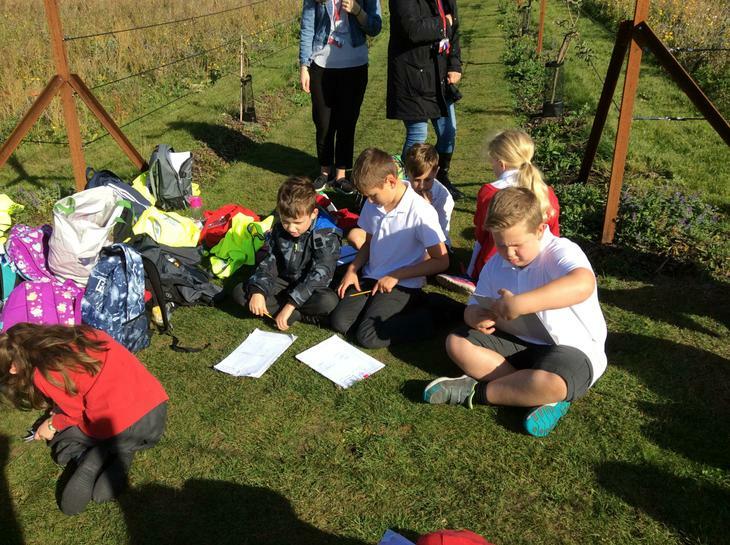 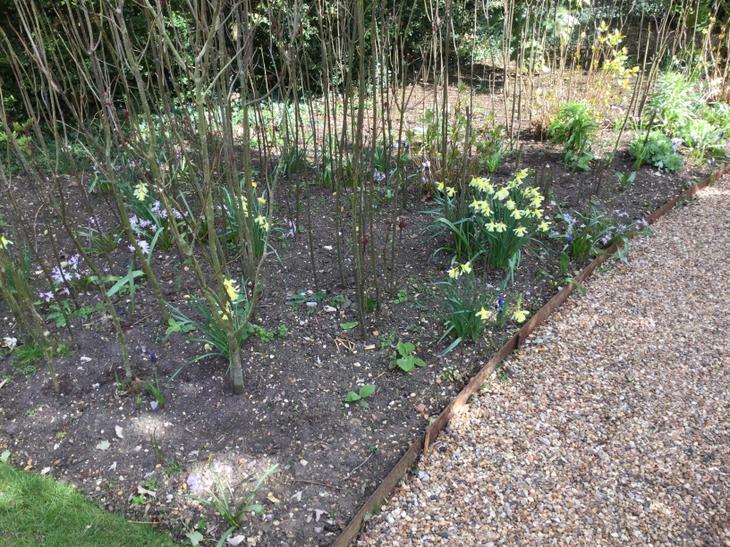 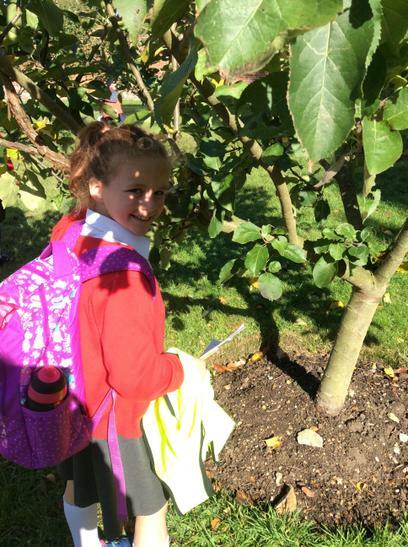 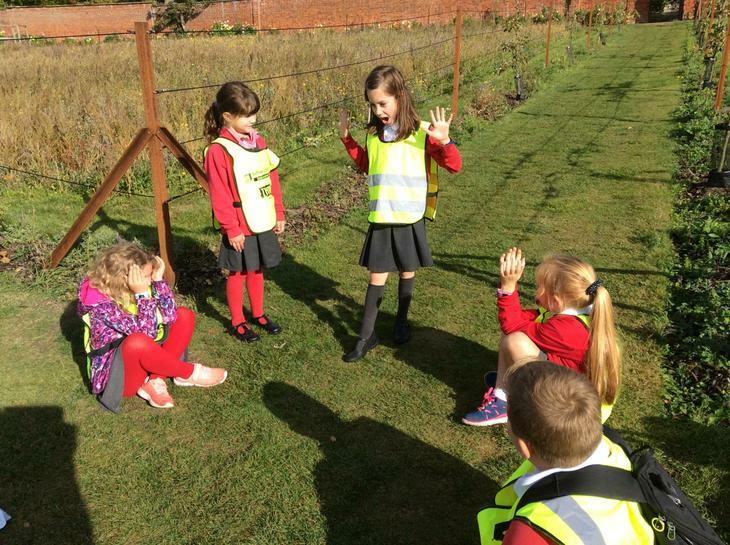 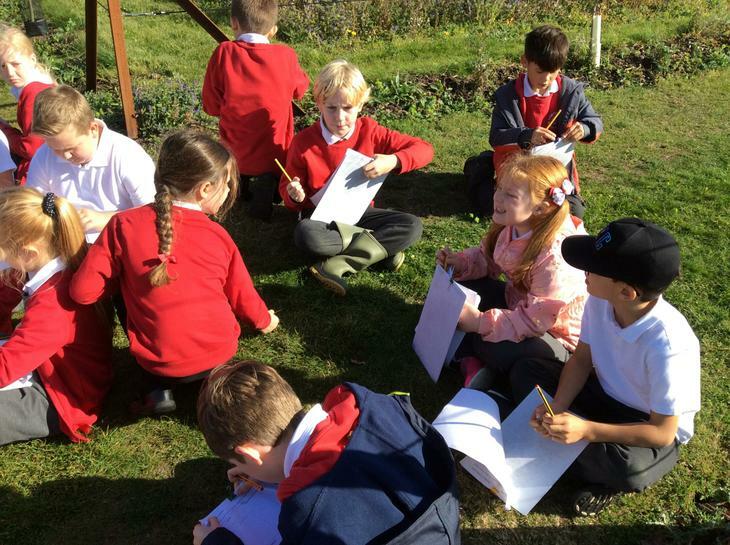 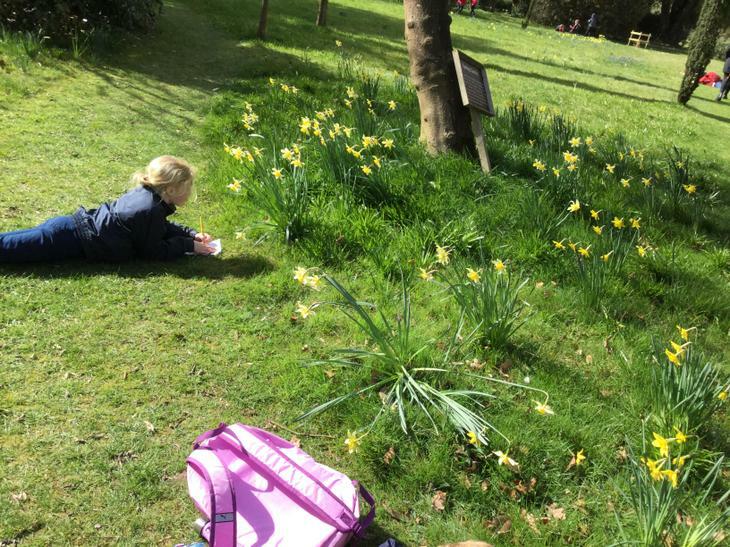 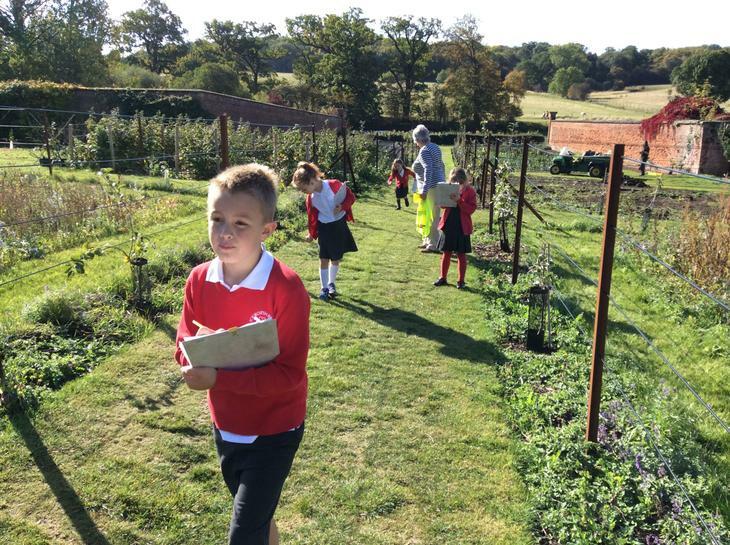 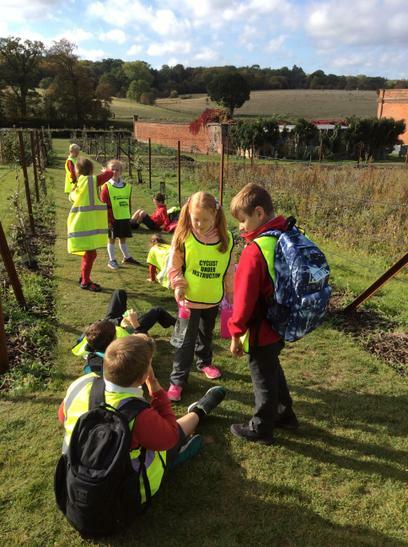 After that, we explored the garden and recorded things that we could see which would help our creative writing when we returned to school. 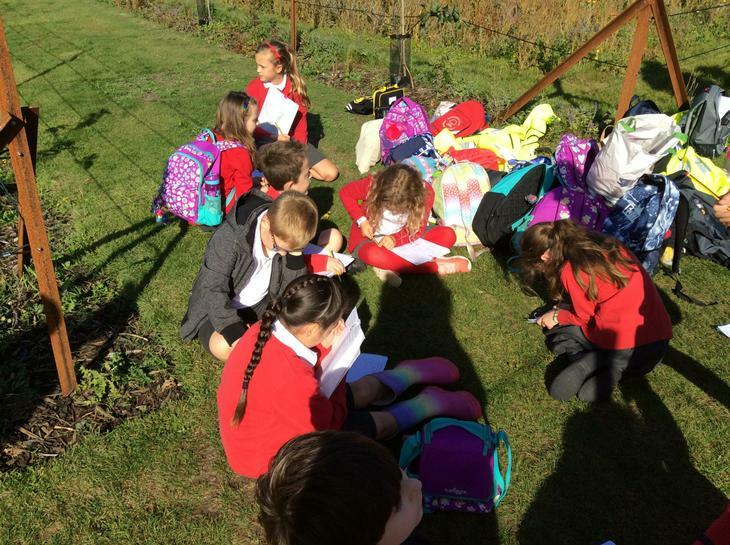 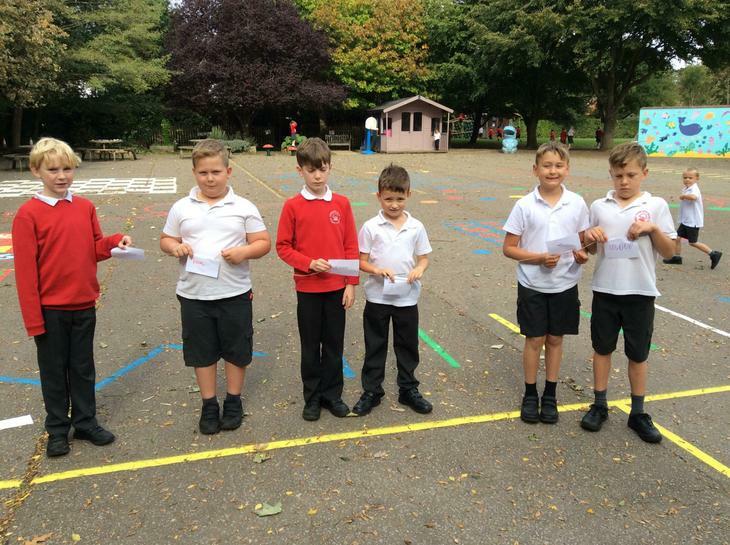 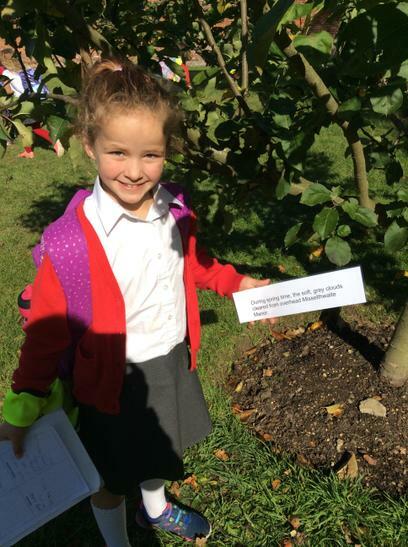 Just before lunch, we went on a treasure hunt to find hidden parts of a story text which described the setting of the garden. 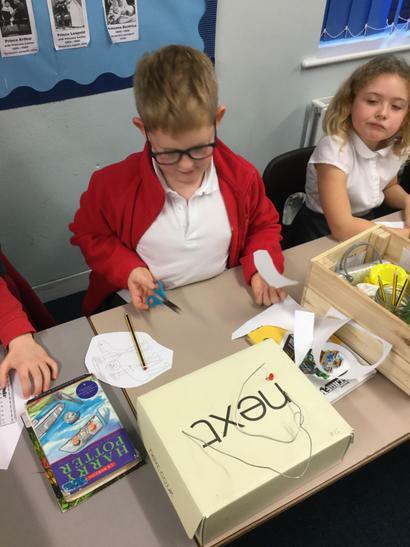 Once we found all the missing pieces, we put it back together and performed the text, using the actions we had learnt at school earlier that week. 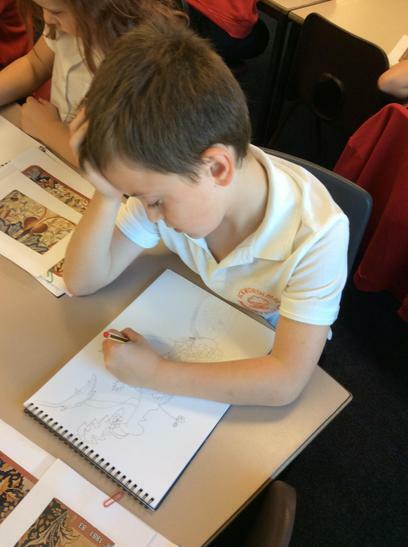 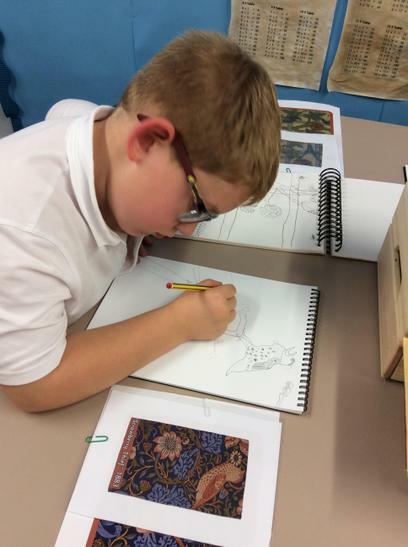 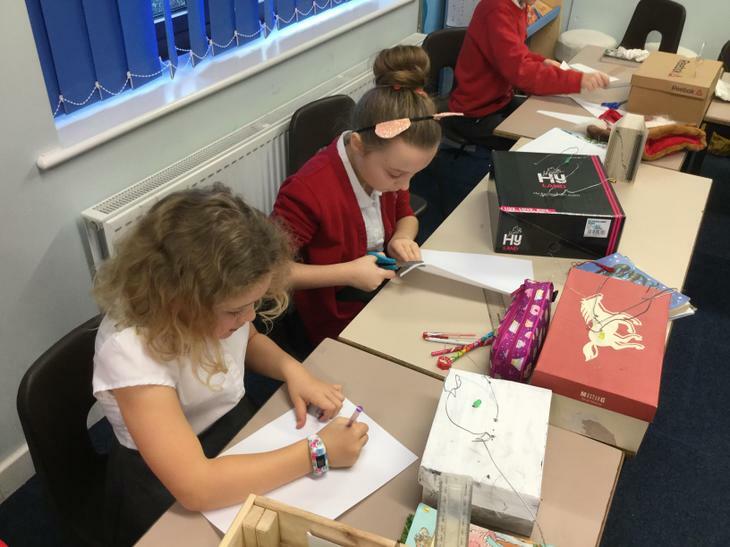 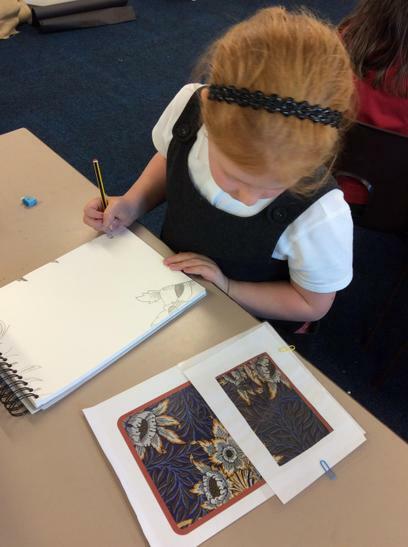 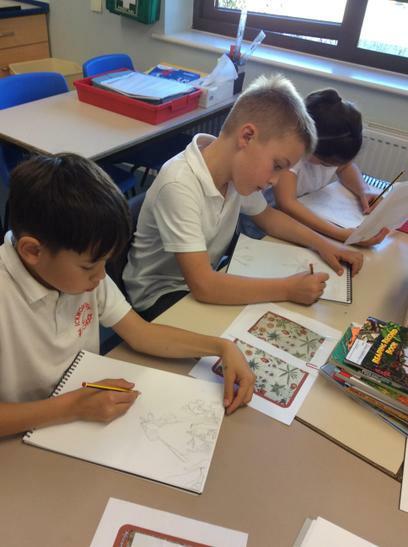 In Art, we have been studying the artist William Morris whose work was very popular during the Victorian era. 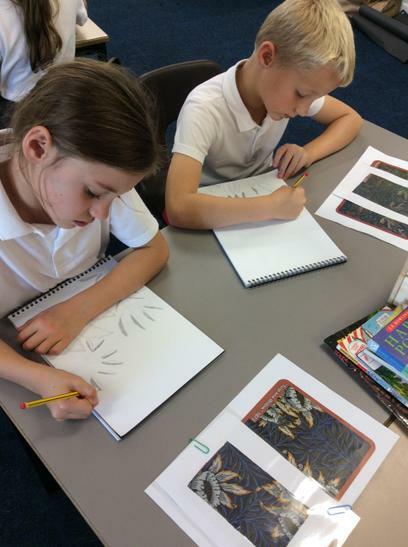 We had a go at using a viewfinder and sketching some of his designs. 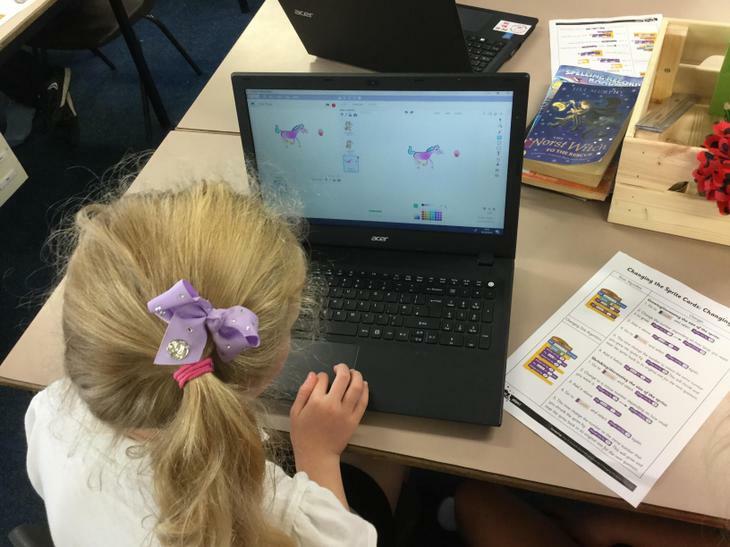 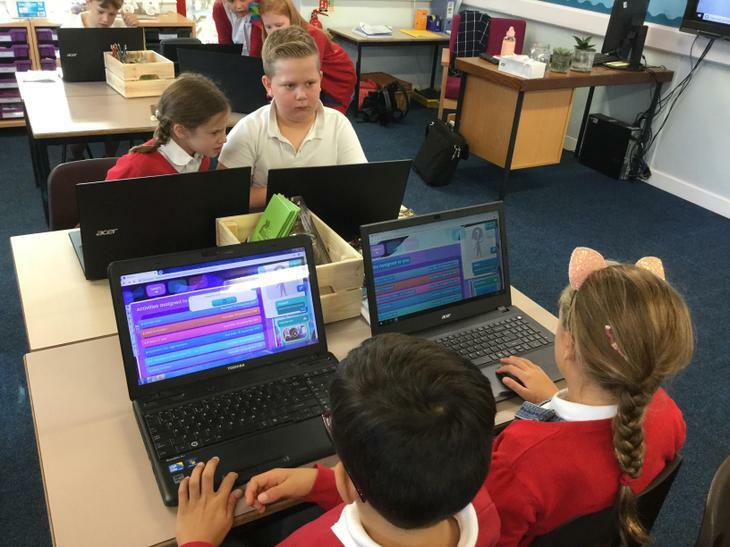 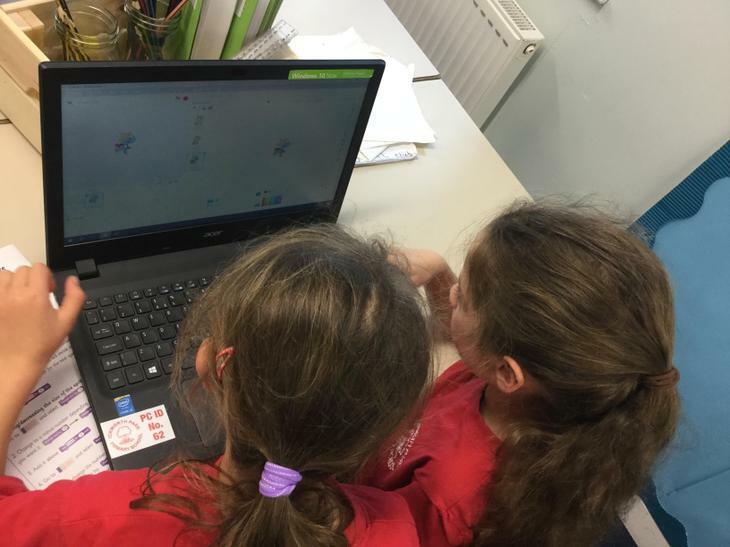 The children have been learning how to create their own question and quiz game using algorithms on Scratch 2. 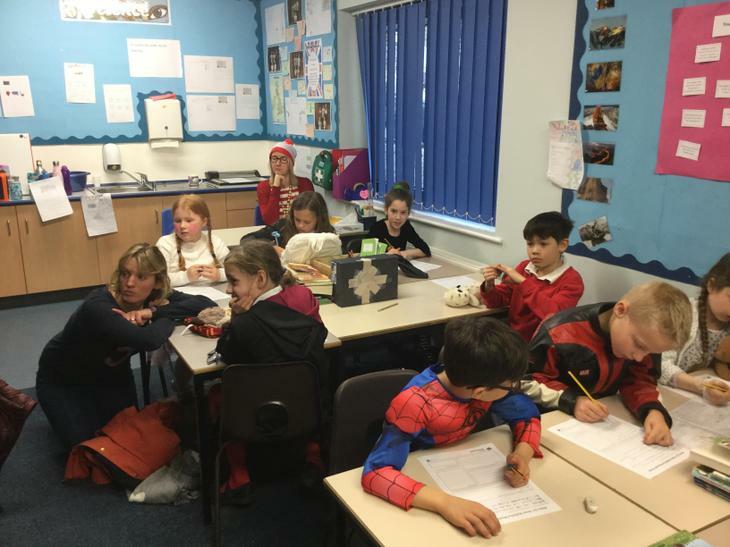 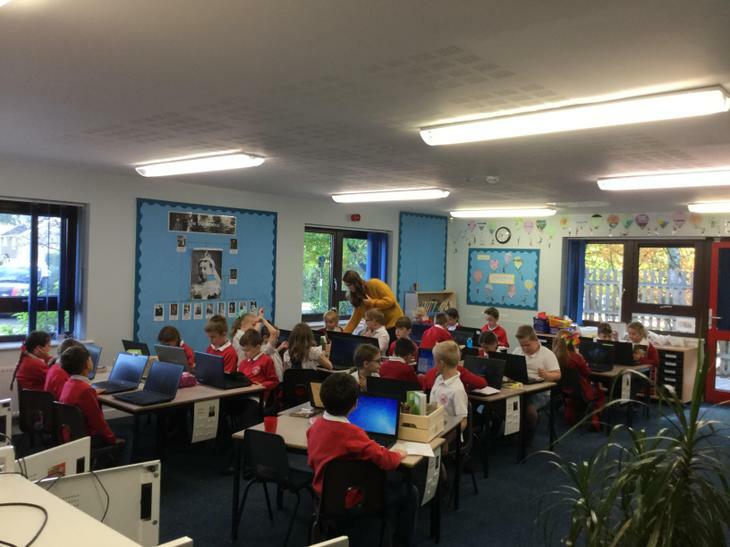 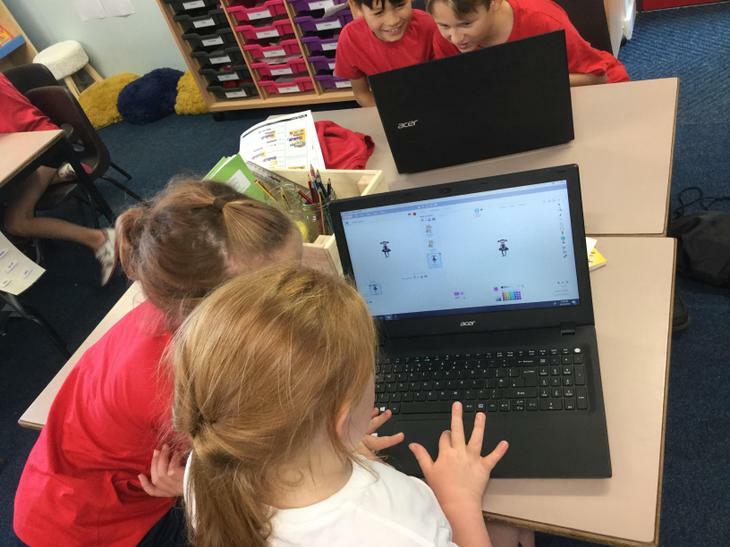 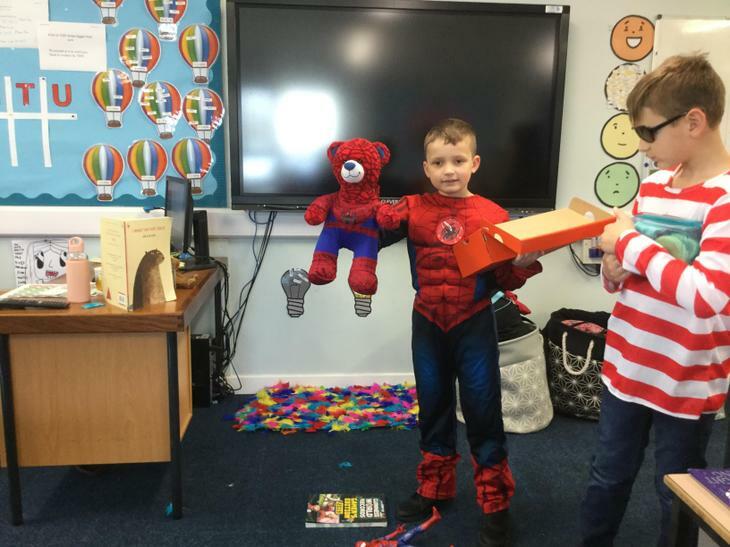 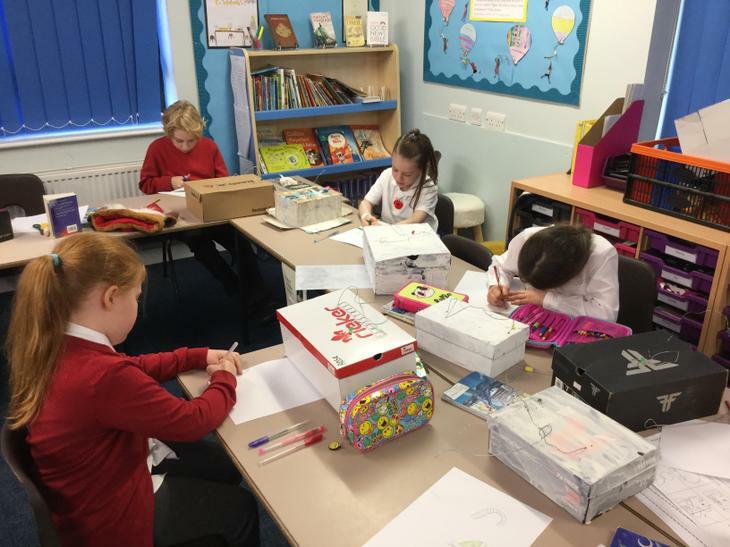 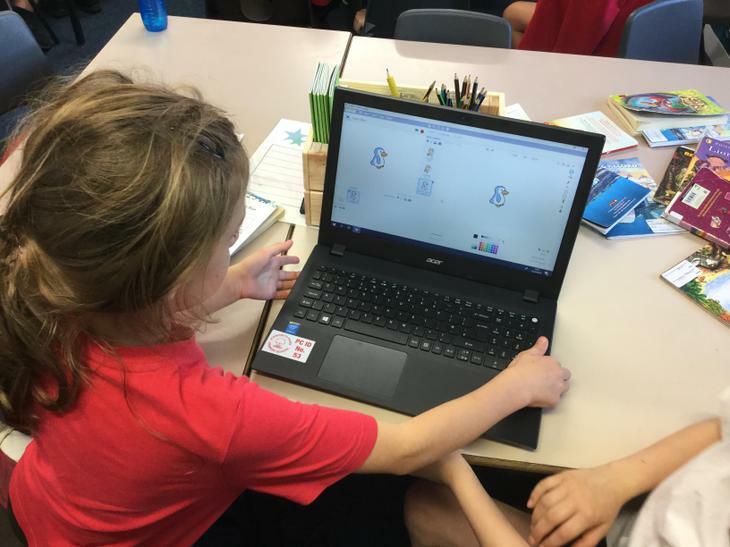 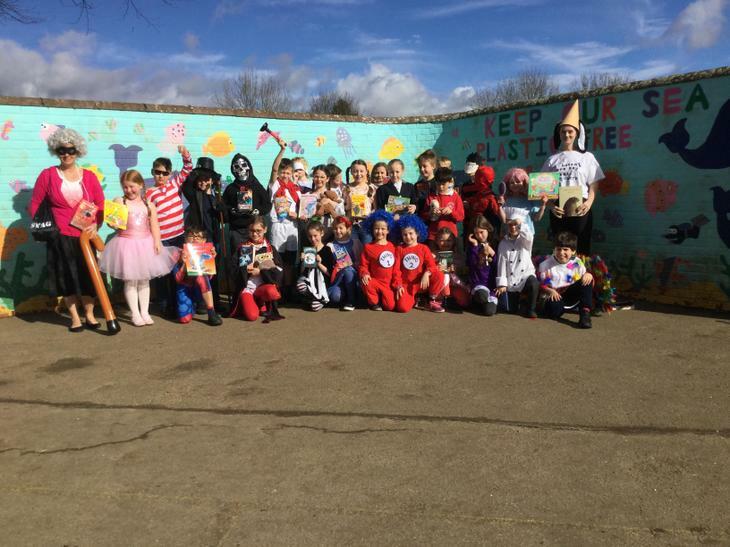 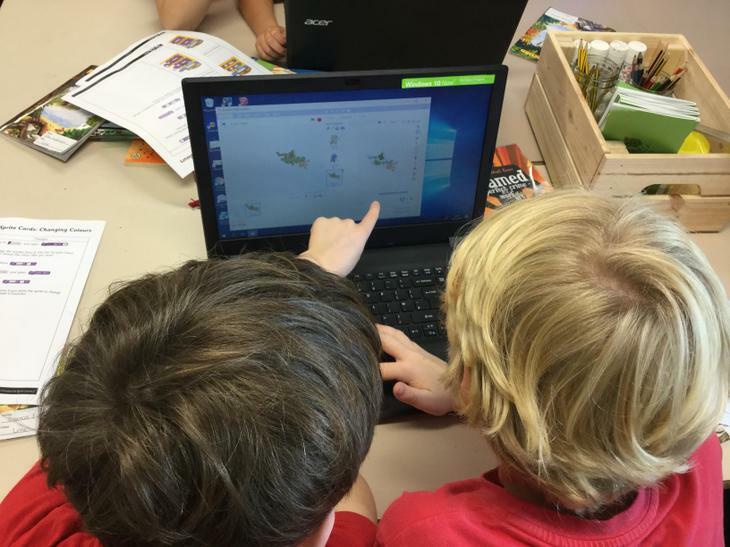 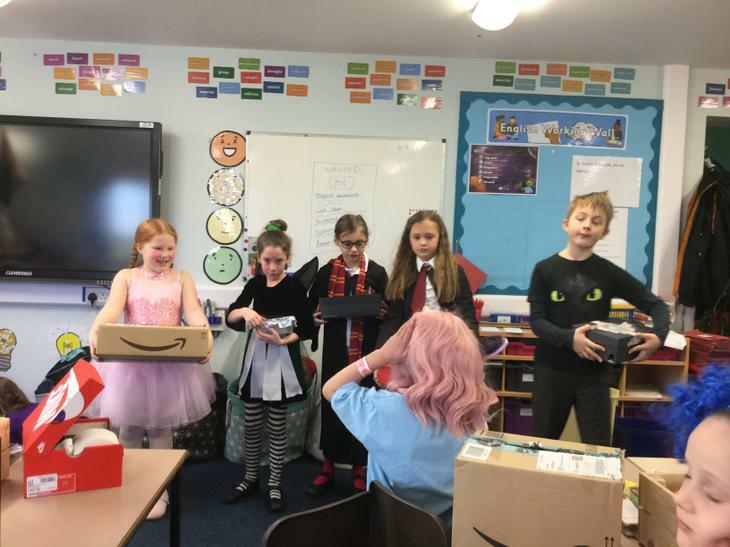 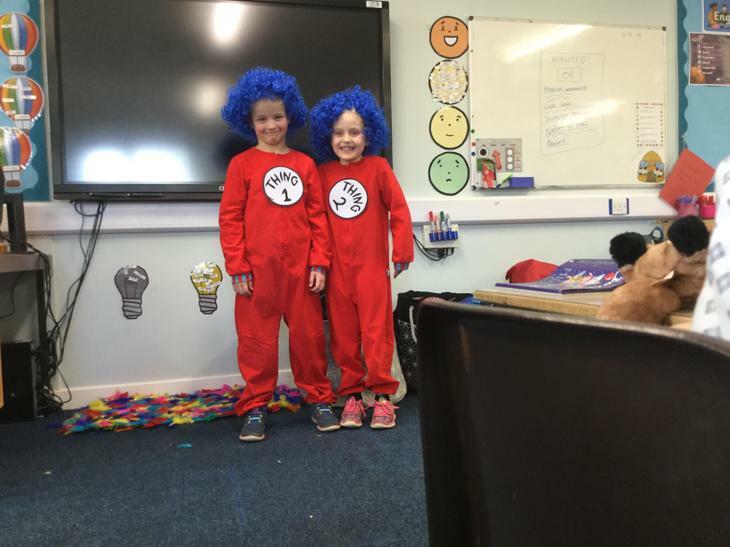 During this lesson, the children began to edit their Sprite characters using effects, costume and size commands and blocks. 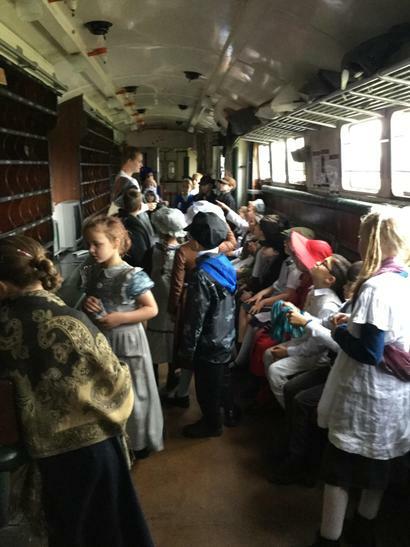 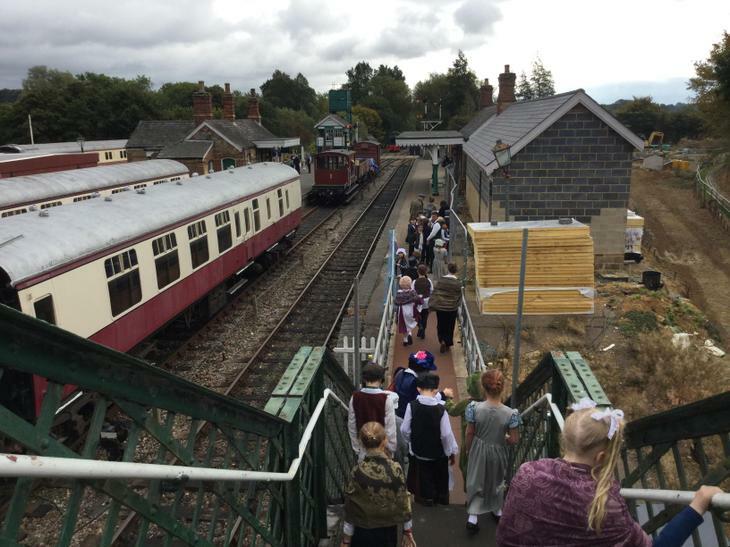 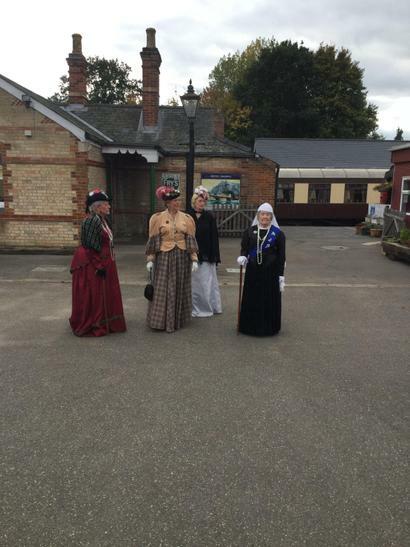 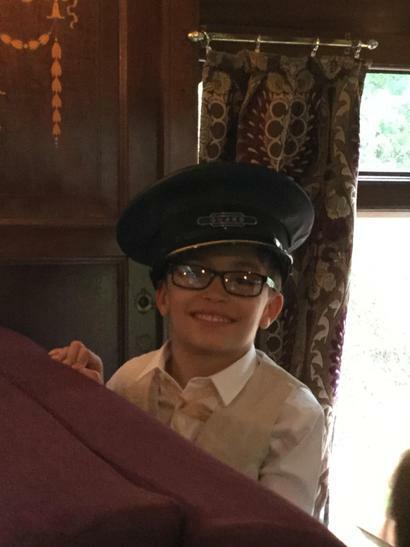 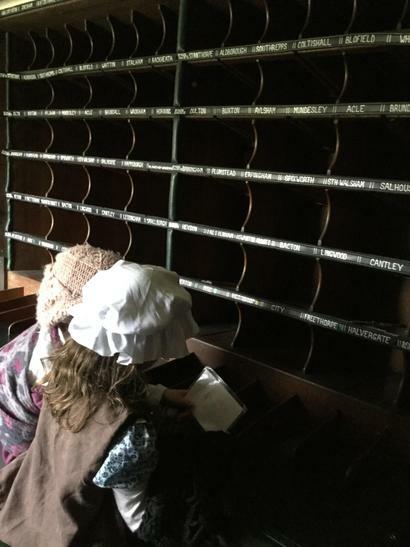 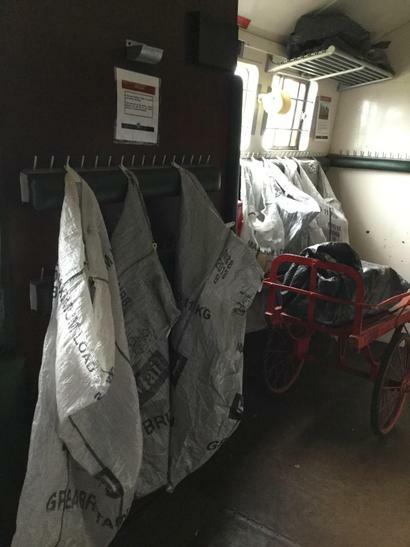 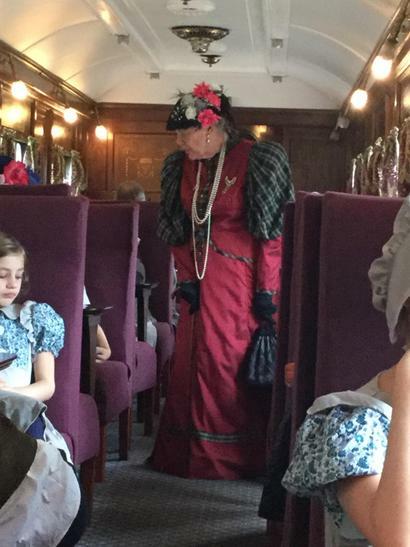 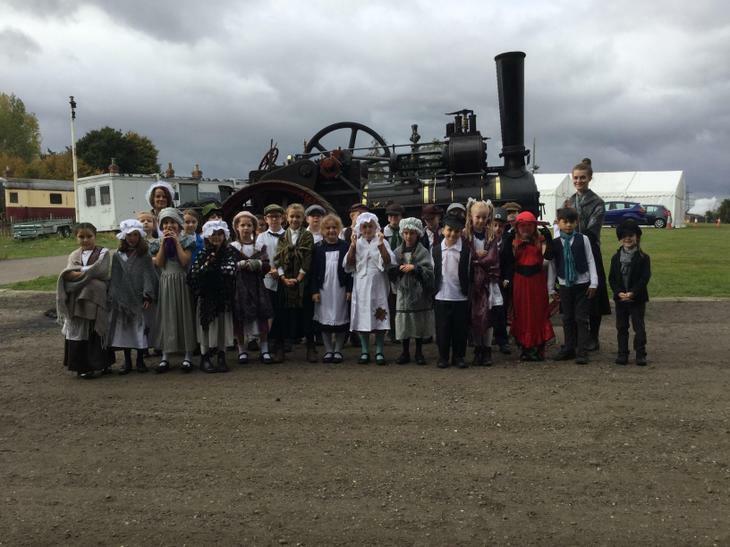 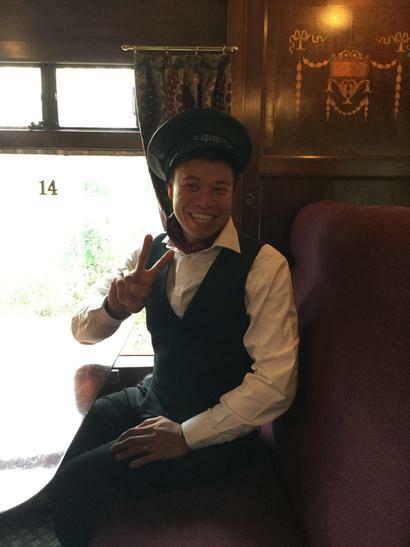 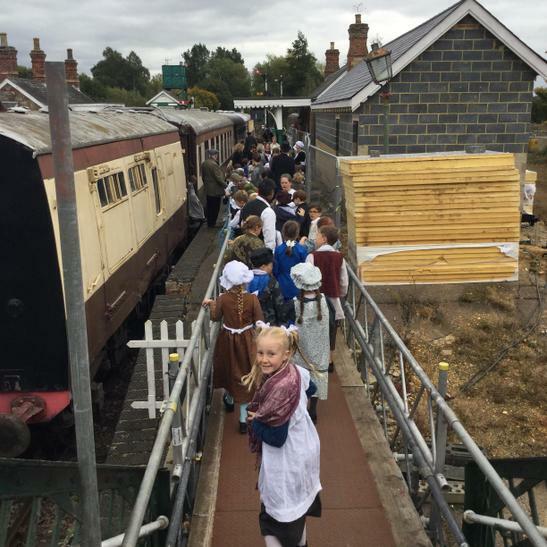 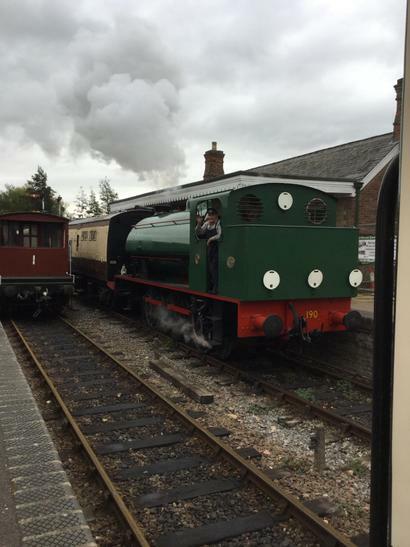 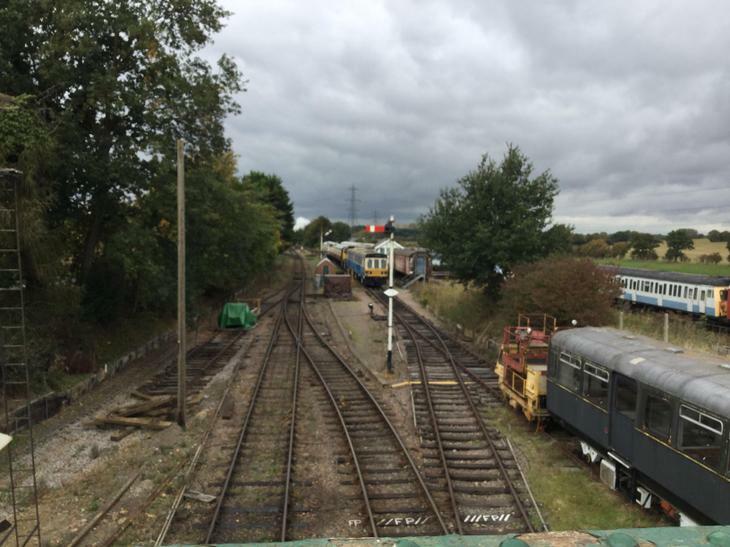 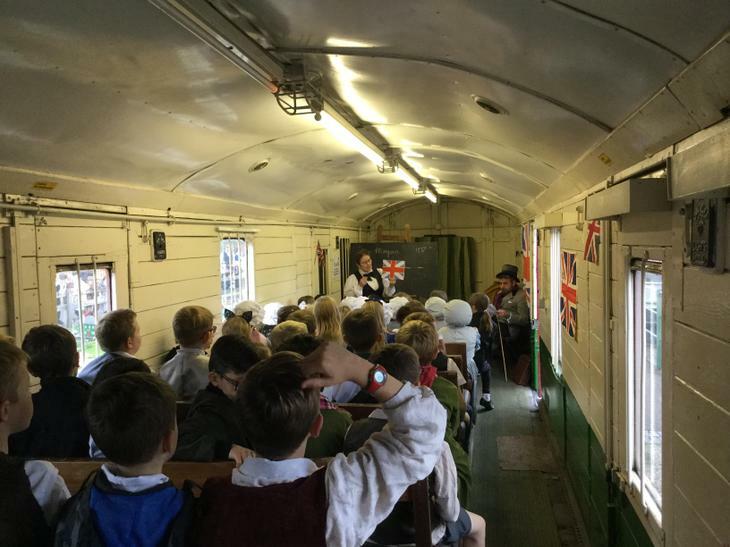 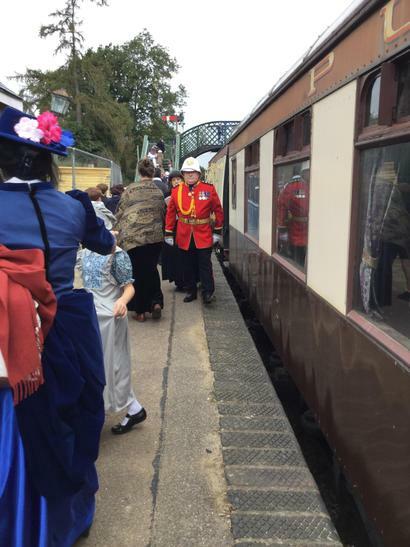 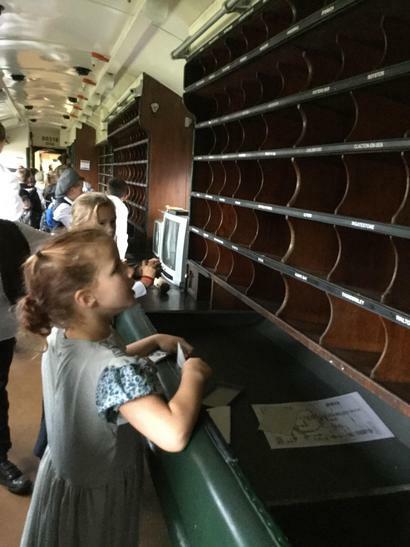 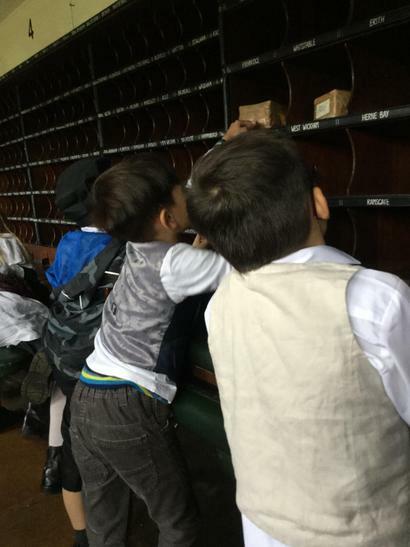 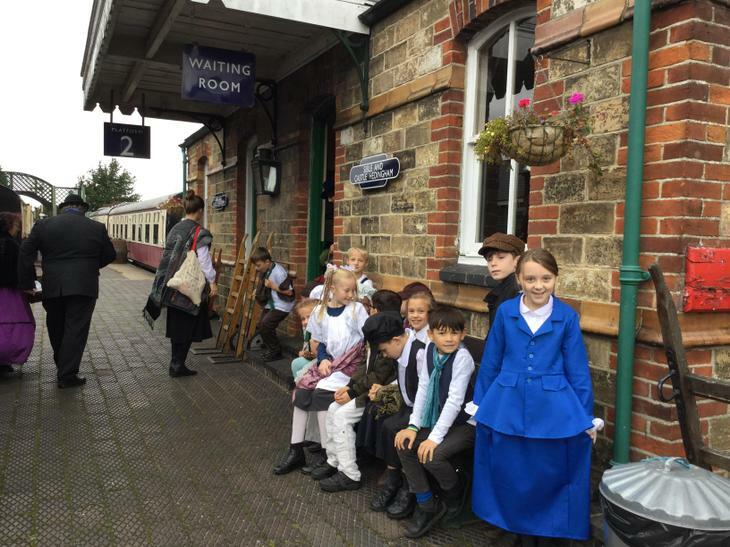 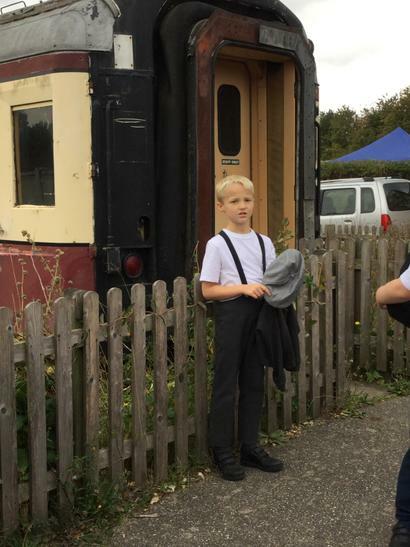 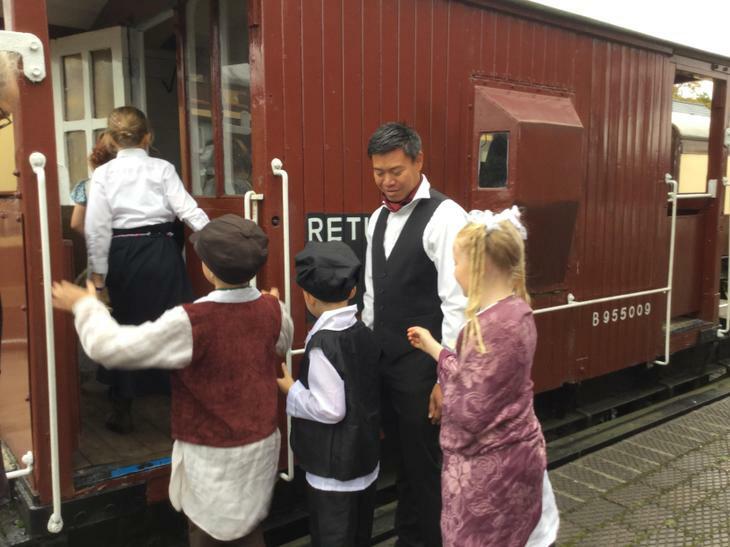 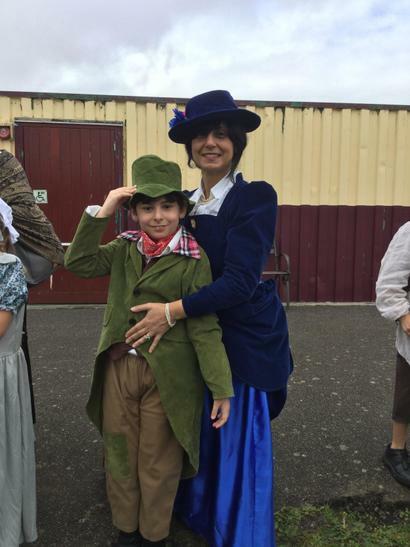 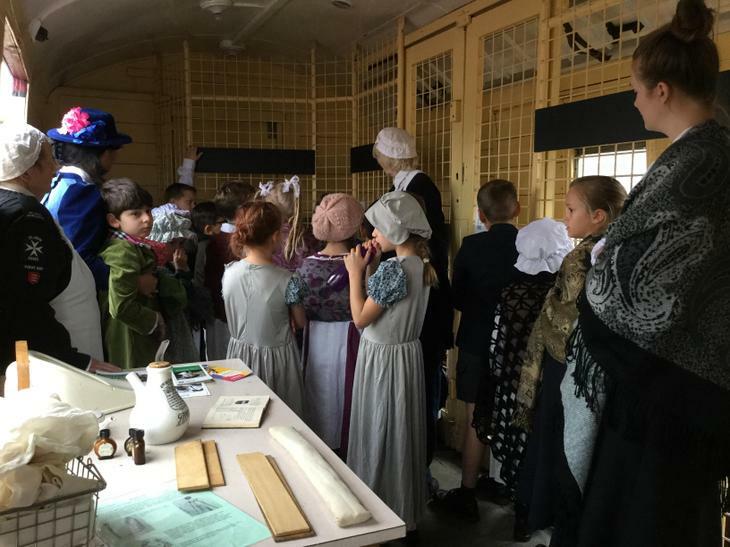 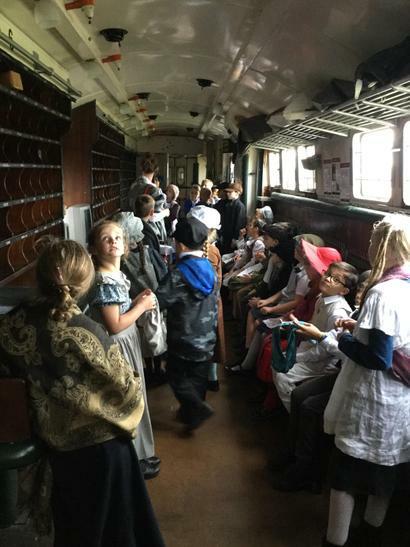 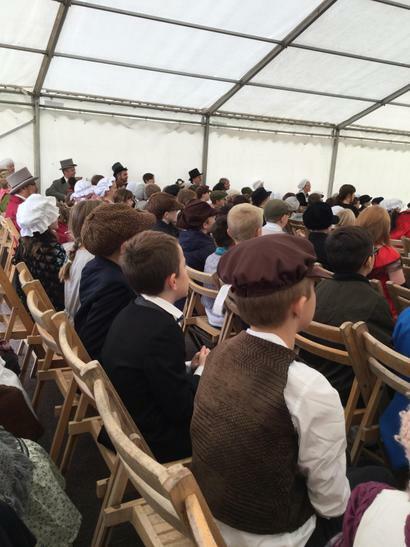 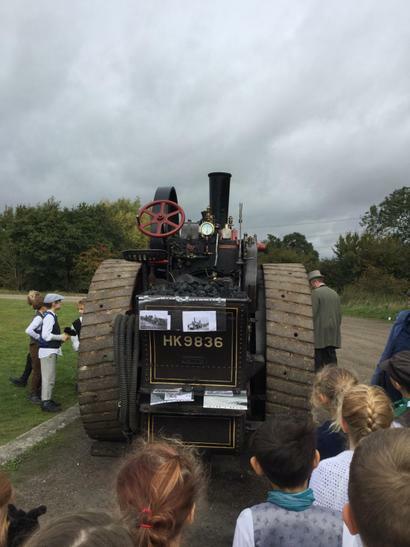 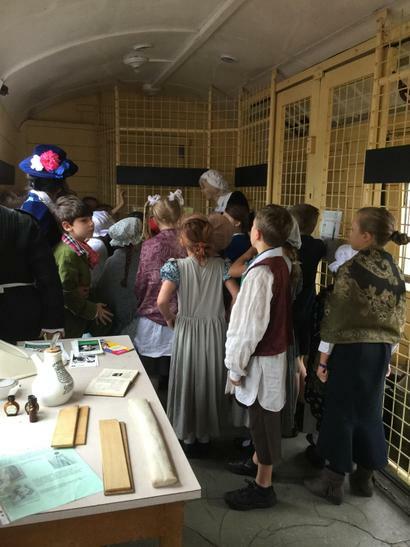 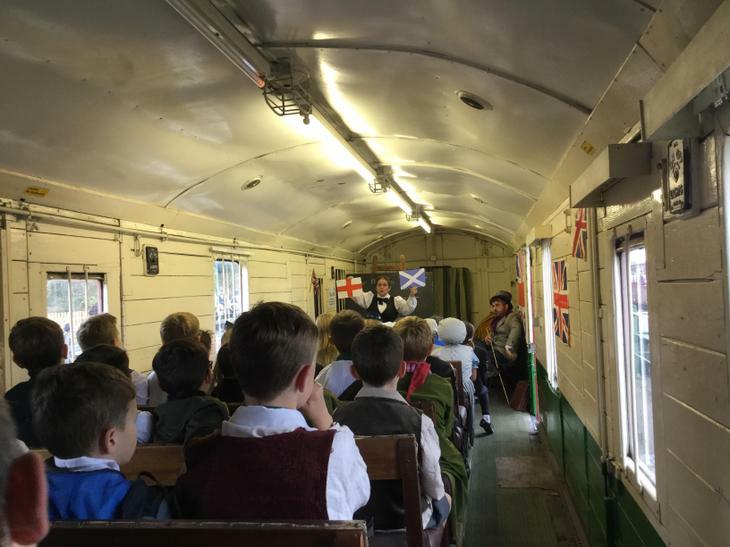 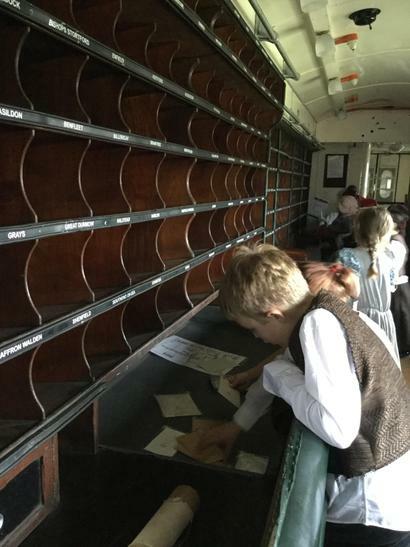 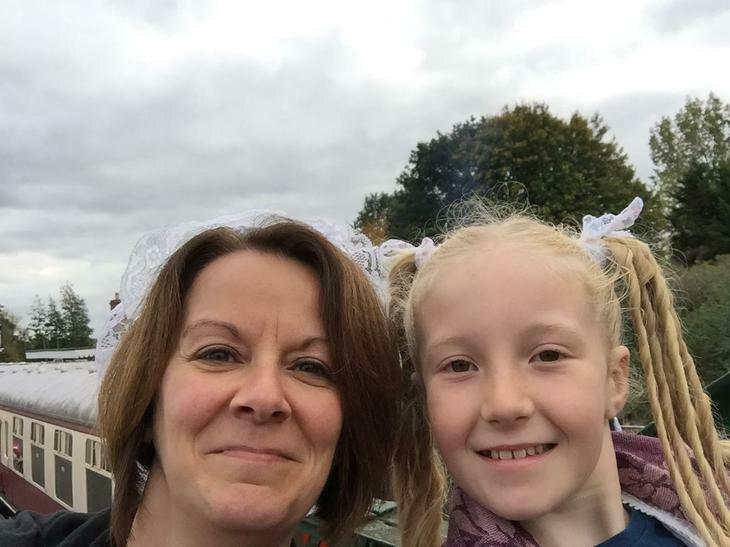 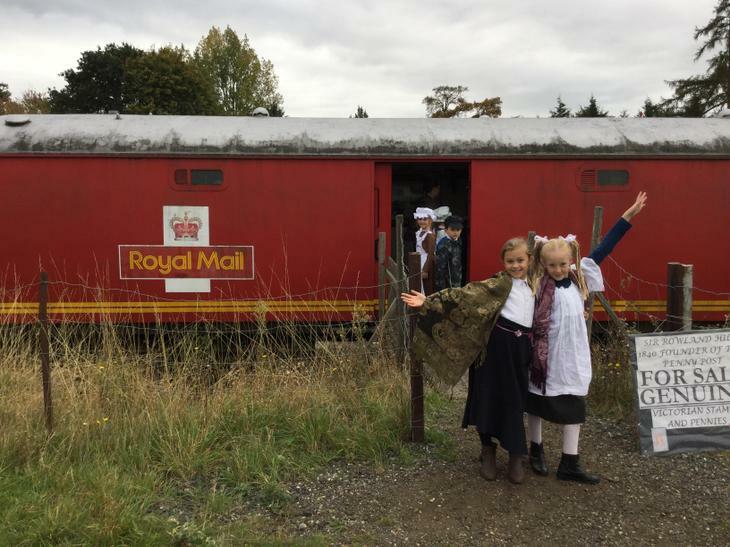 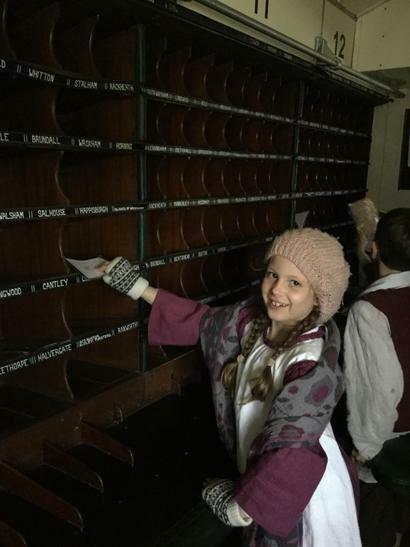 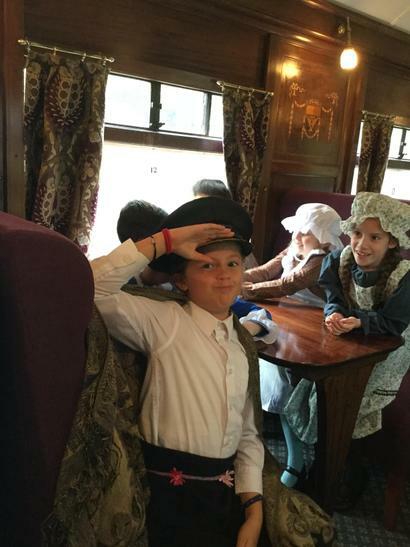 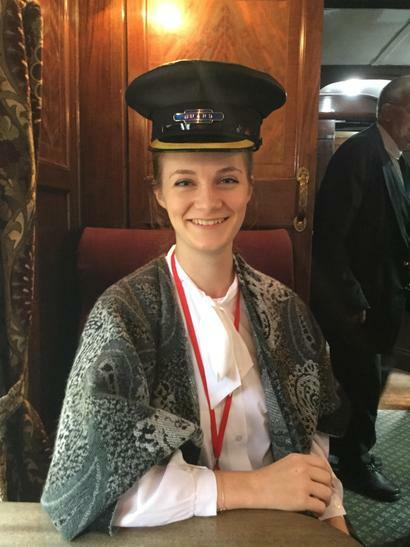 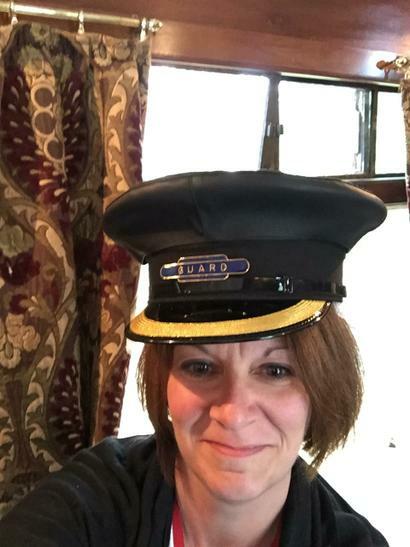 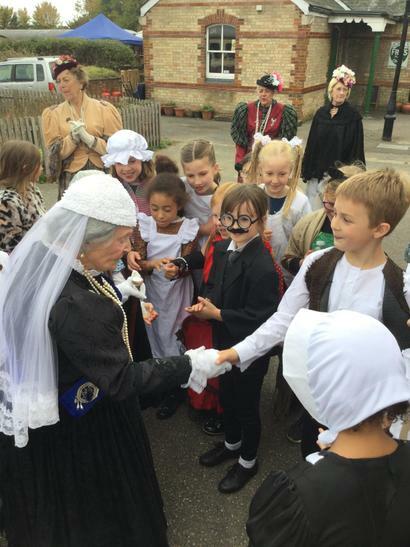 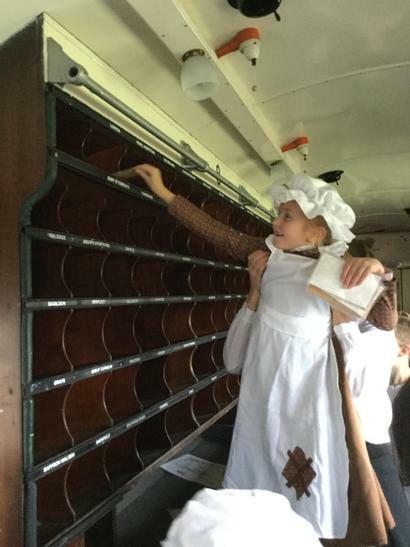 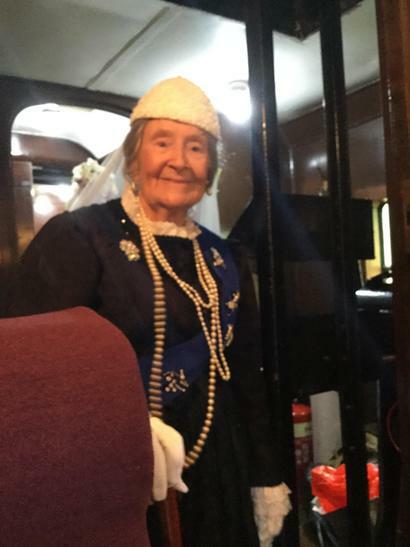 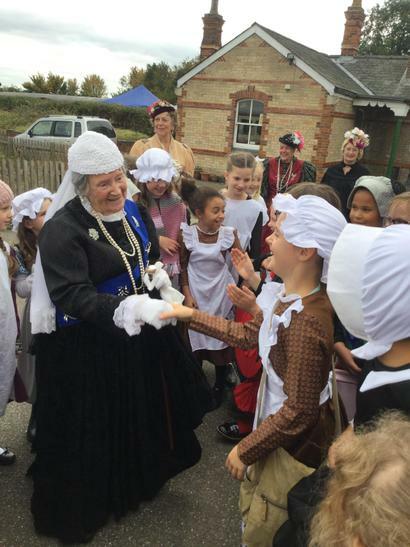 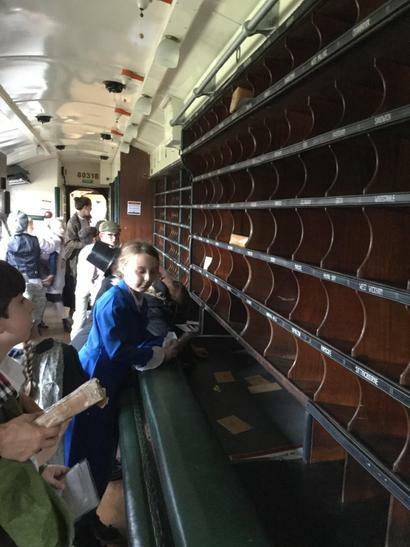 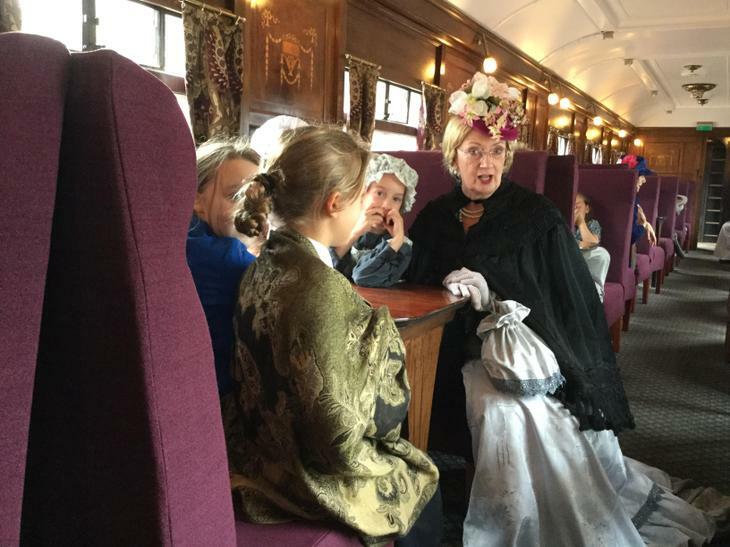 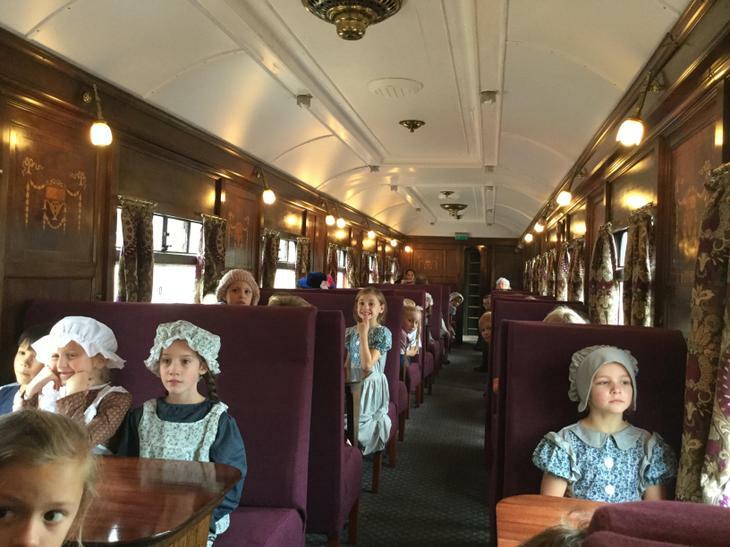 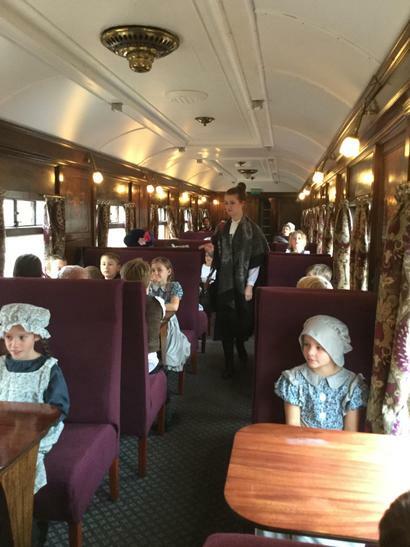 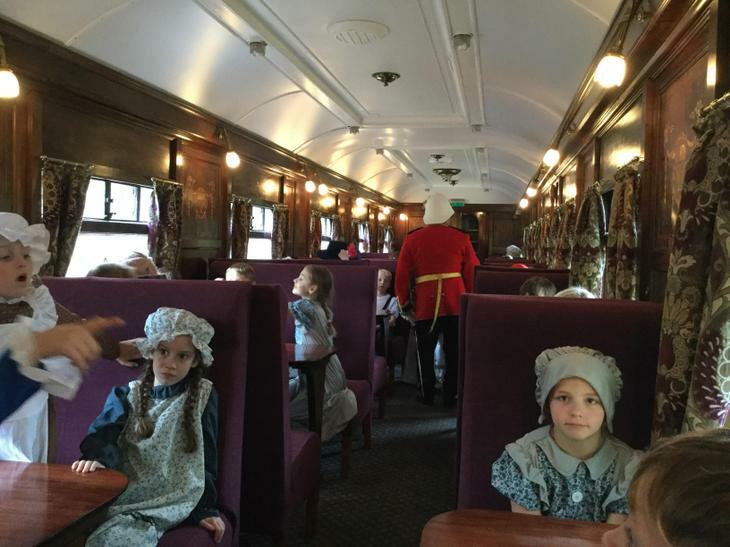 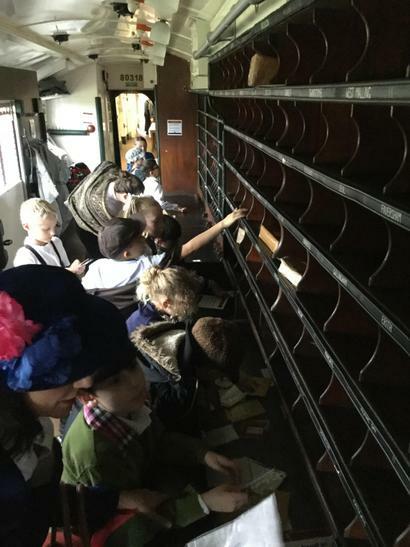 We went on a school trip to Colne Valley Railway as Victorians! 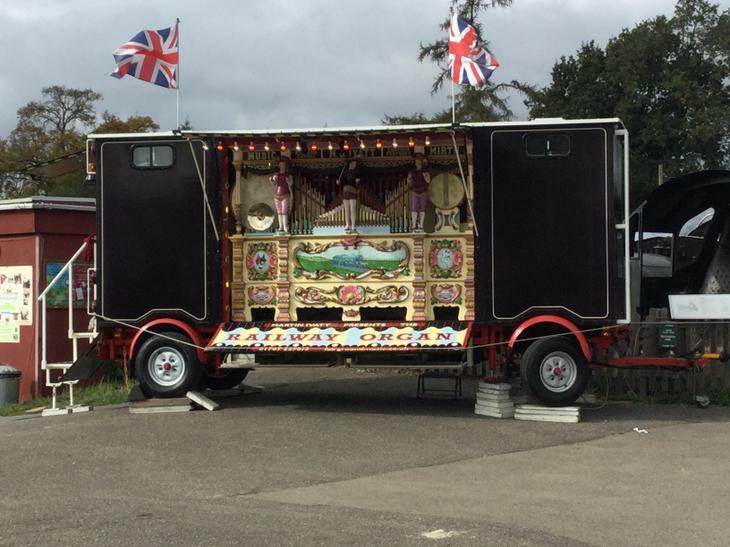 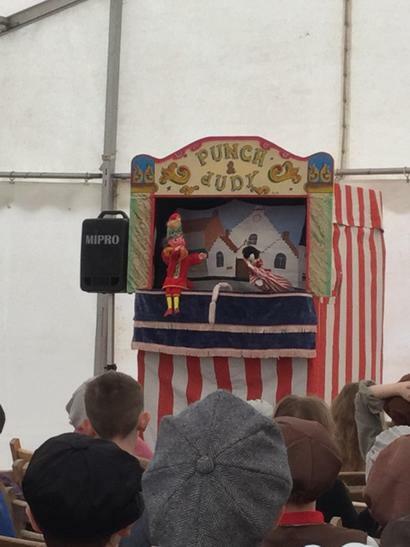 We watched a Punch and Judy show which was very funny! 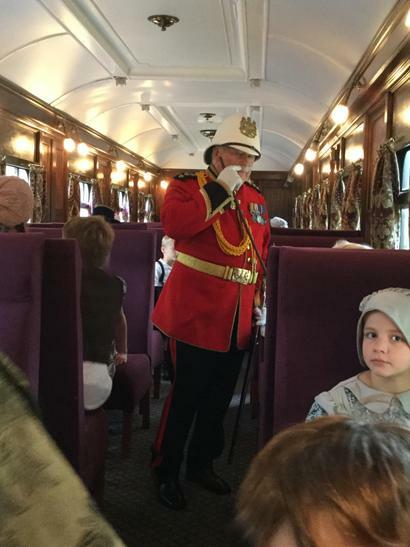 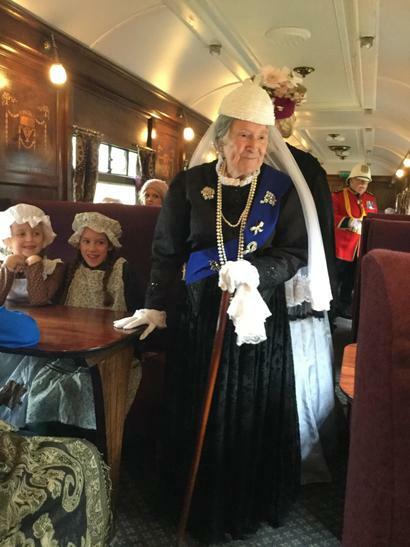 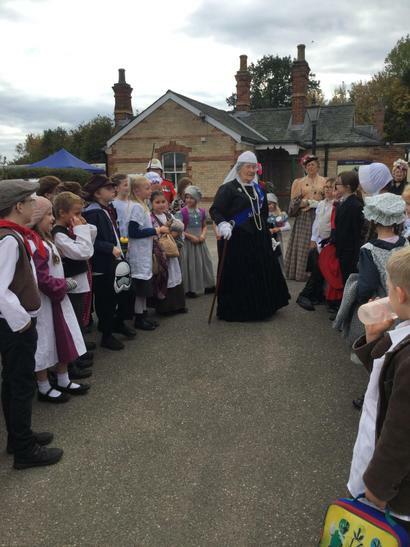 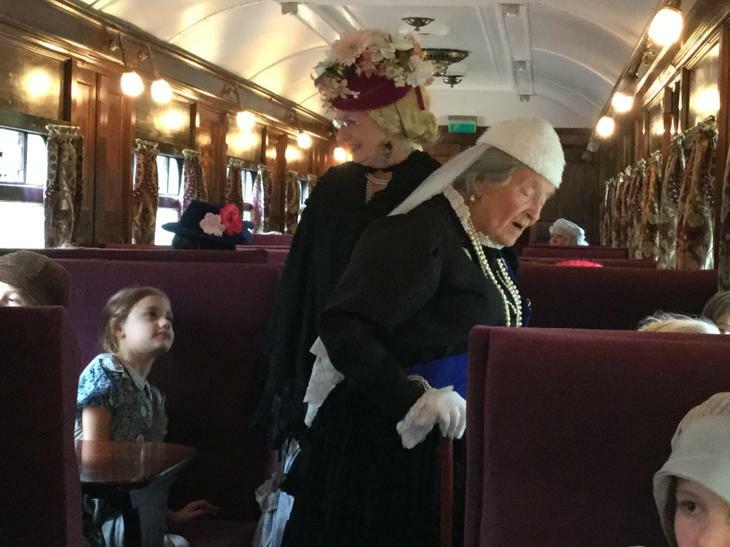 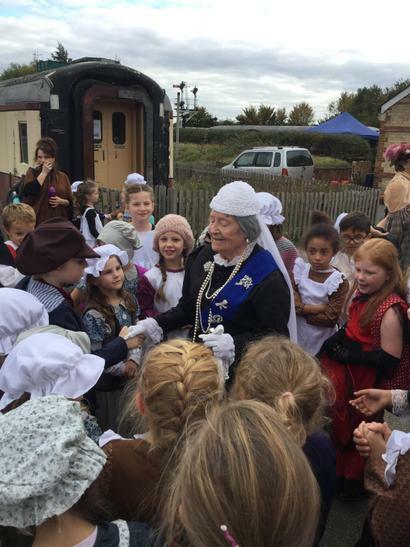 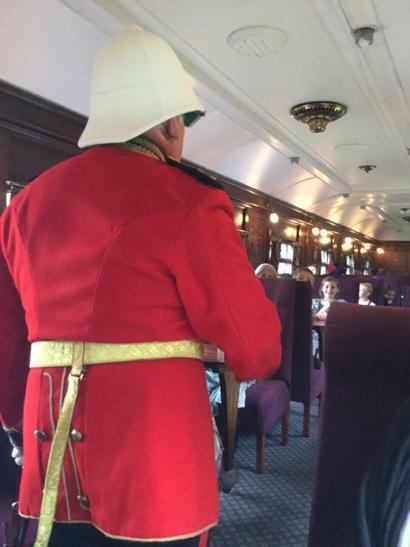 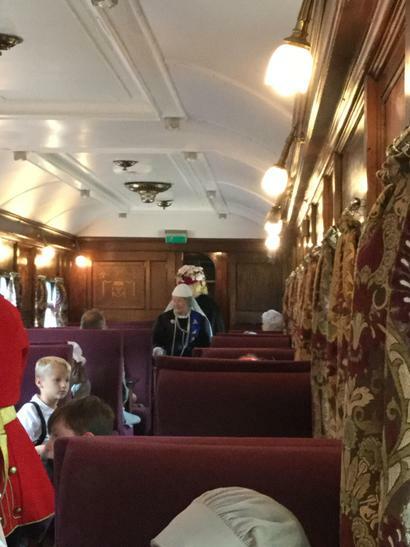 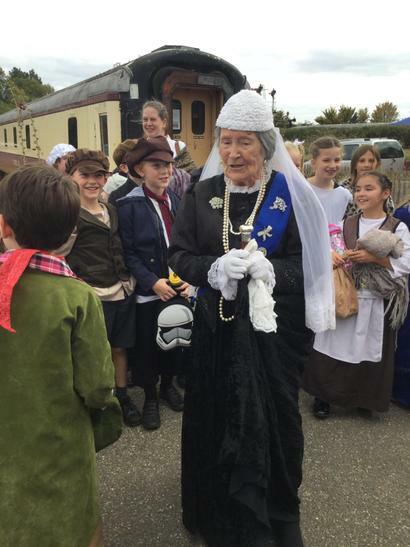 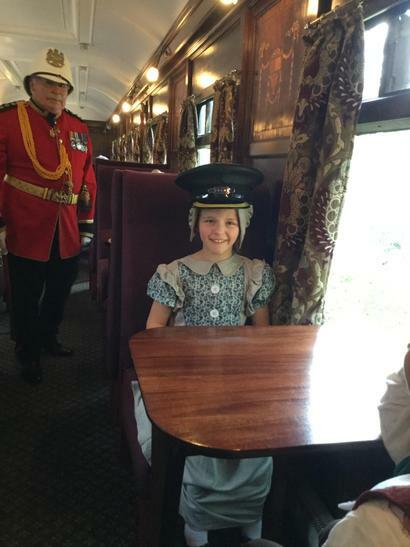 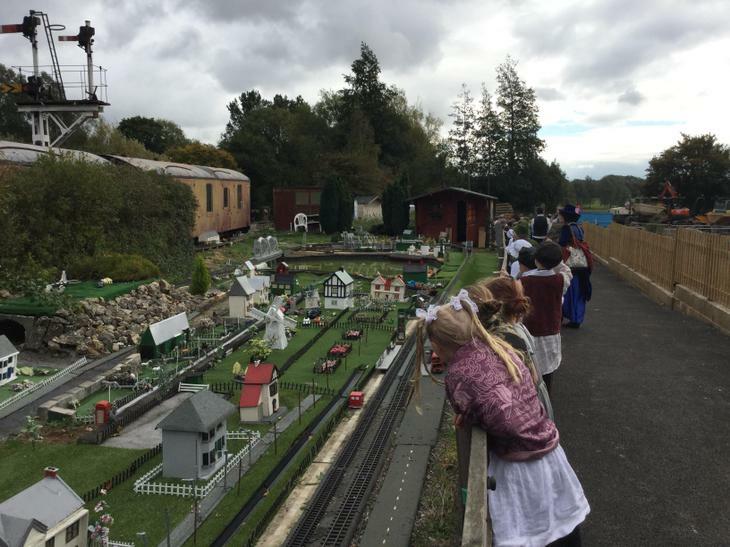 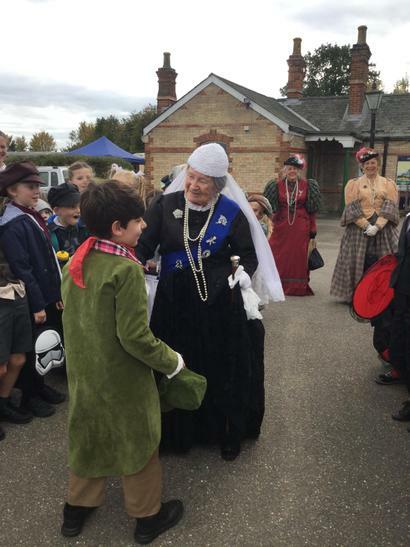 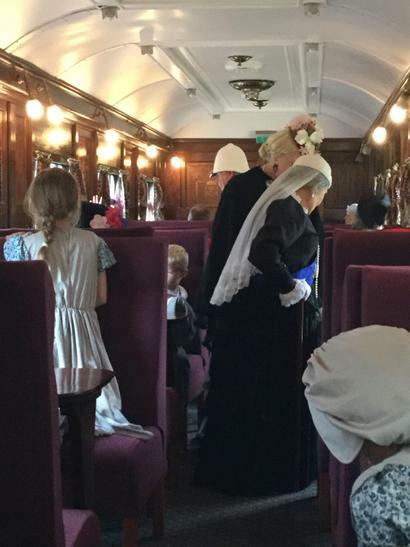 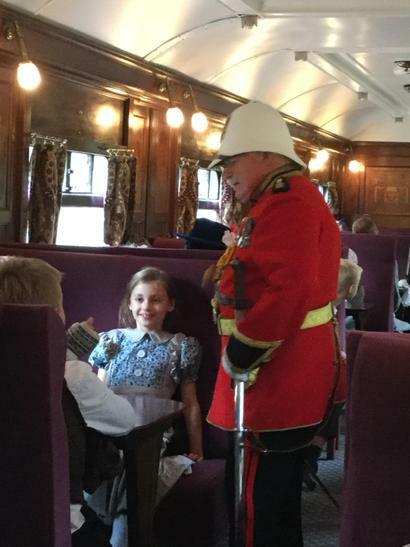 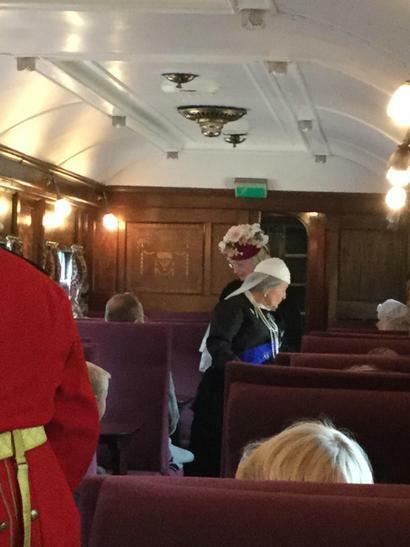 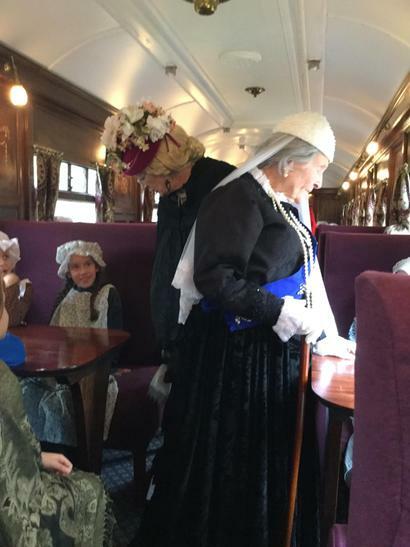 We learnt lots about how the Victorians created the railway system in England and even got to ride on a train where we met Queen Victoria! 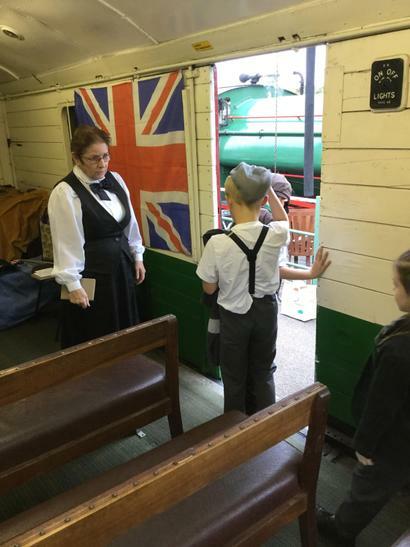 We also had a lesson from a Victorian teacher who was very strict! 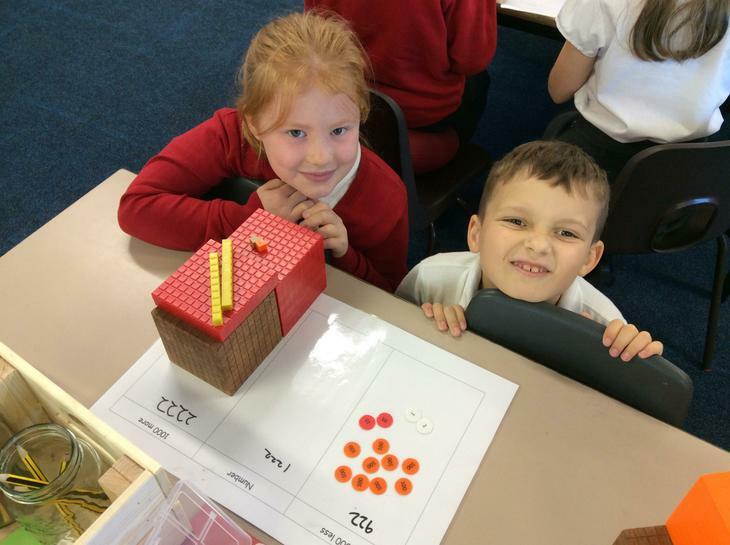 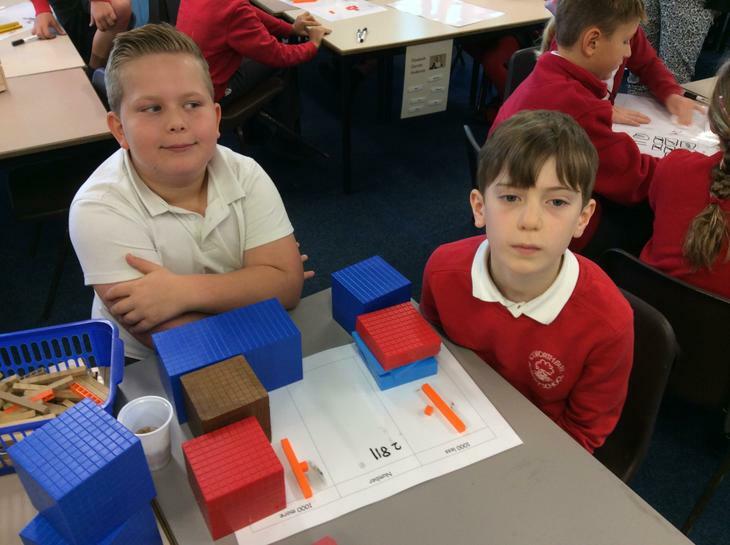 We have been learning all about place value in Maths. 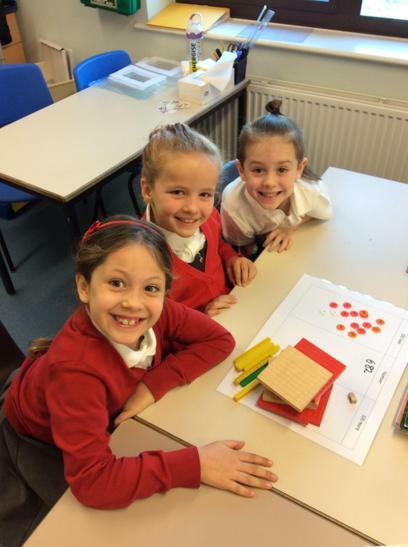 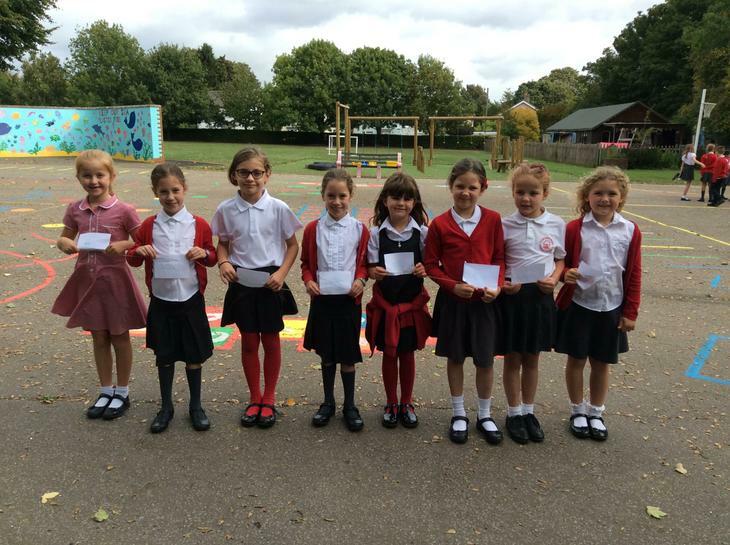 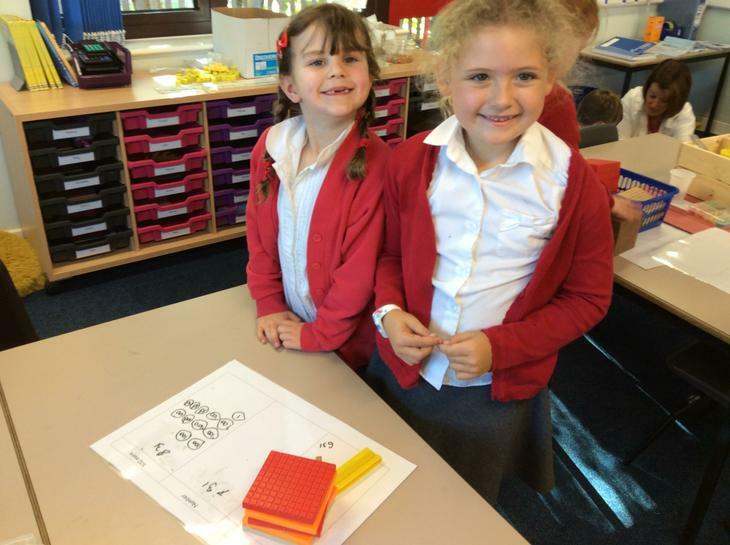 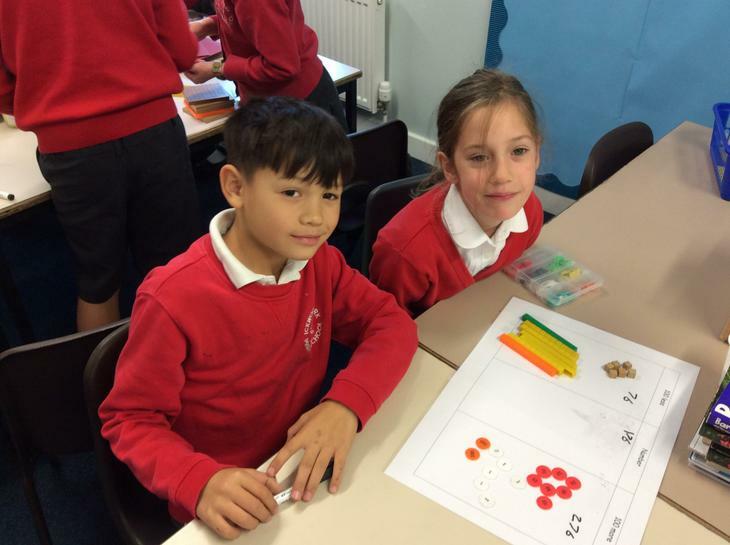 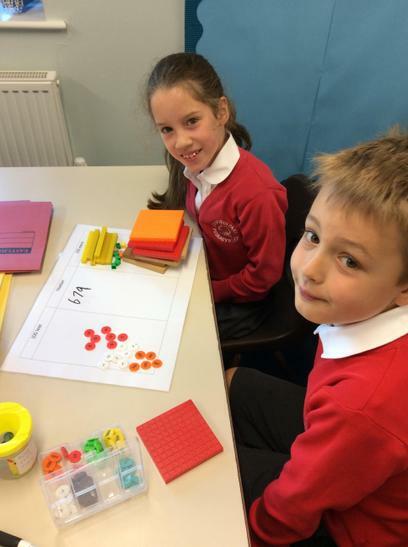 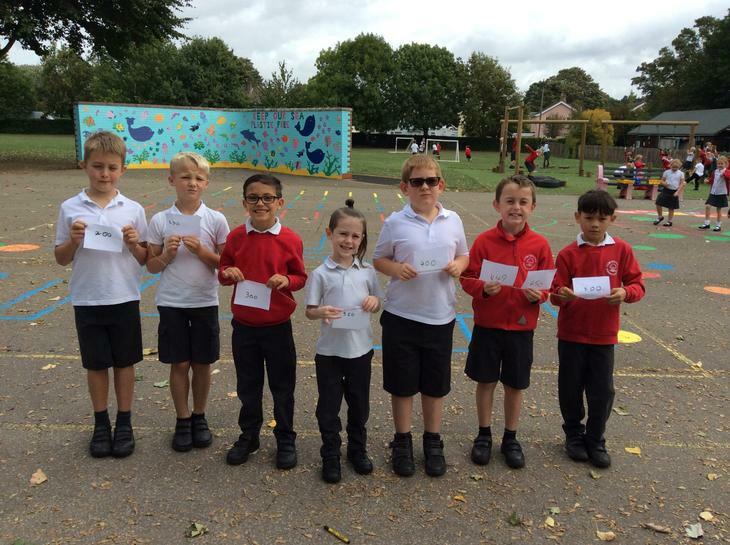 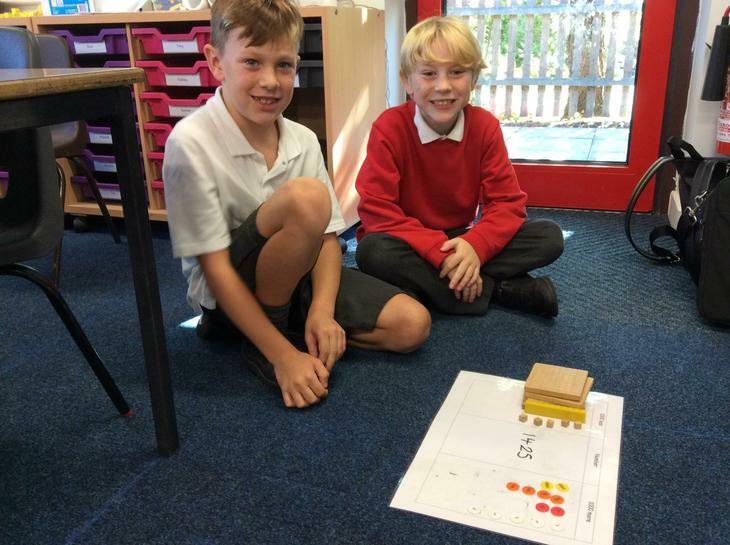 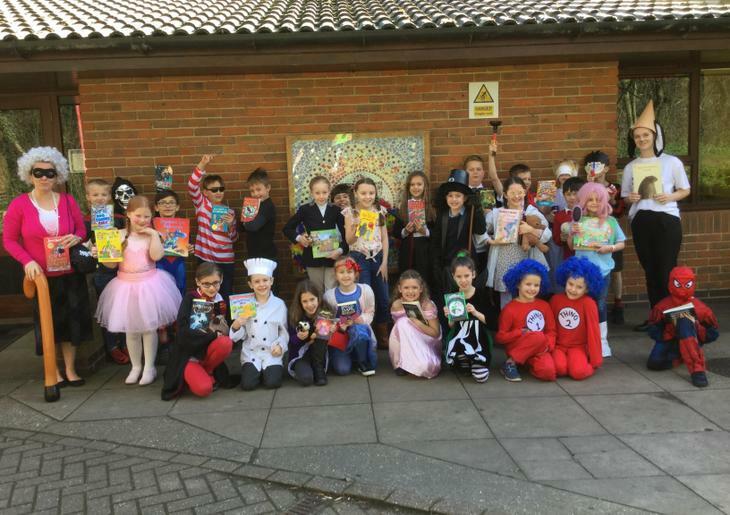 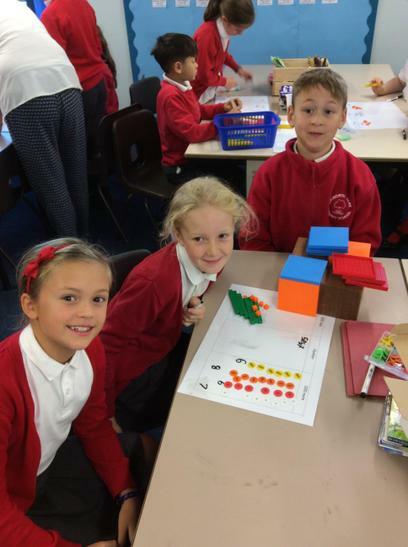 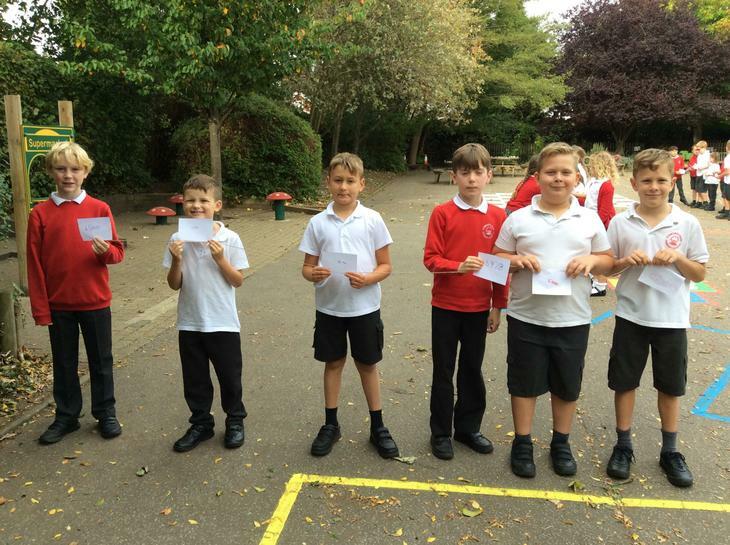 Year 3 have been learning about numbers to 1000 and Year 4 have been learning about numbers to 10,000! 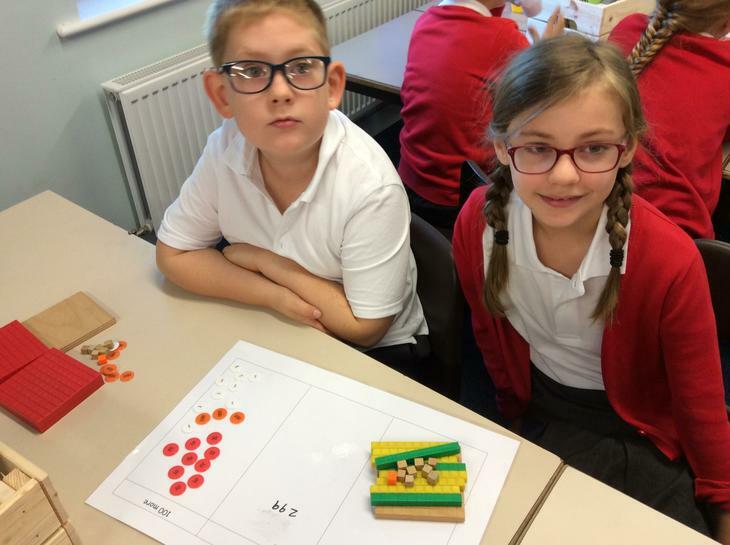 We have been making physical numbers to order numbers and using a range of concrete resources to understand the value of different numbers. 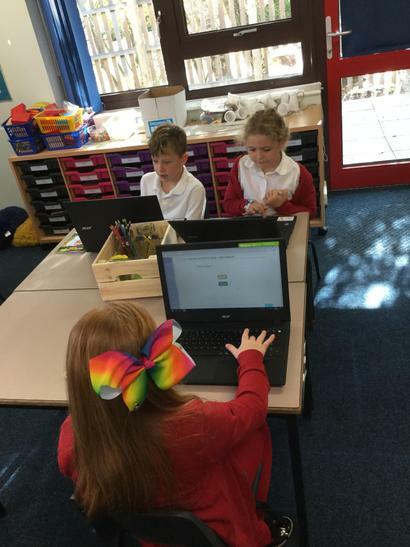 We have been practicing our place value skills on Mathletics. 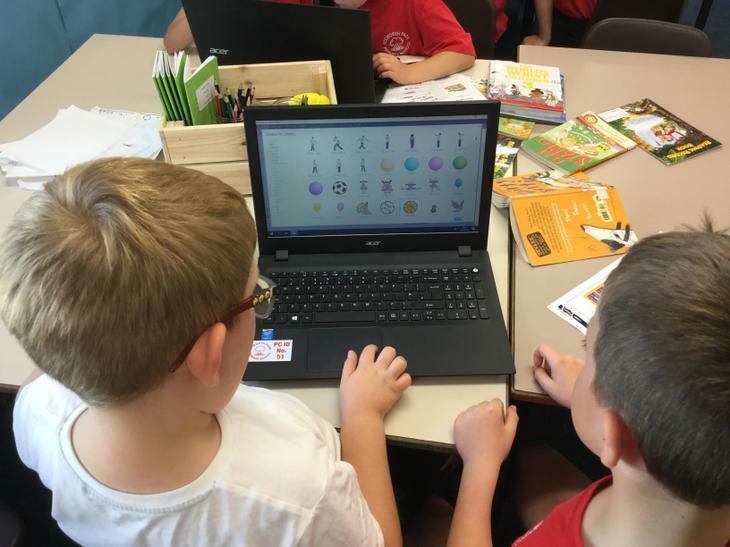 This has also helped us to develop our computing skills as we have logged onto the laptops and opened the webpage independently! 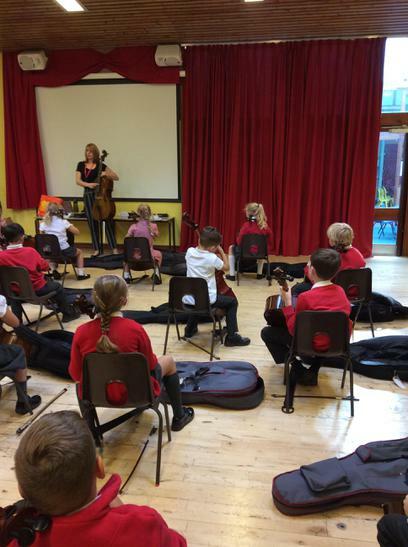 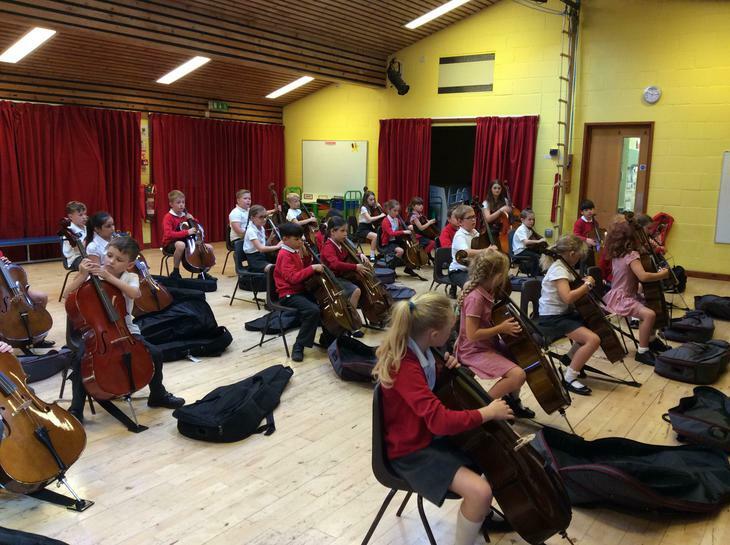 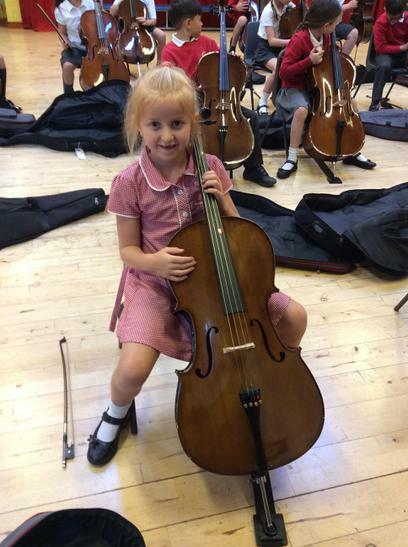 Today we had our very first cello lesson! 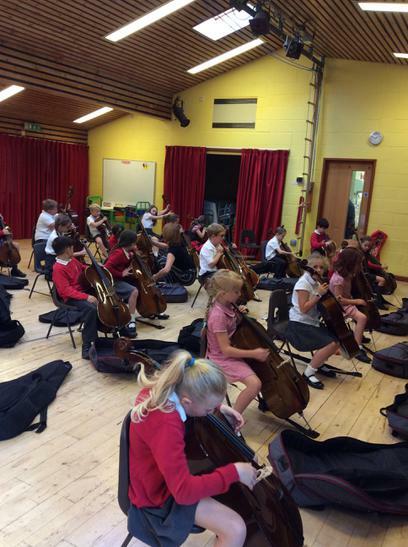 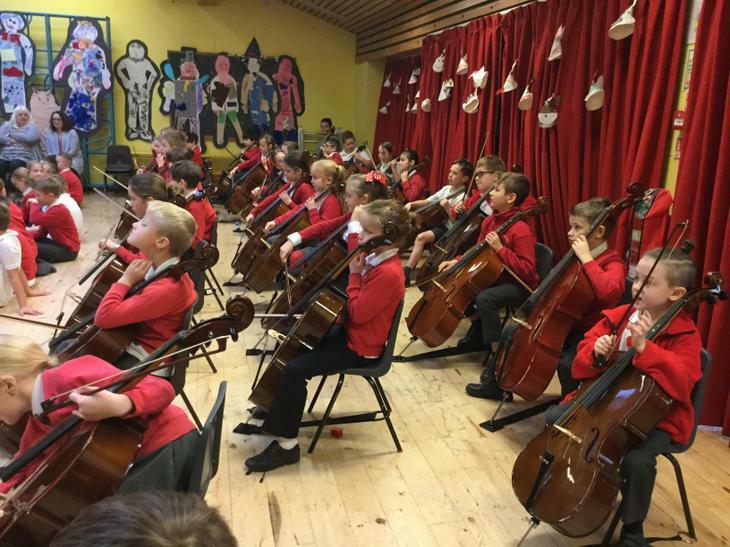 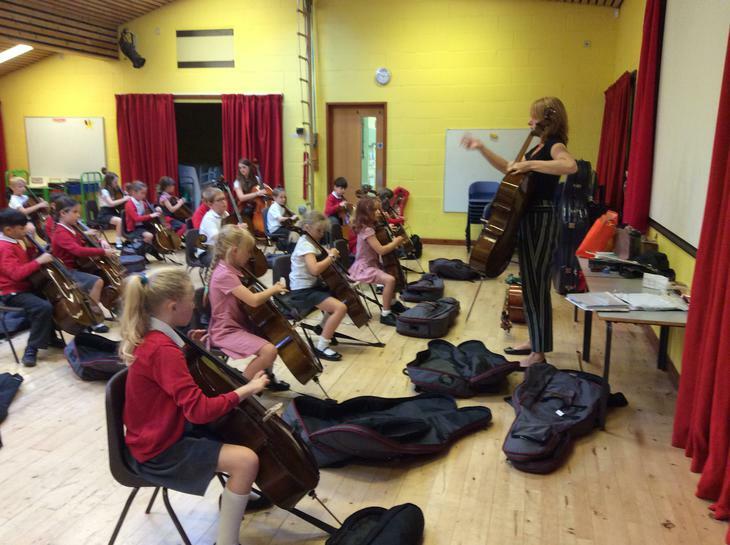 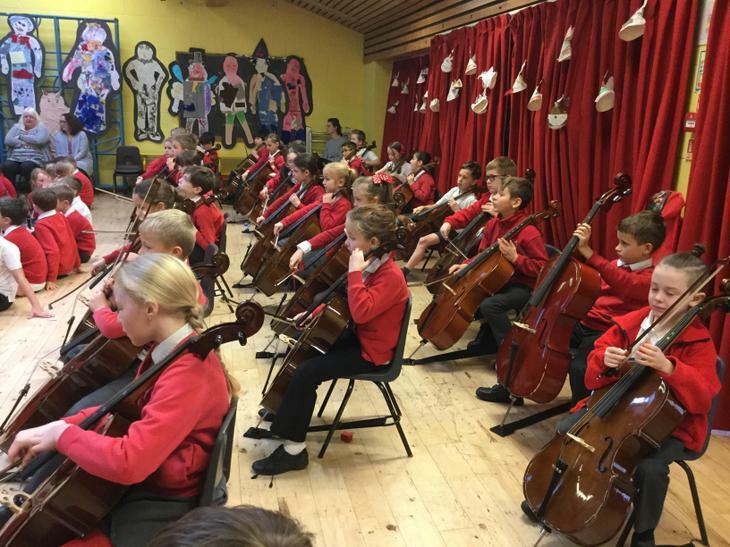 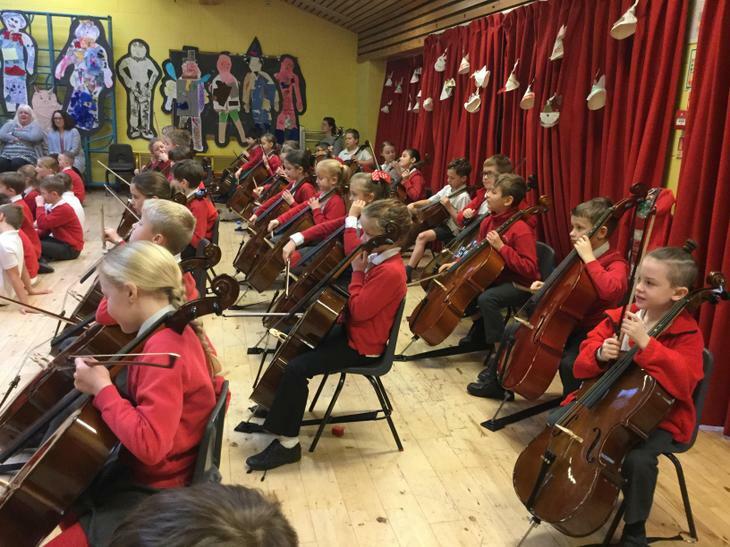 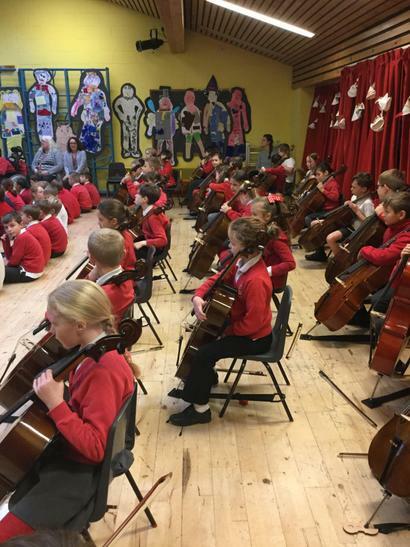 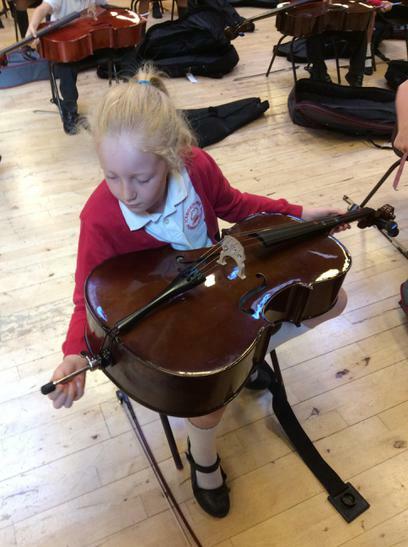 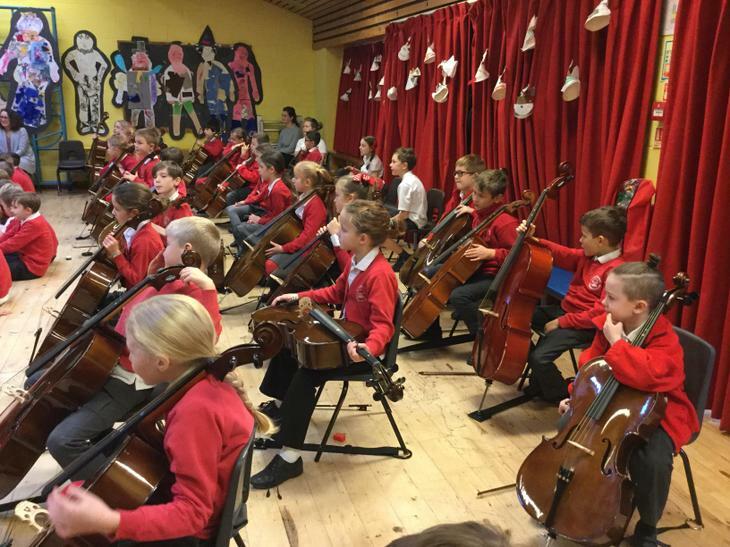 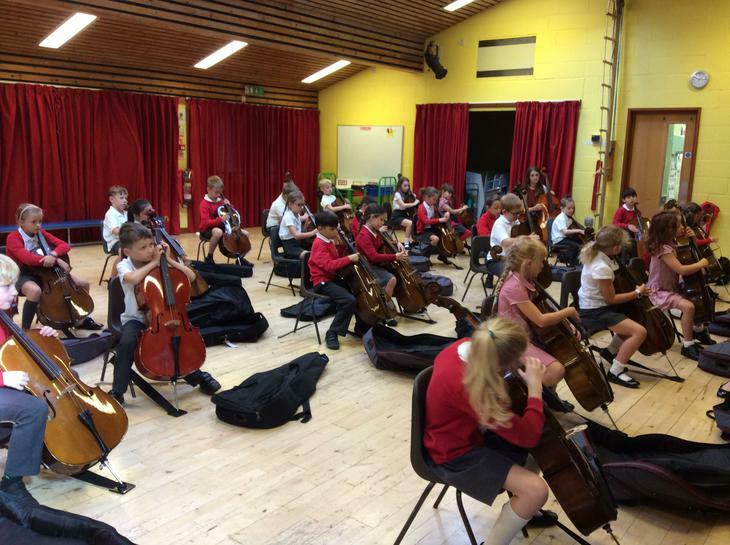 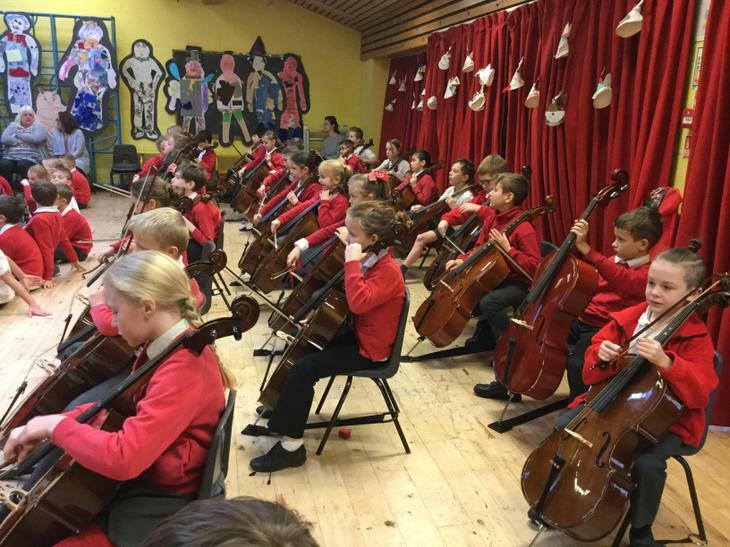 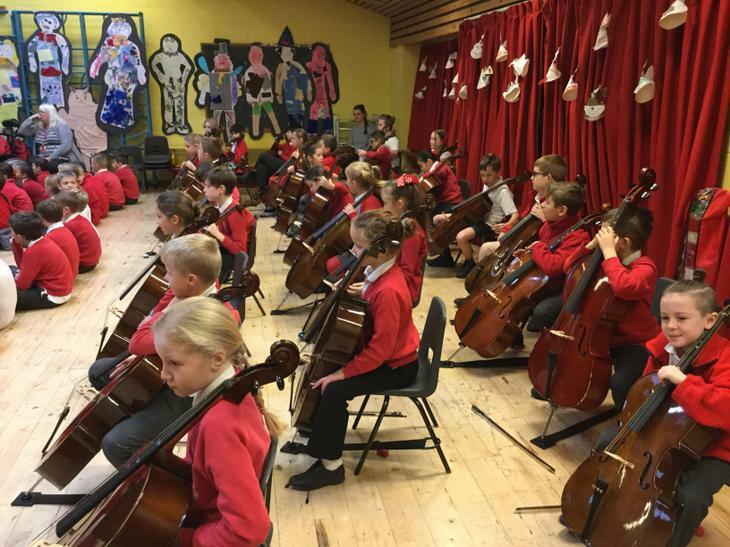 We learnt how to unpack and pack away our cellos. 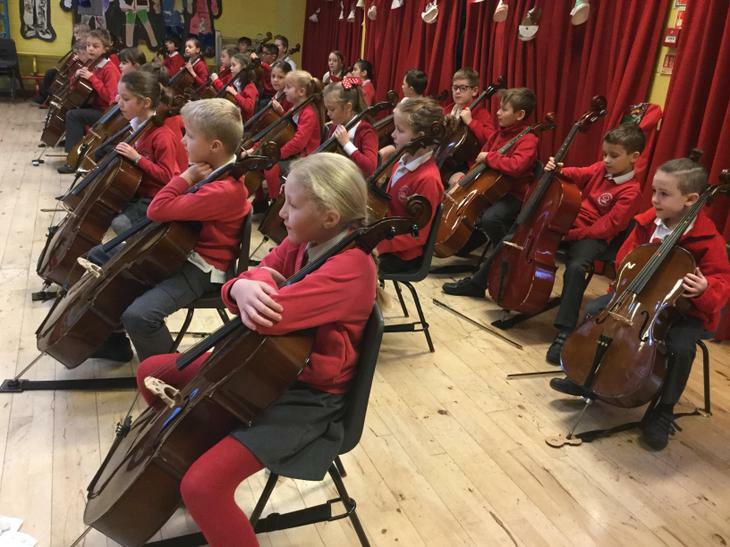 We also discovered that the cello has four strings, A, D, G, C. We used the mnemonic 'All Dogs Get Cross' to help us remember the order. 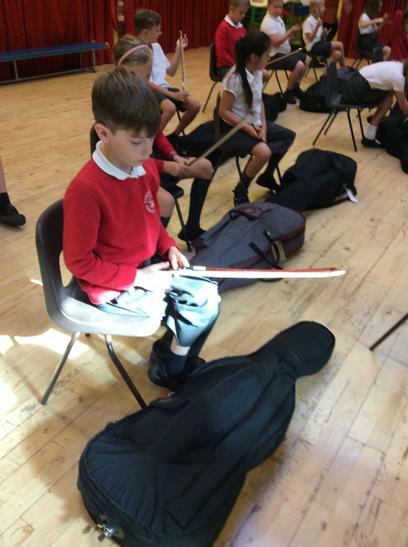 We're very excited for our next lesson already!